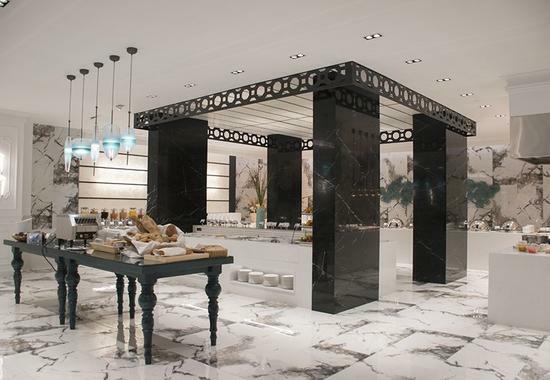 A new glamorous hall opens the doors of beauty to all of Limassol's people! 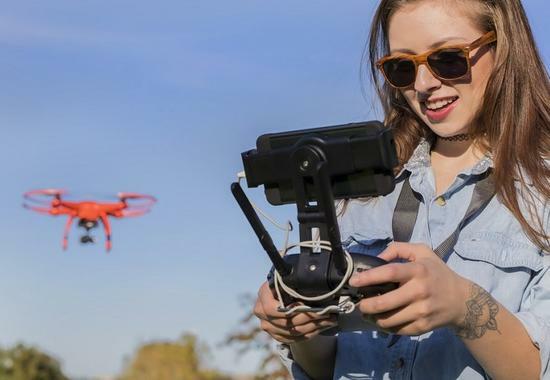 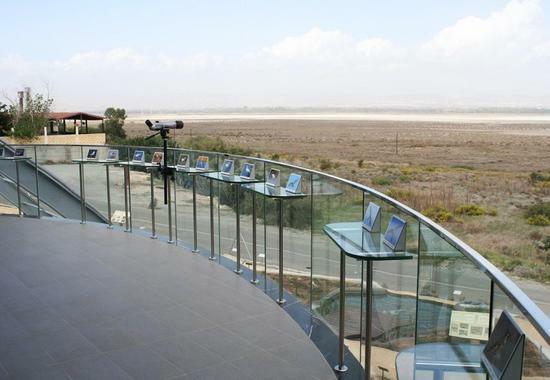 In Limassol, first they teach you how to pilot a drone and then they may even give you 1 for free! 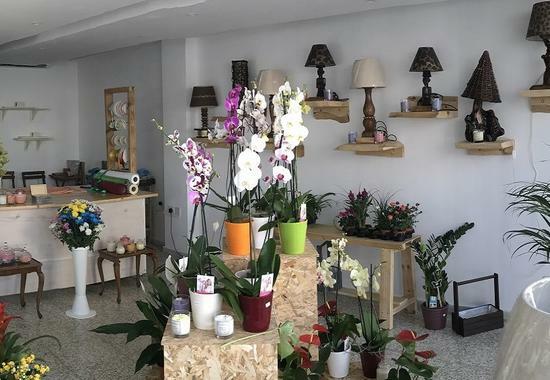 OPENING: A gym in Limassol that also turns into a boutique! 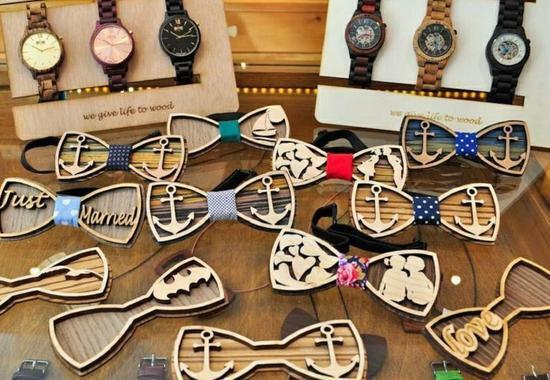 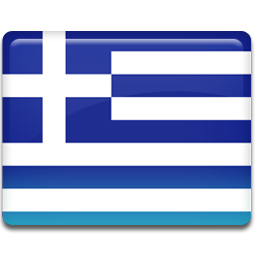 Limassol now hosts the only exclusive shop in Cyprus with the popular Greek wooden accessories! 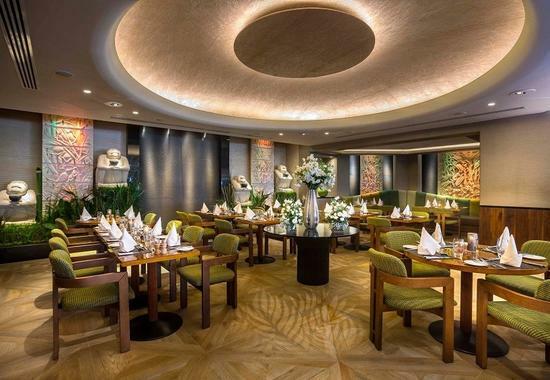 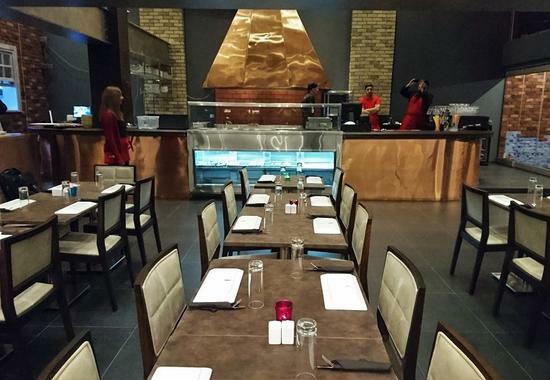 OPENING: At Heroon Square the options for a zen and healthy meal begin and end with Theta! 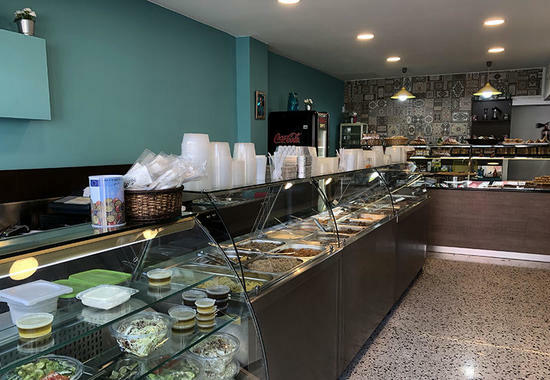 OPENING: In Limassol, these ice creams, cakes and cookies can be good for you! 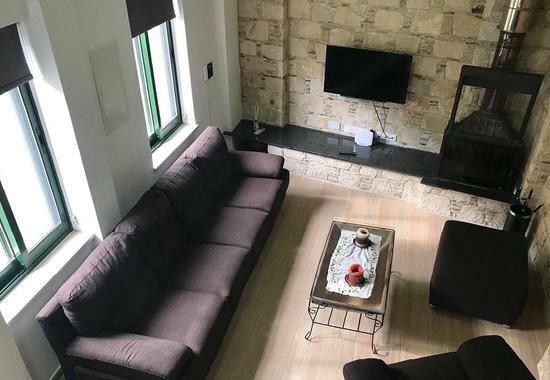 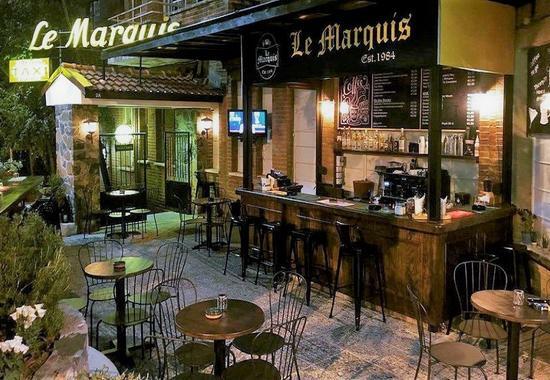 OPENING: New hung out place at Makariou for coffee, relaxation and sweet or savory bites! 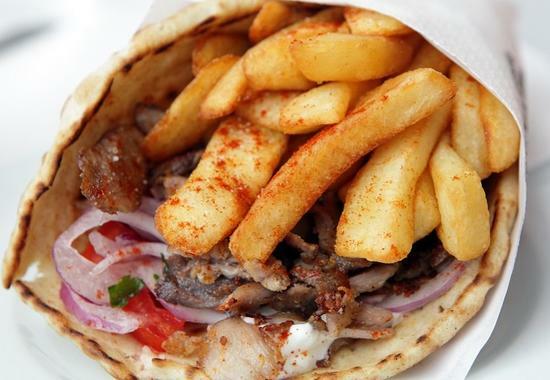 OPENING: They are celebrating and they are giving away free gyros in pita! 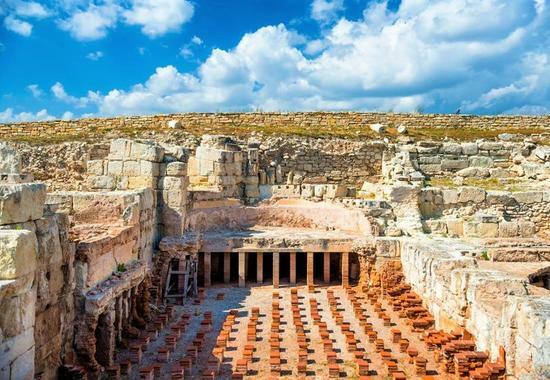 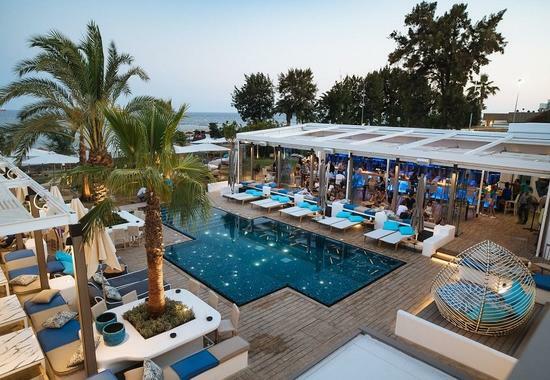 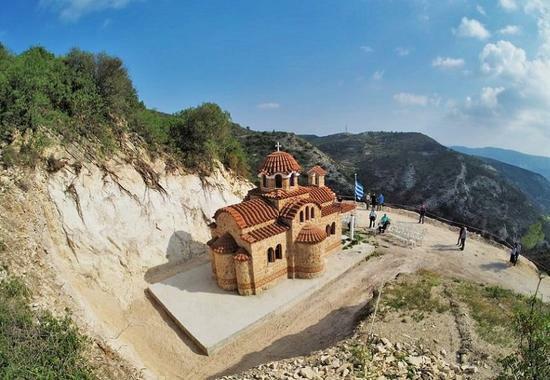 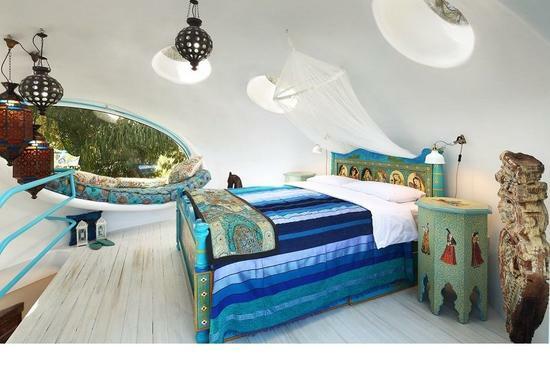 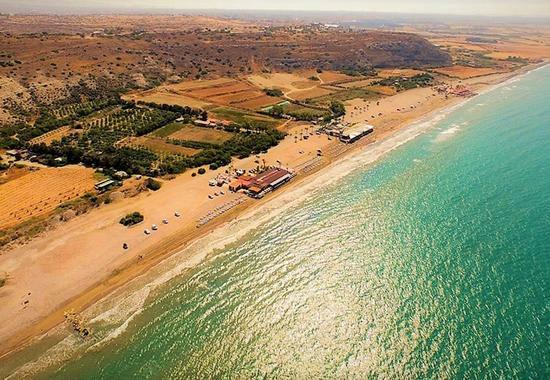 OPENING: The new summer destination on the amazing Lady΄s Mile sands! 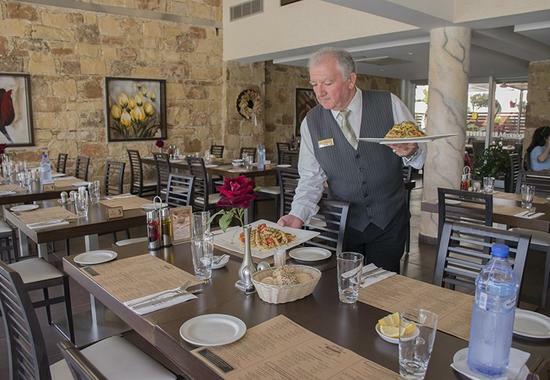 OPENING: A top American chain restaurant arrives in Limassol! 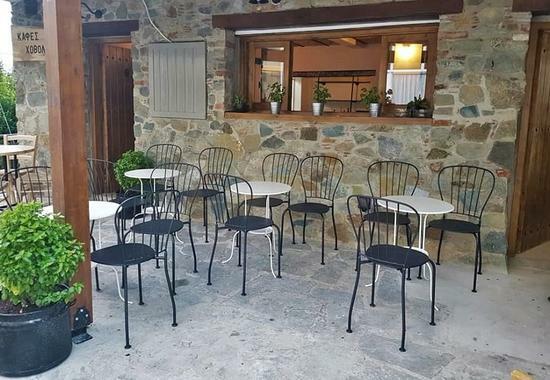 OPENING: New, idyllic location for a favorite Limassol's tavern! 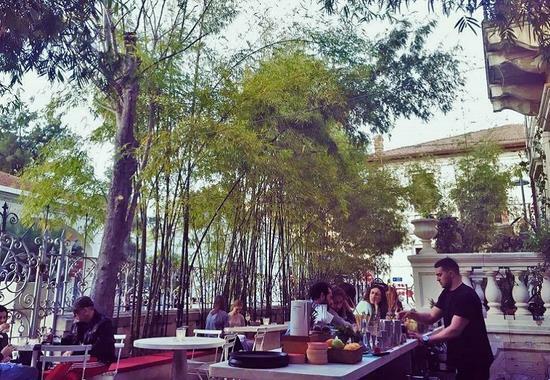 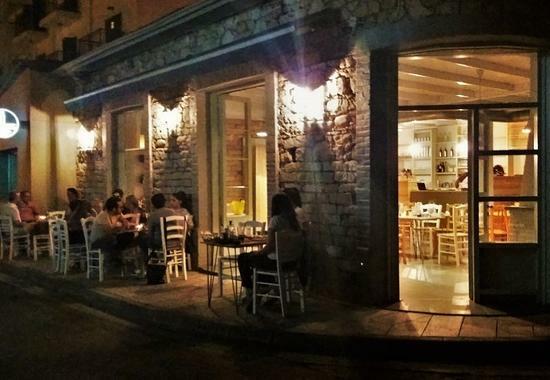 OPENING: A little place at Aneksartisias street is the new, Greek spot in the city! 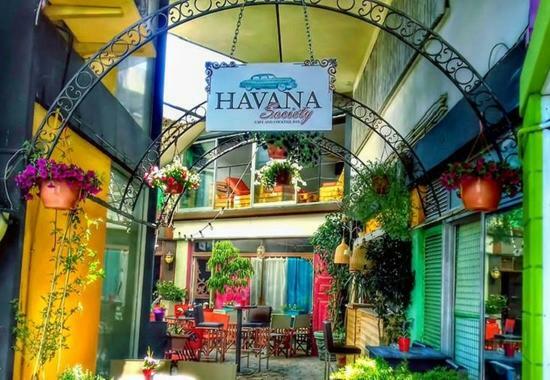 OPENING: Limassol welcomes an authentic Cuban bar! 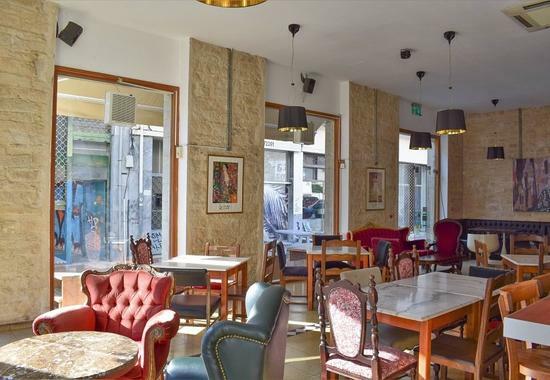 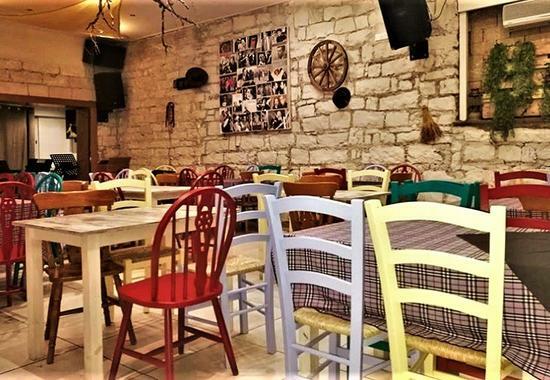 OPENING: Their grandfather' s old coffee shop was turned into a trendy meze tavern! 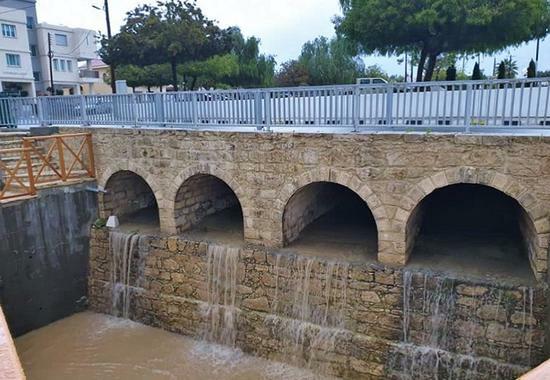 OPENING: Something very modern and elegant at Limassol's picturesque streets! 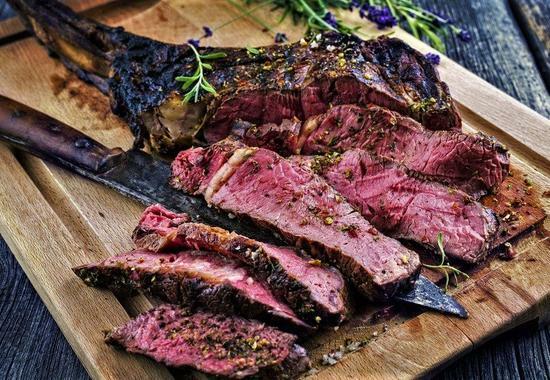 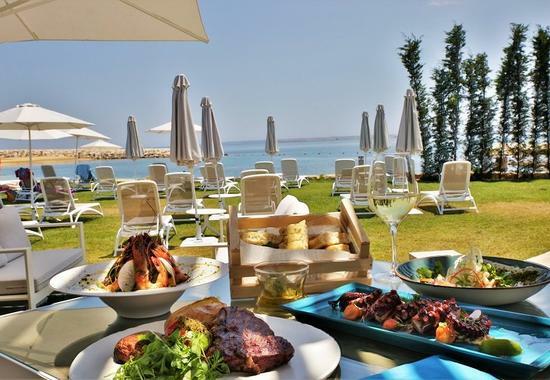 OPENING: Delicacies on the grill are tempting your nose at the Limassol city center! 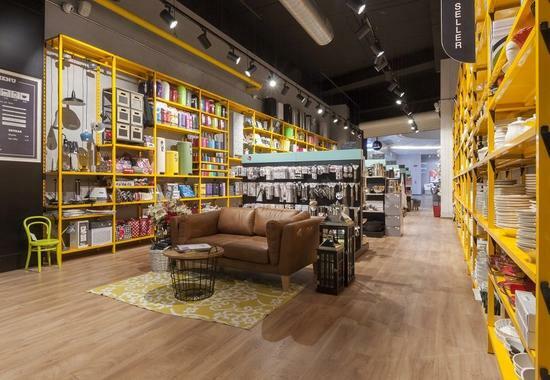 OPENING: This is why you need to know the new Limassol's concept store! 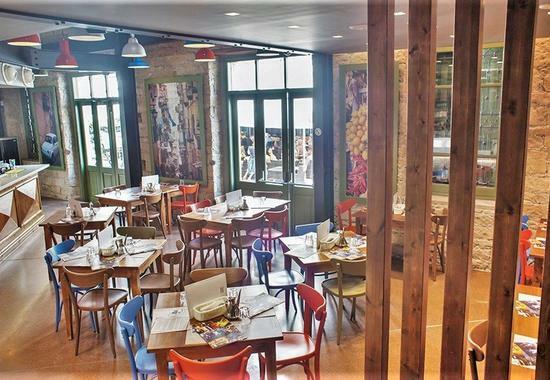 OPENING: Limassol's new fish tavern brings a hint of Aegean breeze! 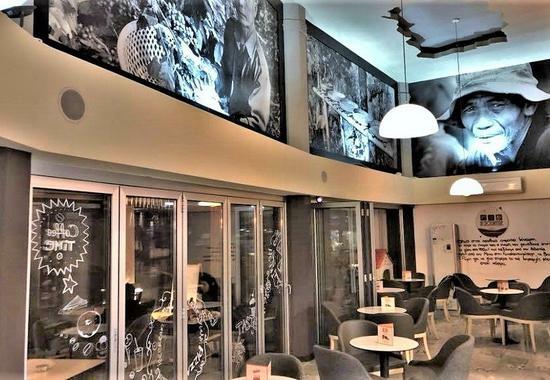 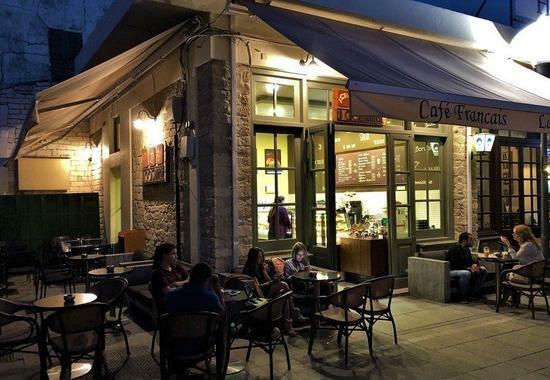 OPENING: This is the new, modern café that will change the image of Makariou Avenue! 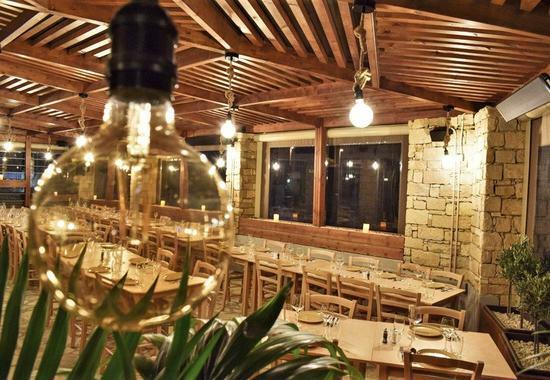 OPENING: Alakati is the new traditional restaurant in Limassol! 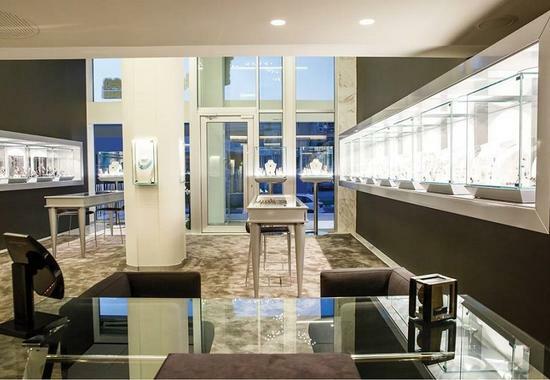 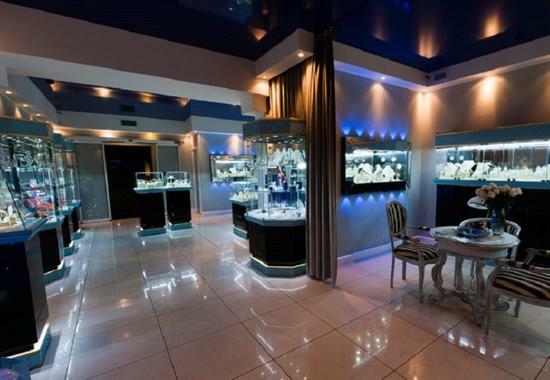 OPENING: A brilliant boutique has opened by the Limassol sea! 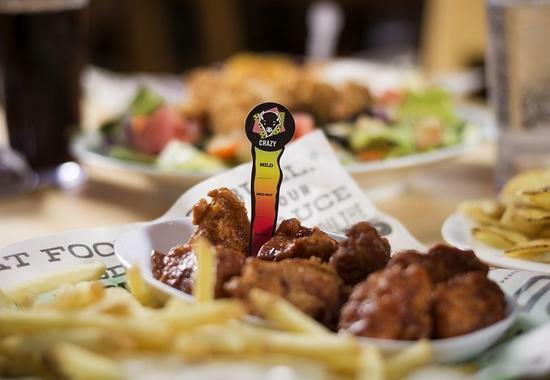 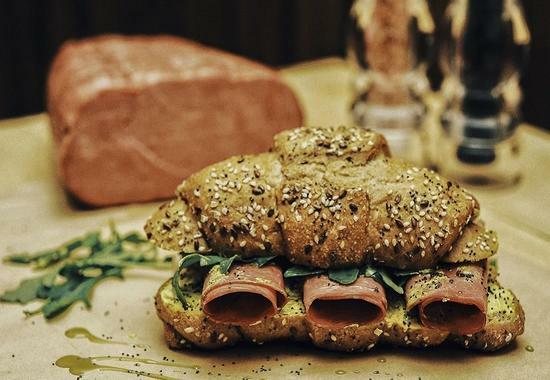 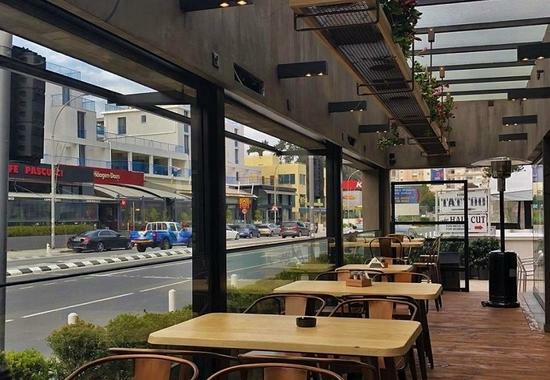 OPENING: Internationally renowned teaks and unique, juicy burgers have just arrived in Limassol! 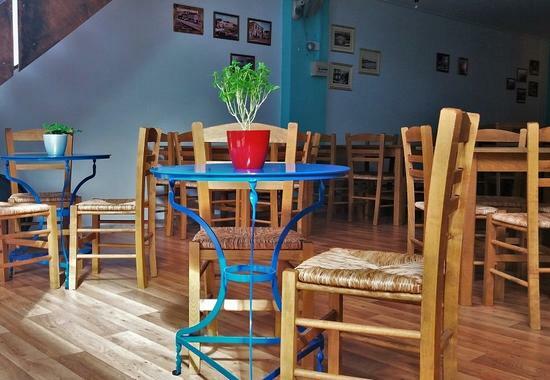 OPENING: New spot in Limassol for Greek style meze and drinks! 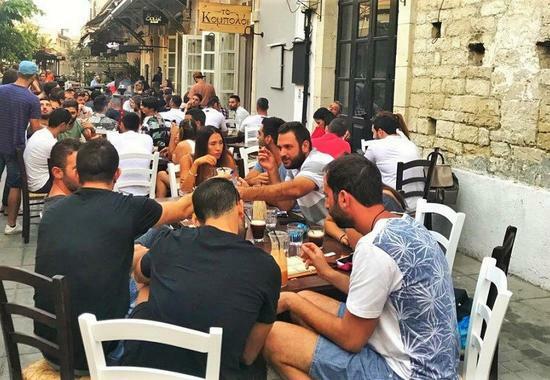 OPENING: New spot in Limassol for ice-cold beer and coffee under the shadow! 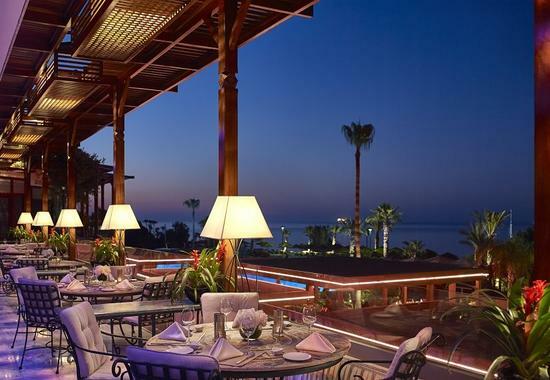 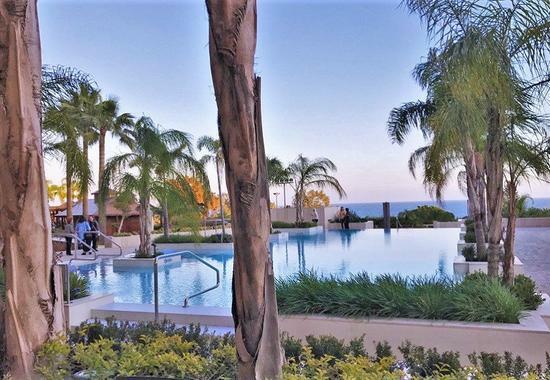 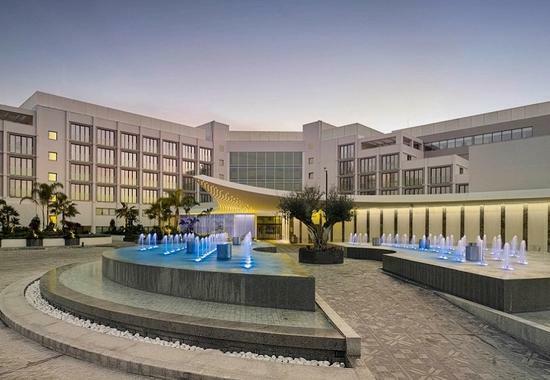 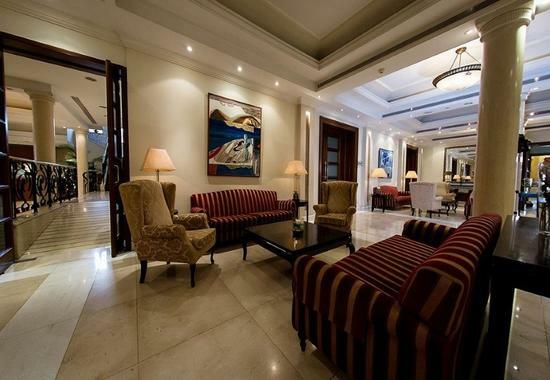 OPENING: A new luxury arrival in Limassol! 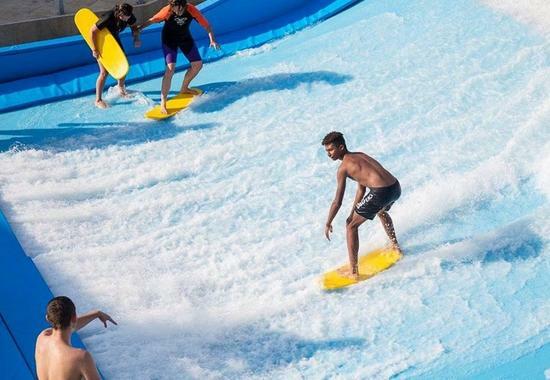 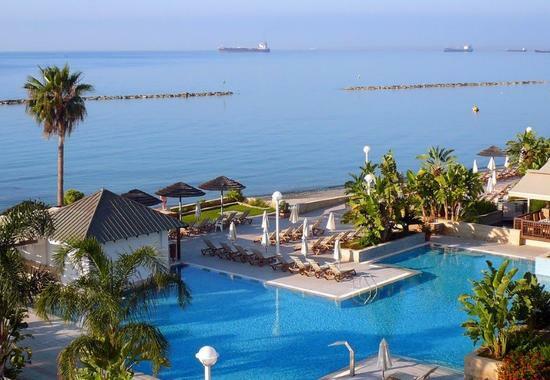 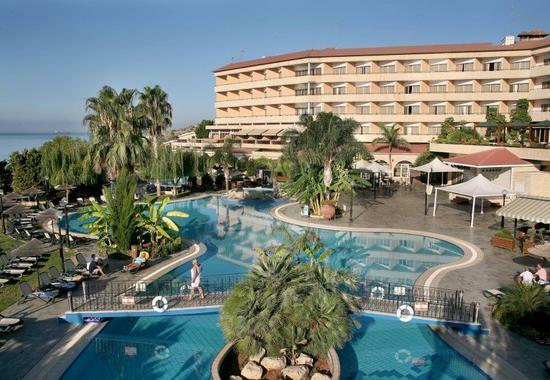 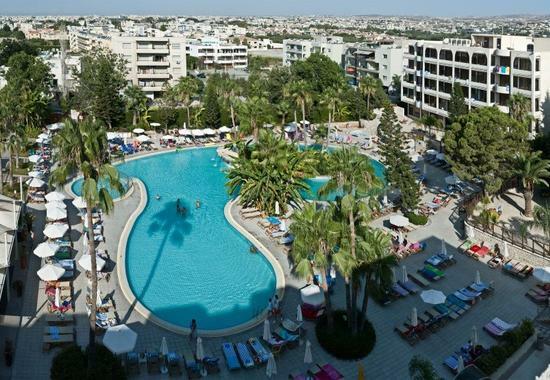 OPENING: In Limassol you get to visit a pool that different from any other! 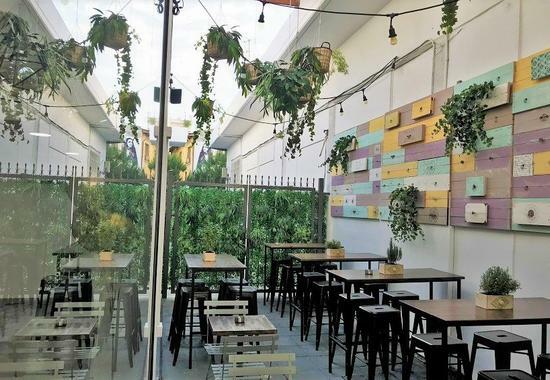 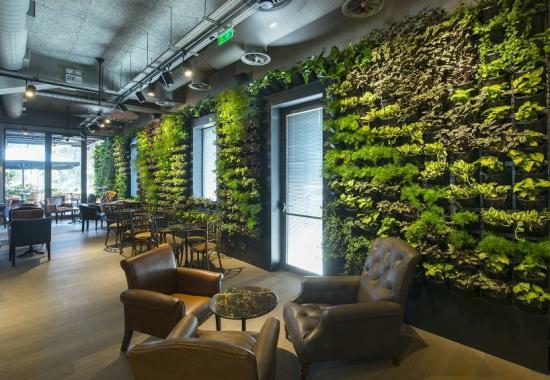 OPENING: This new spot in Limassol has a huge wall garden! 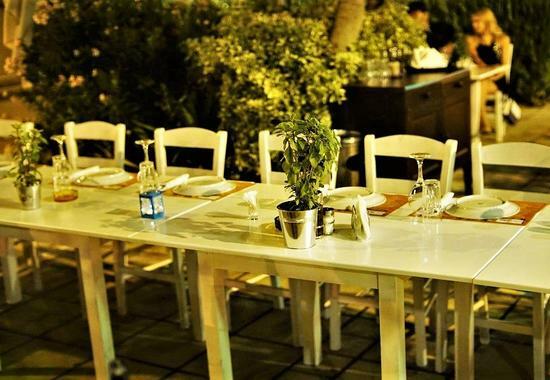 OPENING: This is the new spot for quality dining in Limassol! 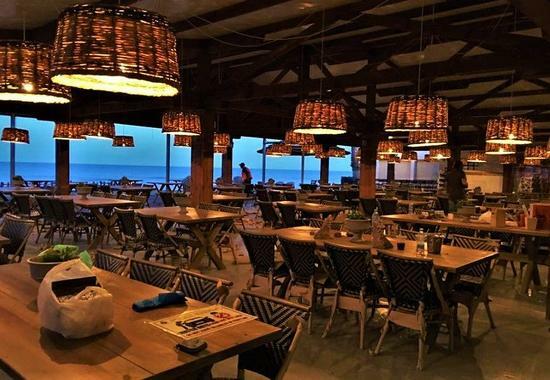 OPENING: The new beach bar in Limassol officially opens its doors for its guests! 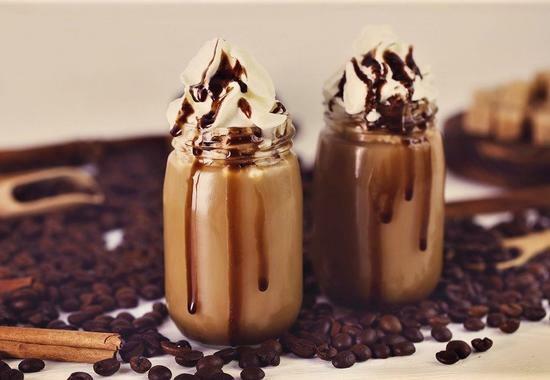 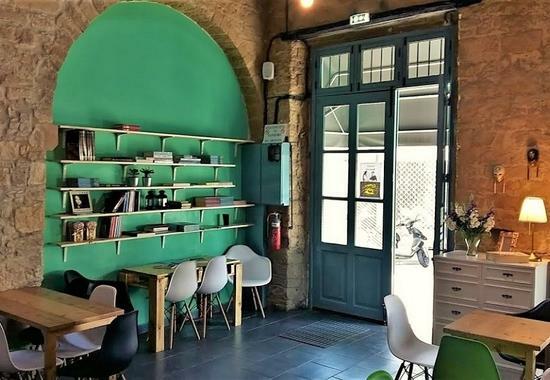 OPENING: An alternative café is the new option in Limassol for absolute relaxation! 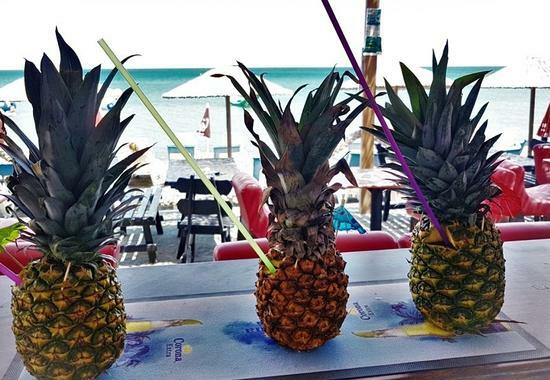 OPENING: This new beach bar in Limassol is shaking things up! 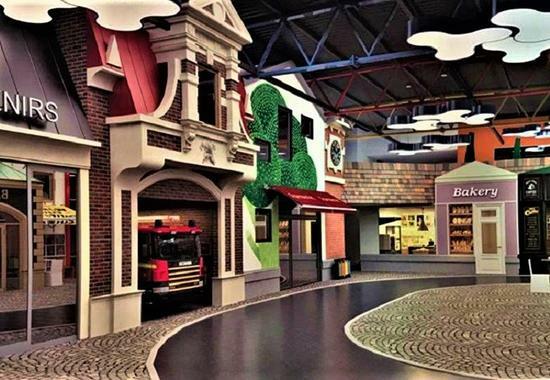 OPENING: A one-of-its-kind childrens' theme park is now in Limassol! 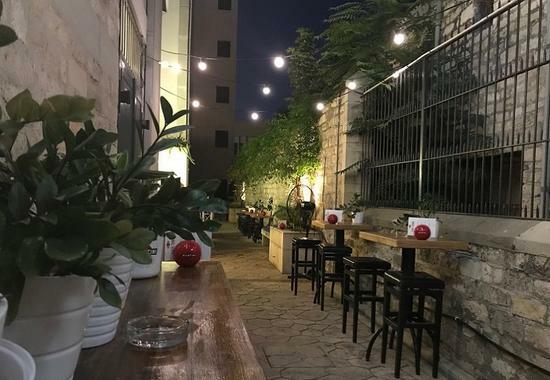 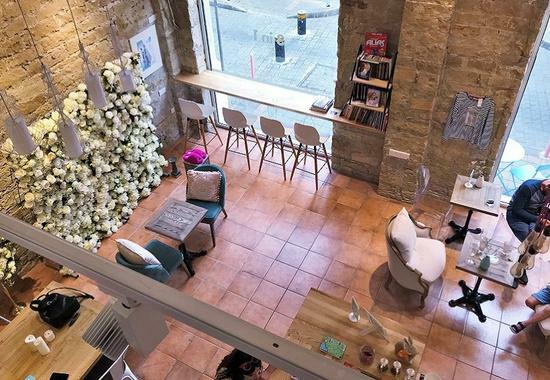 OPENING: New coffee - meze shop at a city center that keeps changing! 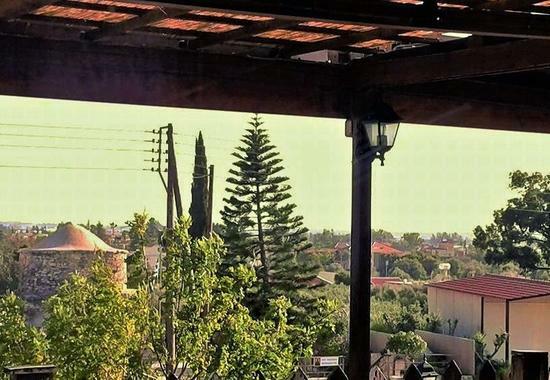 OPENING: A new venue in Limassol, with breathtaking view! 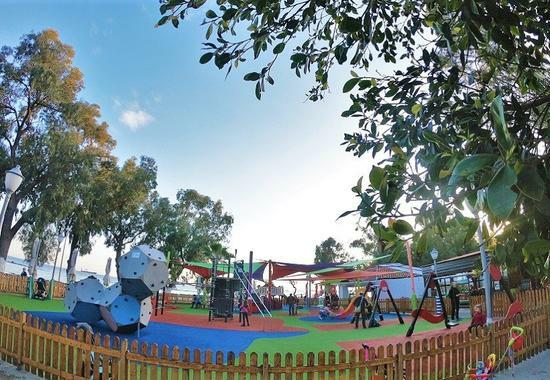 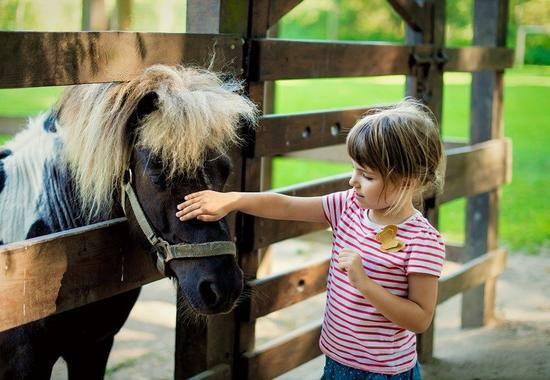 OPENING: Theme pony park in Limassol, ready to welcome all children and parents! 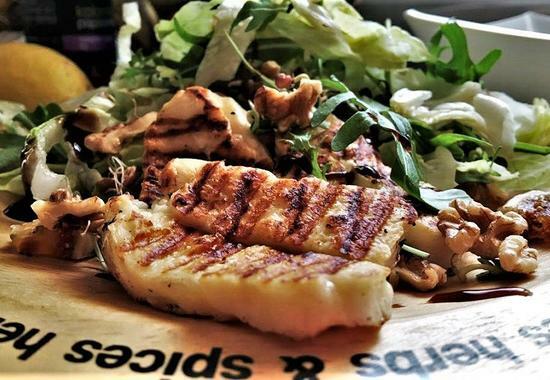 OPENING: The much anticipated spot with the 'sinful' menu opens its doors in Limassol! 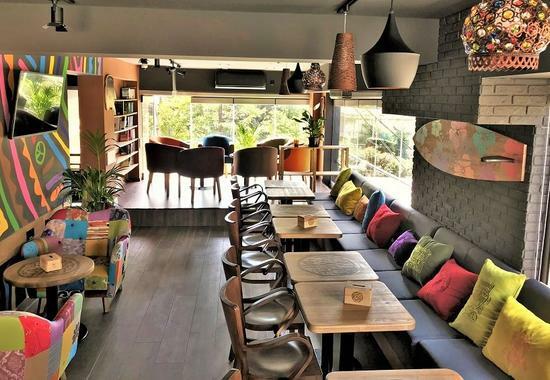 OPENING: New spot in Limassol, with worldwide renowned flavors! 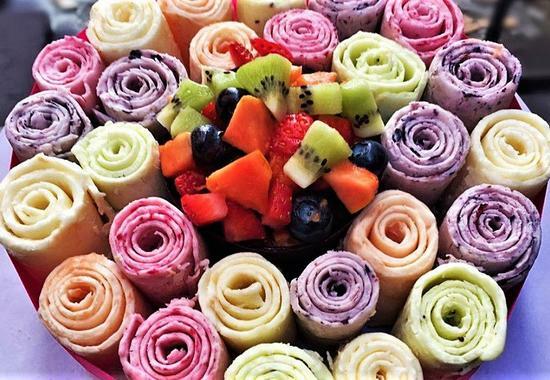 OPENING: Ice cream rolls are now in Limassol and they are absolutely tempting! 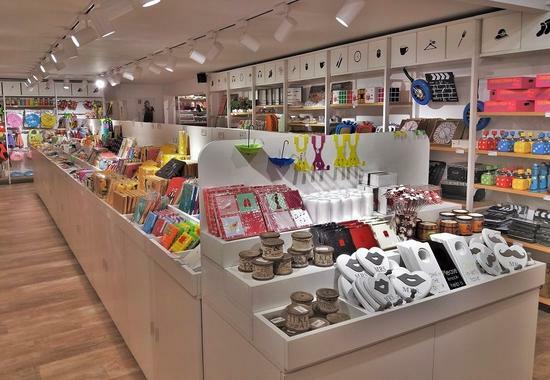 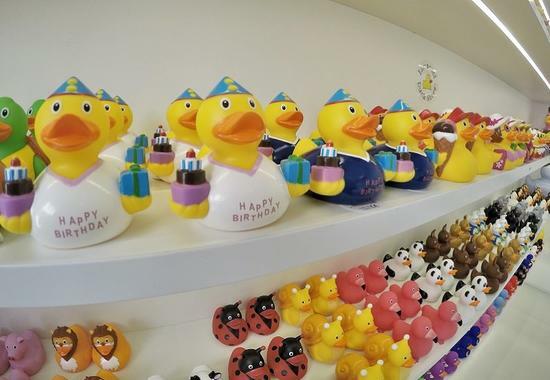 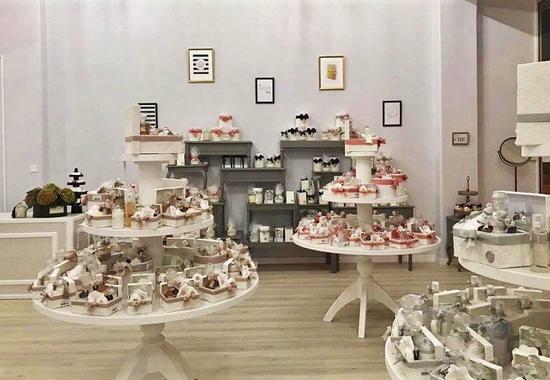 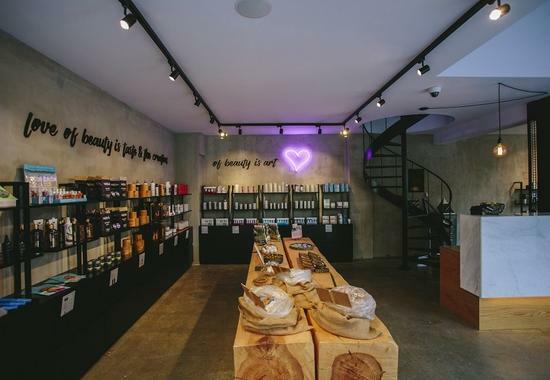 OPENING: A new place in Limassol, filled with original creations and amazing scents! 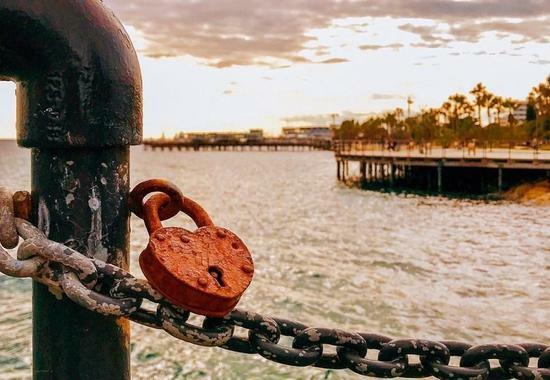 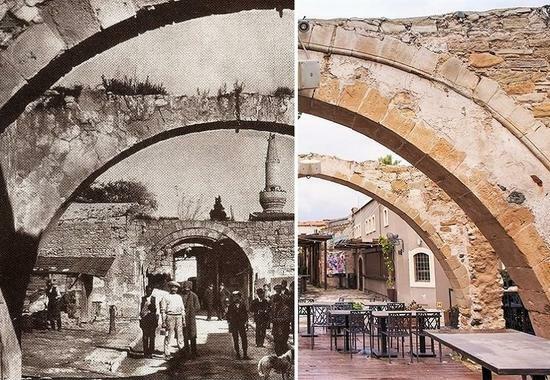 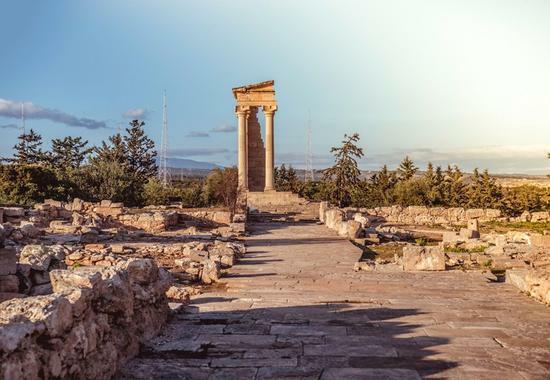 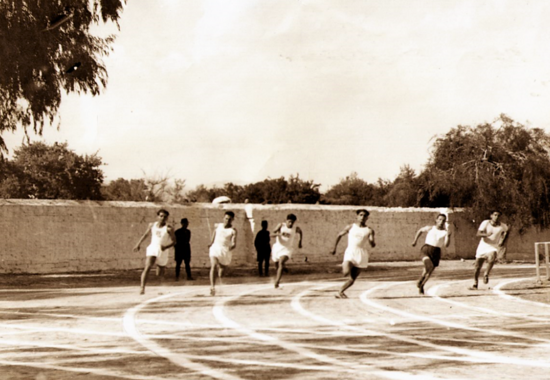 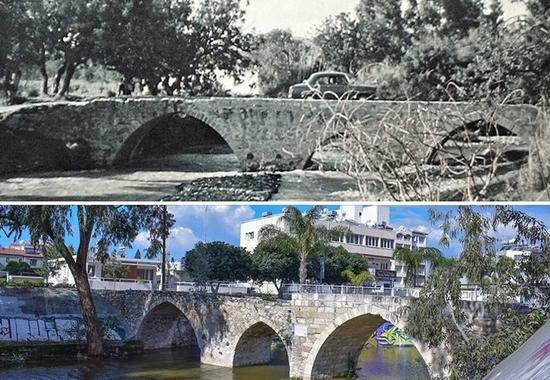 OPENING: Something has changed at the Limassol city, bringing an old-times feeling! 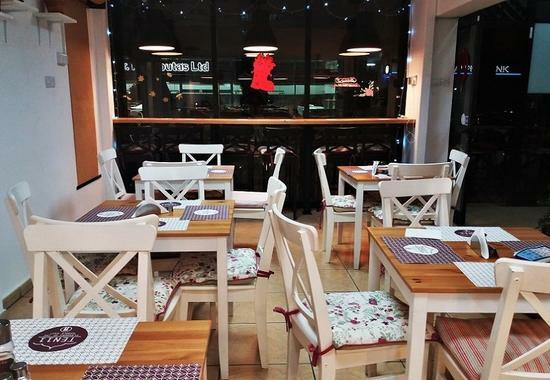 OPENING: A new spot with favorite Greek flavors at the Limassol city center! 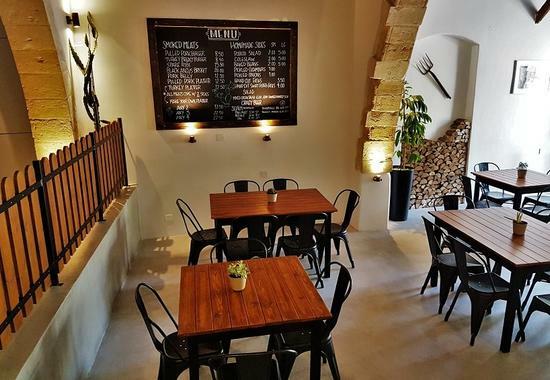 OPENING: A new option for dining with music, at the heart of the old town! 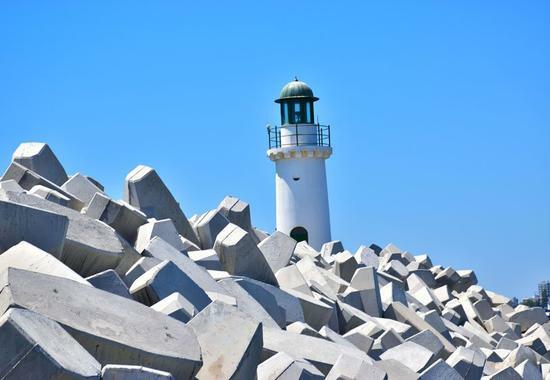 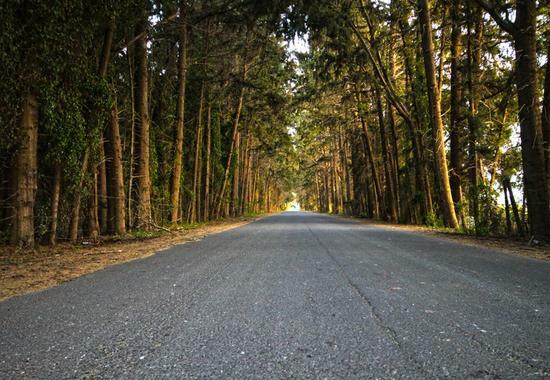 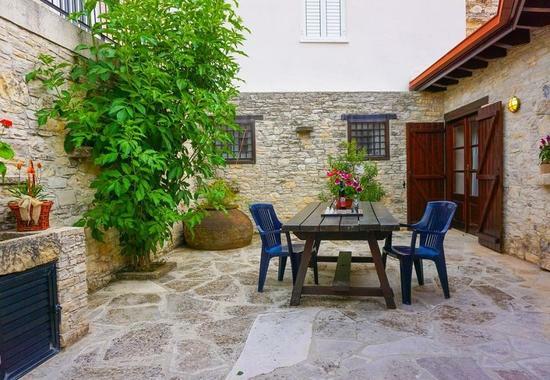 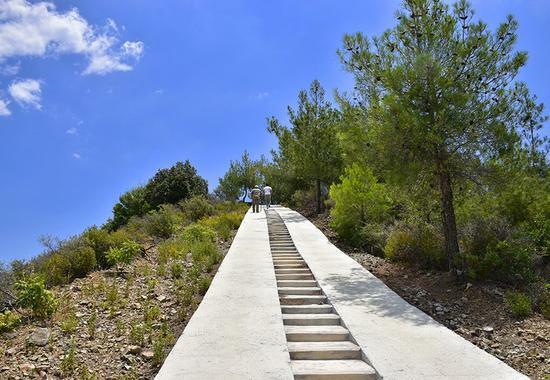 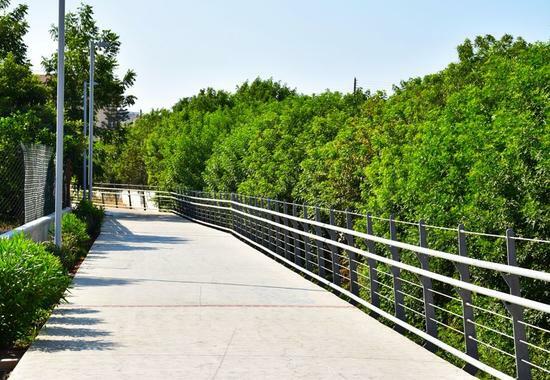 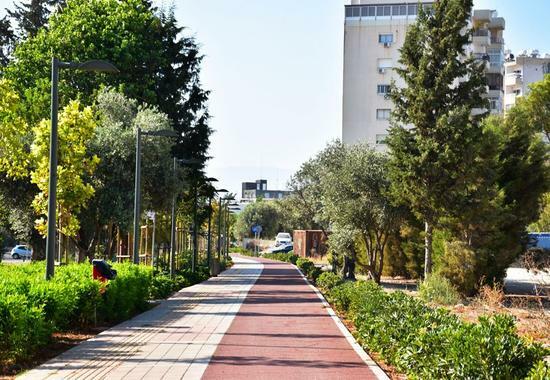 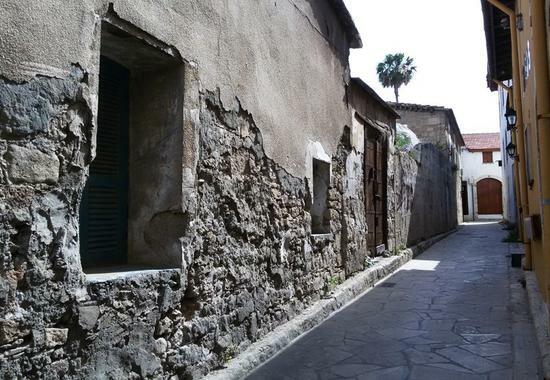 OPENING: A beautiful corner at the paved alleys of Limassol, is ready to receive you! 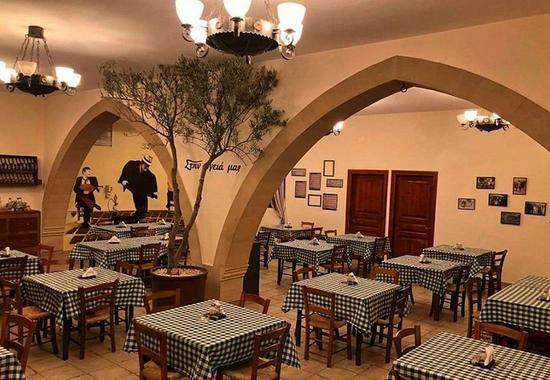 OPENING: A famous meze place arrive to Limassol, straight from Thessaloniki! 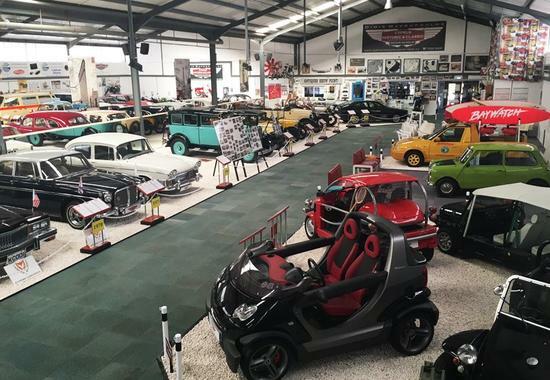 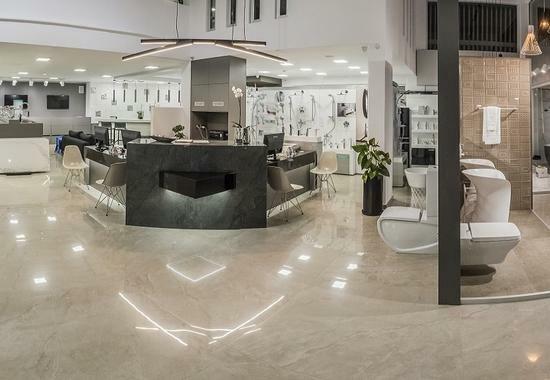 OPENING: An impressive showroom is now open in Limassol! 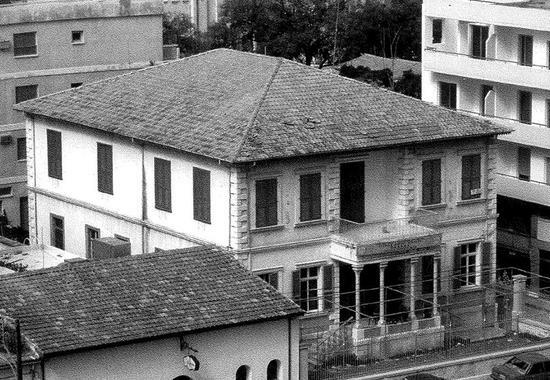 OPENING: A traditional coffee shop in Limassol brings memories from the past! 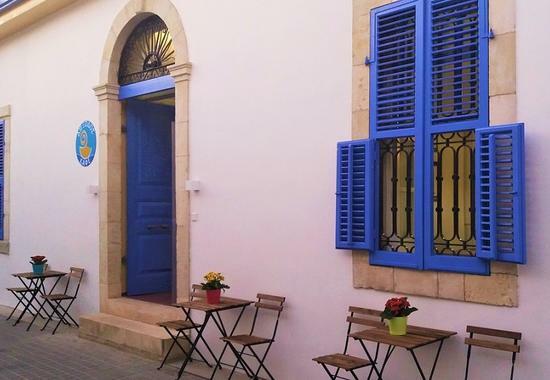 OPENING: A fairy-tale corner in Limassol, with little treasures for adults and kids! 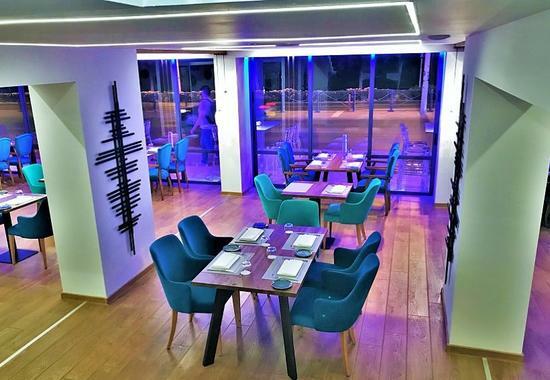 OPENING: The new restaurant in Limassol, with 3 in 1 styles for delight! 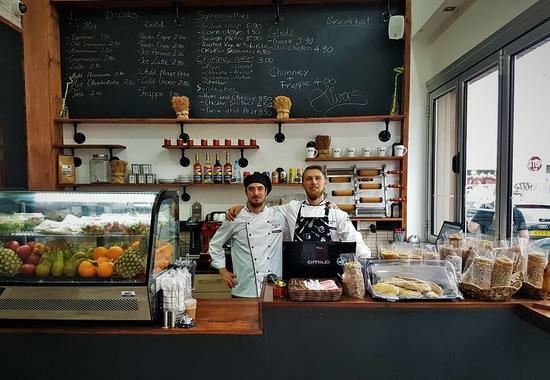 OPENING: A bakery in the Limassol city center becomes your ticket to the Middle East! 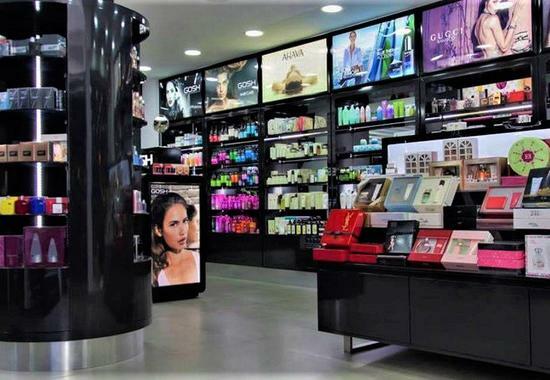 OPENING: A new place with amazing perfumes arrived in Limassol! 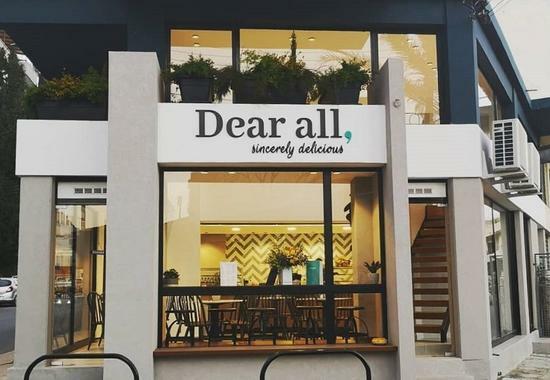 OPENING: New all-day spot for coffee and bites in the heart of the city! 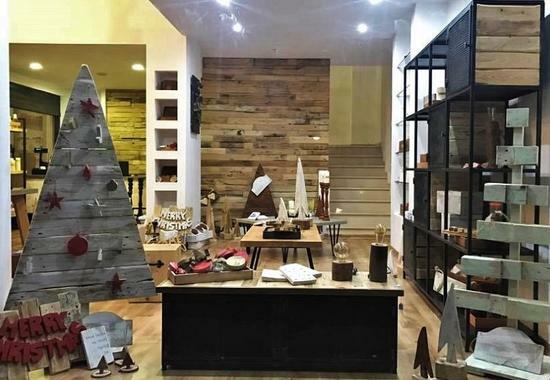 OPENING: 2 brothers in Limassol make amazing wooden creations! 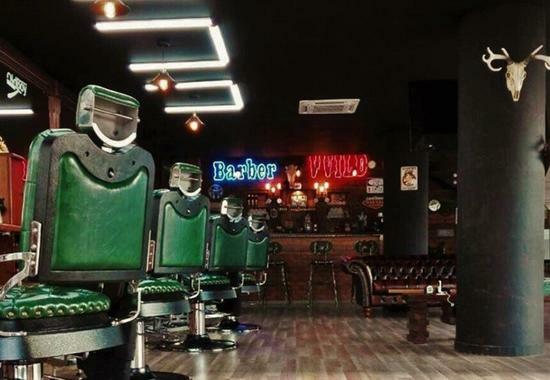 OPENING: A special barber shop in Limassol, with an actual bar for beers and drinks! 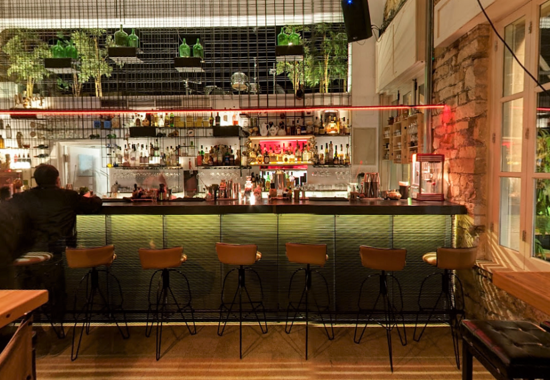 OPENING: An 'adult playground' is the new spot for going out in Limassol! 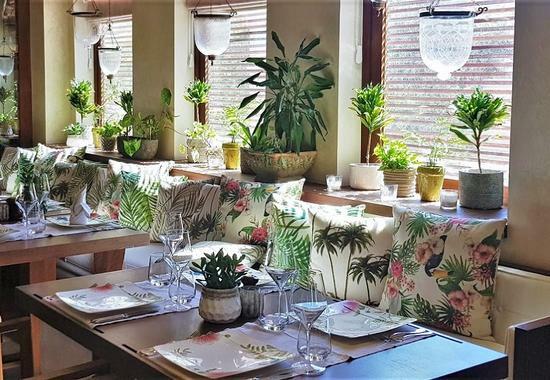 OPENING: A new, special restaurant in Limassol is making an impression! 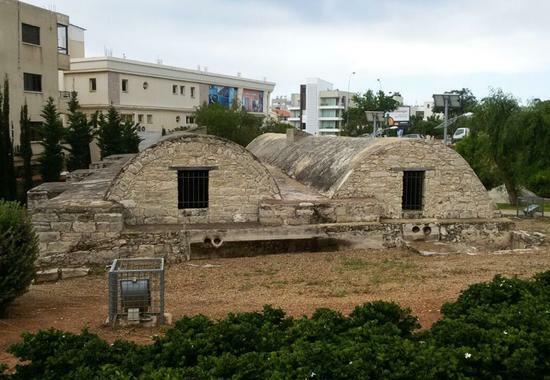 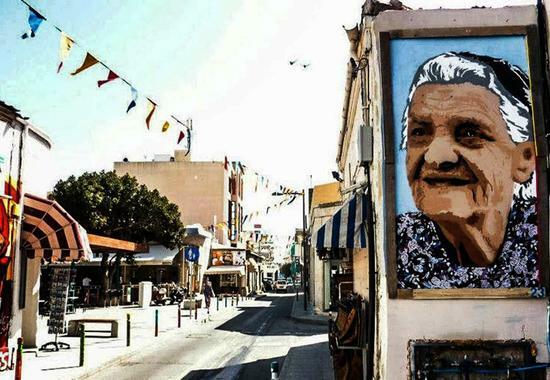 OPENING: Something new and interesting at Limassol's old town! 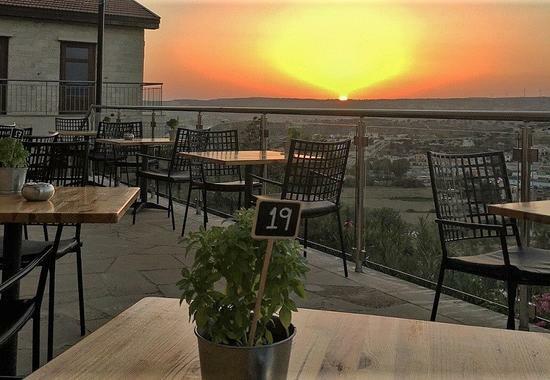 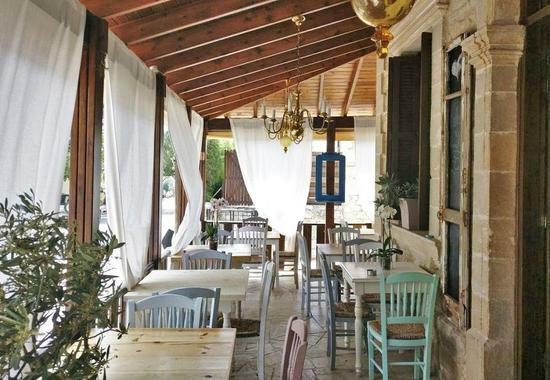 OPENING: A beautiful new tavern in Limassol is a pleasant surprise! 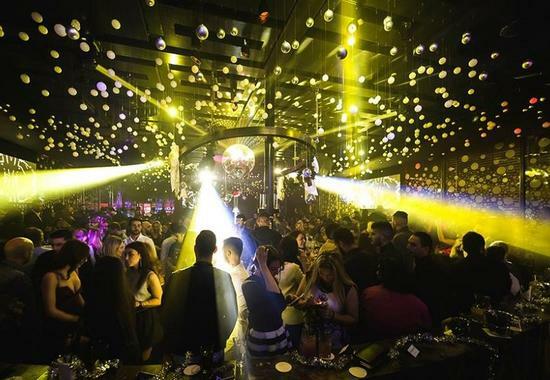 OPENING: A stunning new venue, the latest addition in the Limassol city! 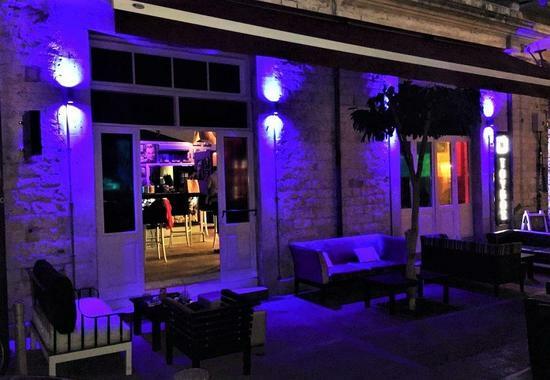 OPENING: Limassol's nightlife has been enriched with an interesting addition! 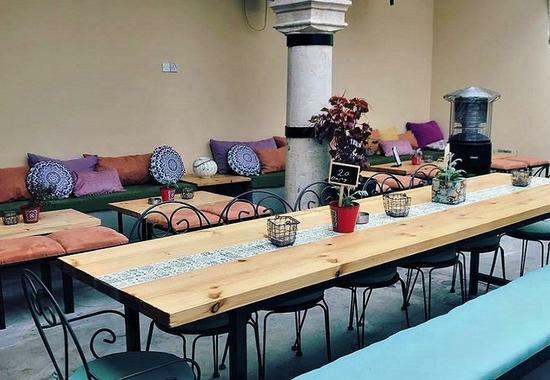 OPENING: A new restaurant in Limassol that sure is worth a try! 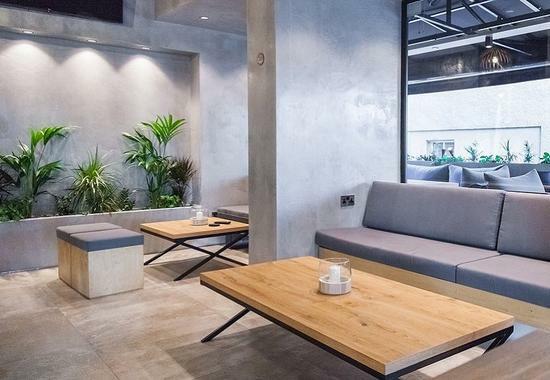 OPENING: A new, stylish spot for delicacies and coffee in Limassol! 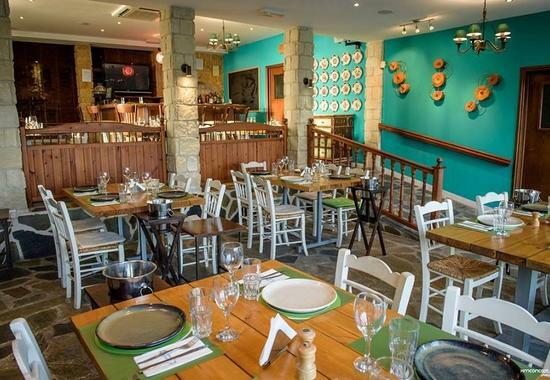 OPENING: Limassol's new, impressive dining venue! 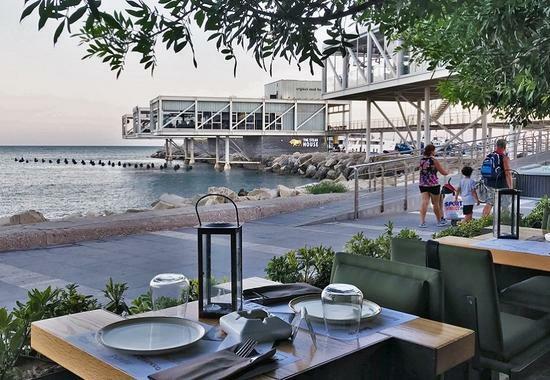 OPENING: A new spot in Limassol with amazing sea view! 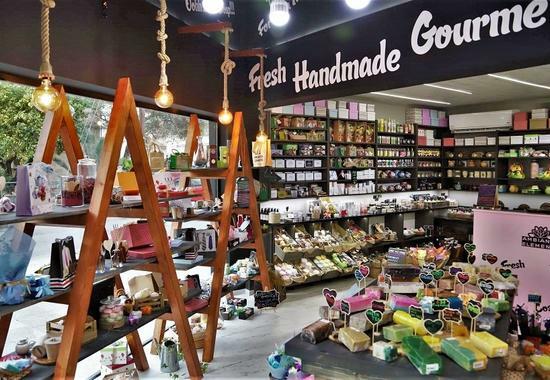 OPENING: A new shop full of surprises at the Limassol city center! 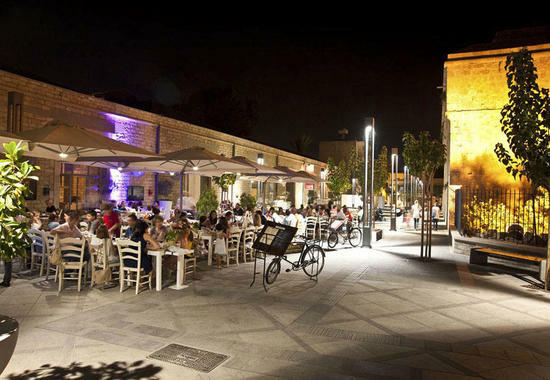 OPENING: A new, special restaurant, at Limassol's historical city center! 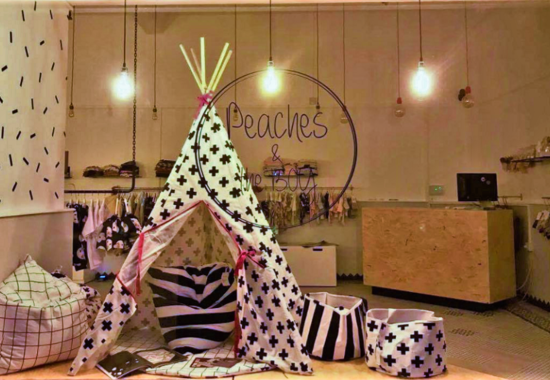 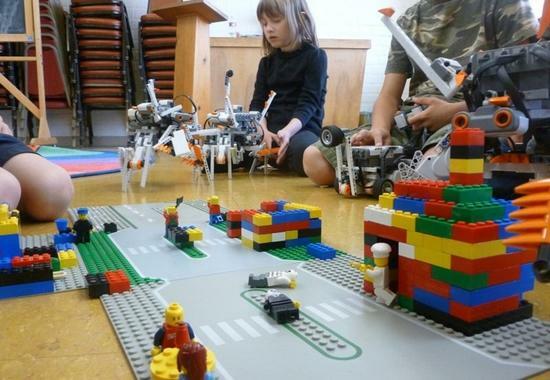 PHOTOS: A unique, themed space for children in Limassol! 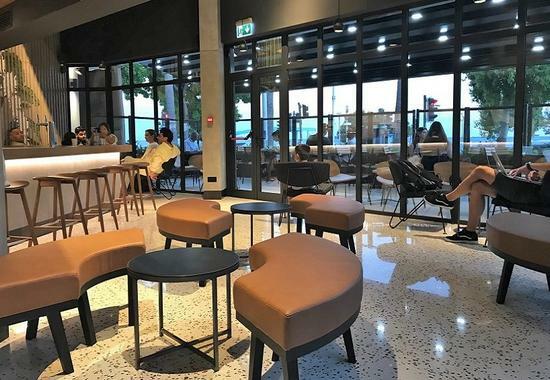 OPENING: This is the new, impressive spot at the Limassol city center! 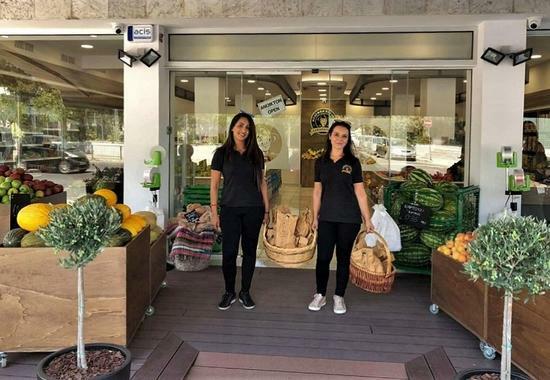 OPENING: International food brand arrives in Limassol with 5 new stores! 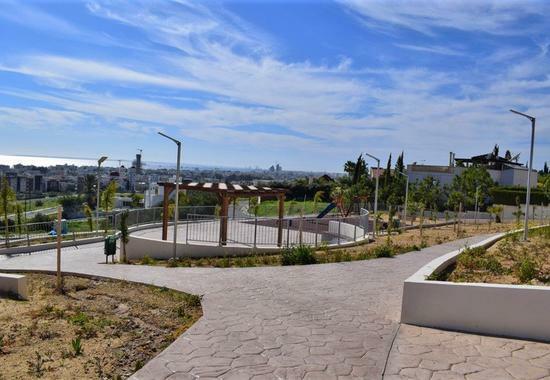 OPENING: A new, beautiful spot in Limassol, with its own playroom for kids! 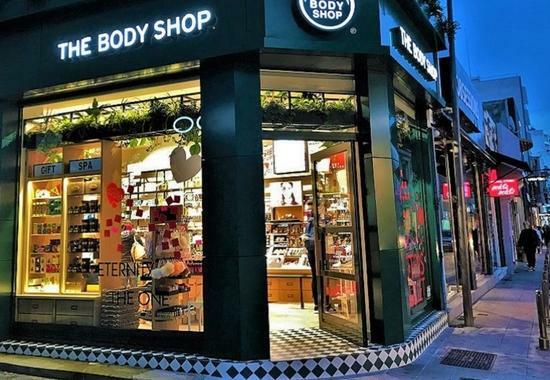 OPENING: 2 Limassolianas brought The Body Shop back in the city! 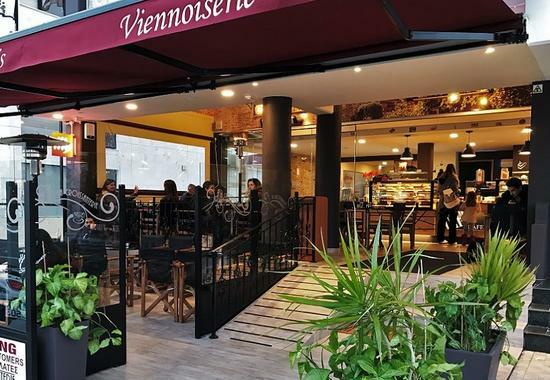 OPENING: A new all-day spot at Limassol's western neighborhoods! 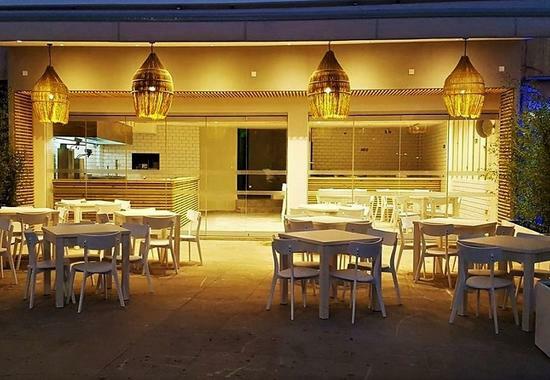 OPENING: The new 'gourmet' Greek kebab spot at the Limassol seafront! 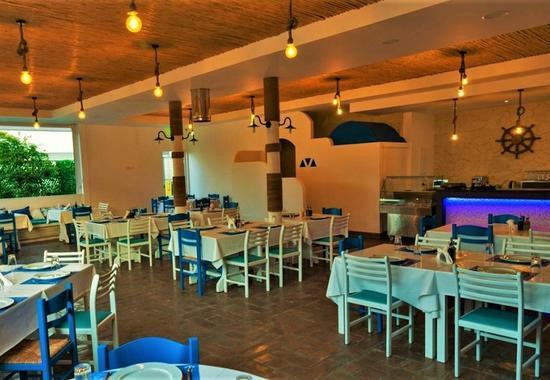 OPENING: A favorite spot for souvlaki just arrived near the Limassol sea! 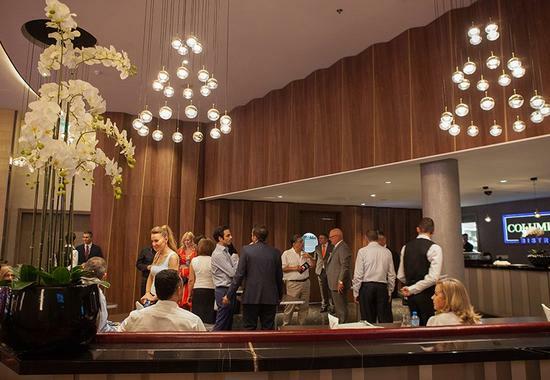 OPENING: A new, beautiful space in a classic building at the Limassol city center! 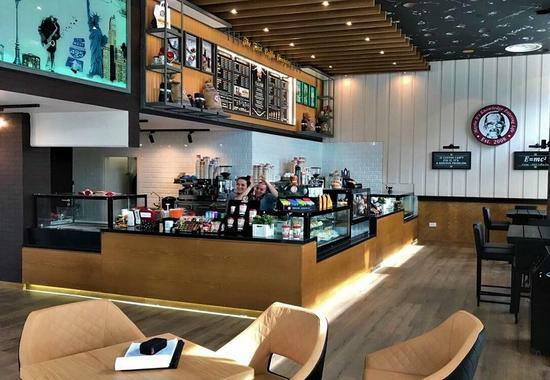 OPENING: This is the new, impressive café at Makarios Avenue in Limassol! 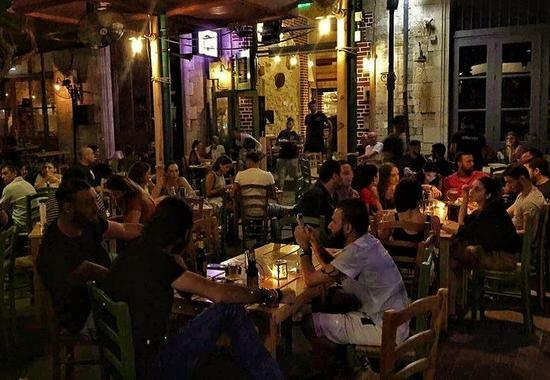 OPENING: An alternative and surprising restaurant, in Limassol city center! 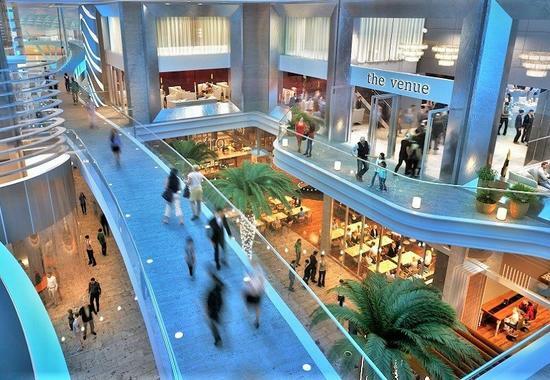 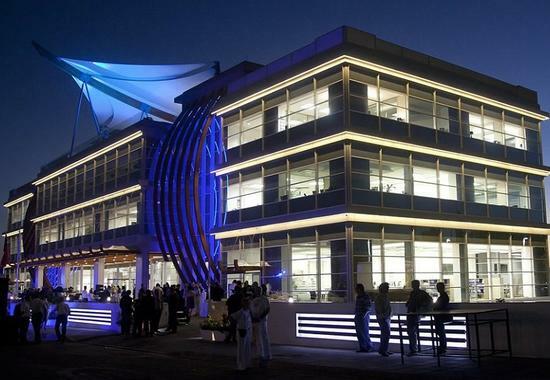 OPENING: A new, interesting place awaits at the Limassol city center! 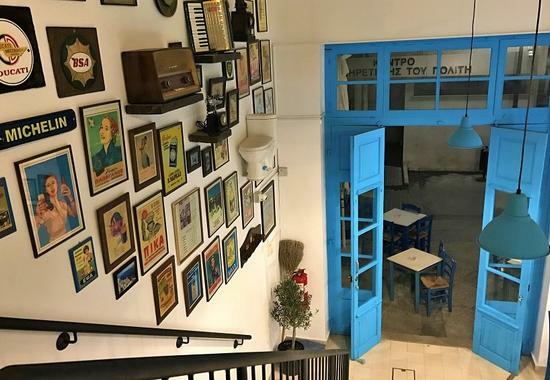 OPENING: A new, tasteful place has just come up in a forgotten arcade in Limassol! 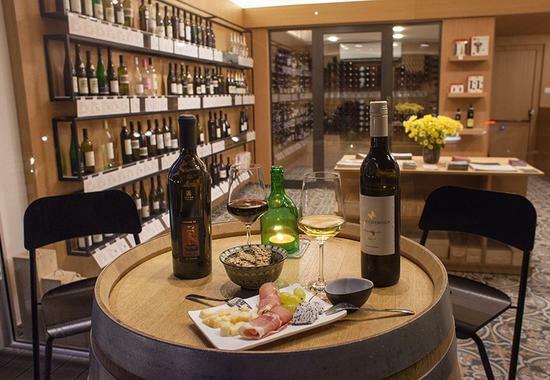 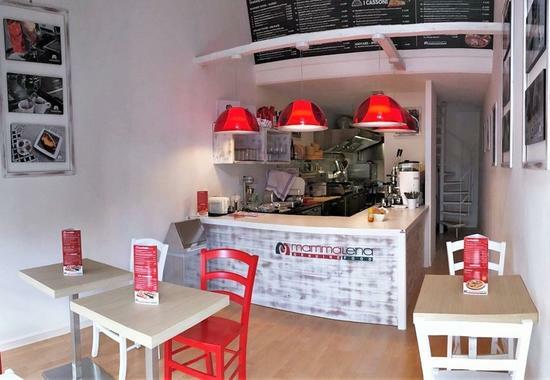 OPENING: New arrival with Italian style and flavors in Limassol! 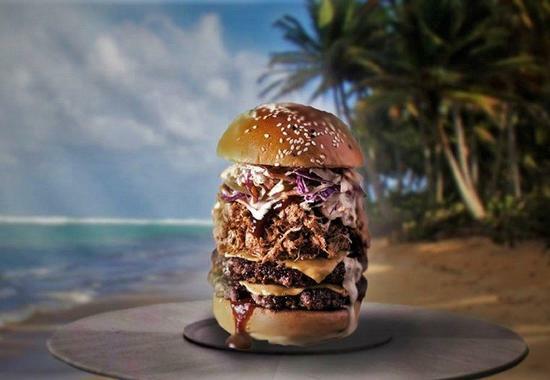 NEW: A burger loved in Limassol is about to surprise the city! 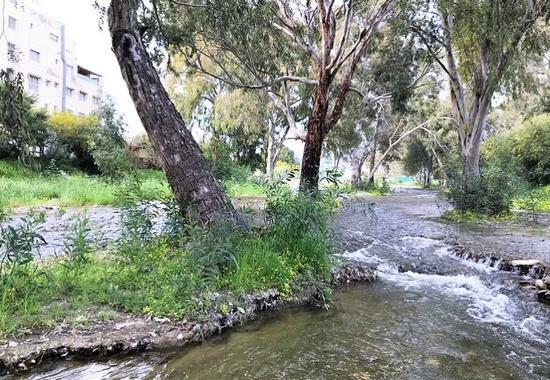 OPENING: A new relaxing option, in one of Limassol's busiest areas! 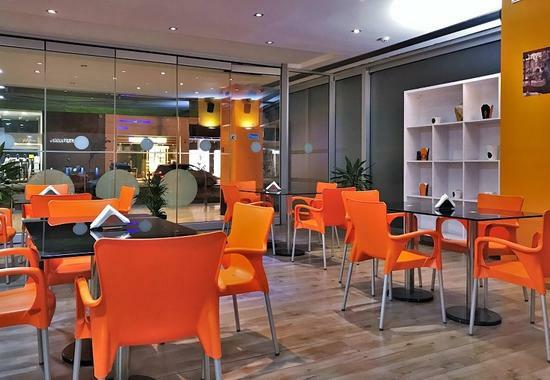 OPENING: A pioneering cafe with a 24-hour study area has just arrived in Limassol! 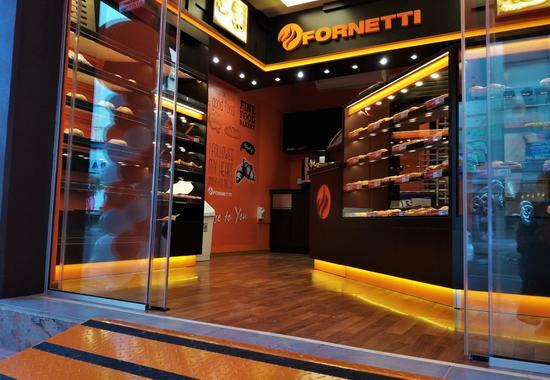 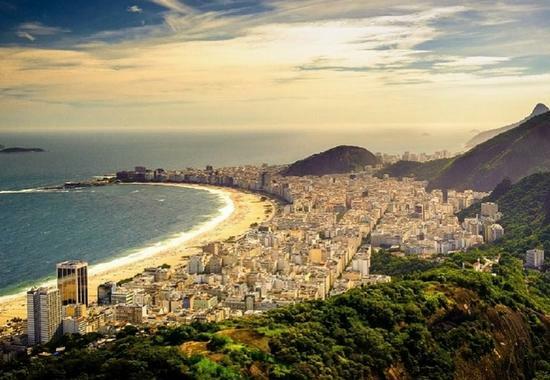 OPENING: A European franchise opens an alternative store in Limassol! 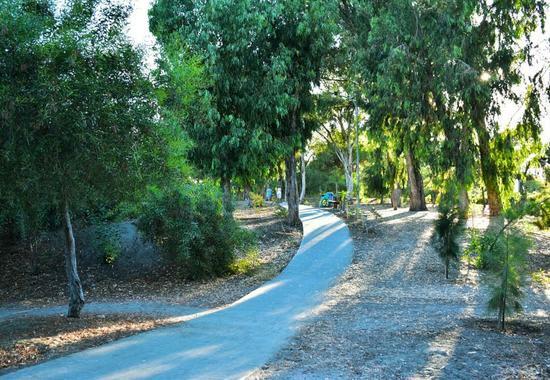 OPENING: 2 playgrounds and a rich menu, at Limassol's new, special opening! 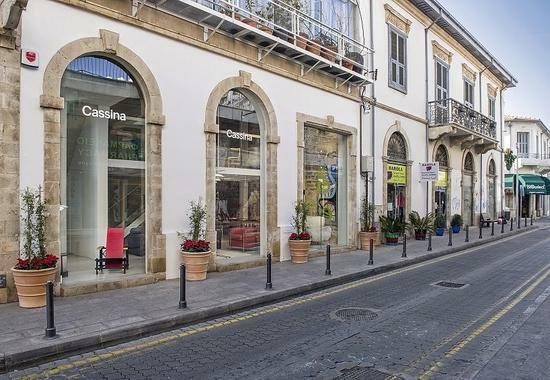 OPENING: A new, special place, brings a new life in Lanitis Arcade in Limassol! 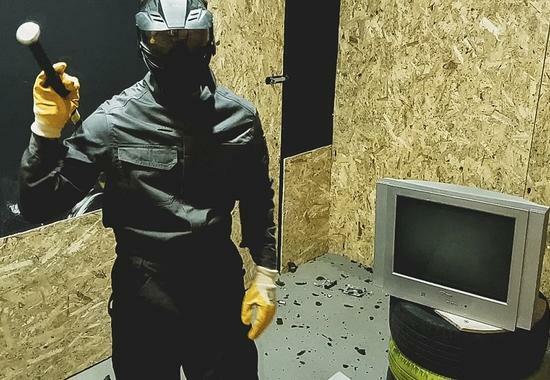 OPENING: Limassol now has a room you can smash, when feeling pissed-off! 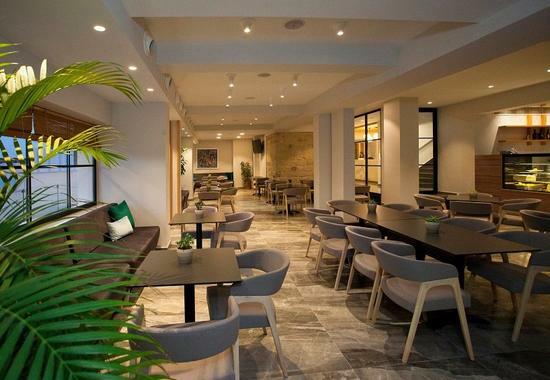 OPENING: A multi-awarded restaurant with Italian cuisine arrived in Limassol! 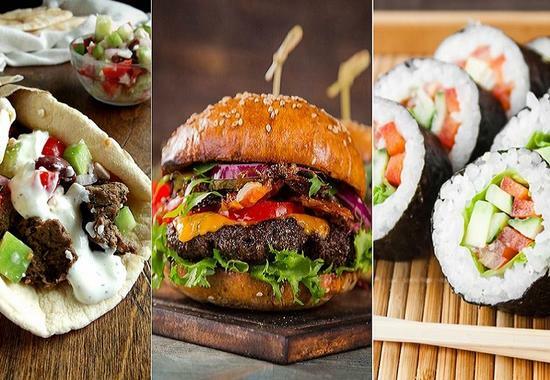 OPENING: A place that brought burgers, gyros and sushi together in Limassol! 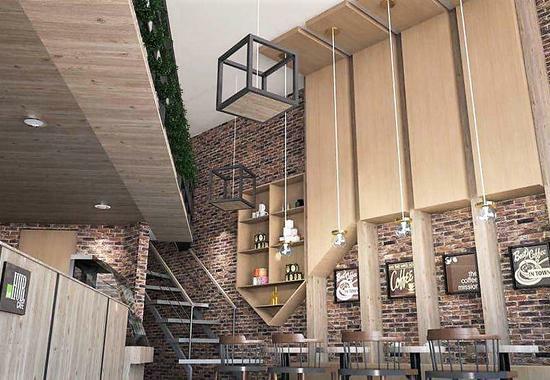 OPENING: A modern venue in Limassol, for delicious Chinese food in 3 steps! 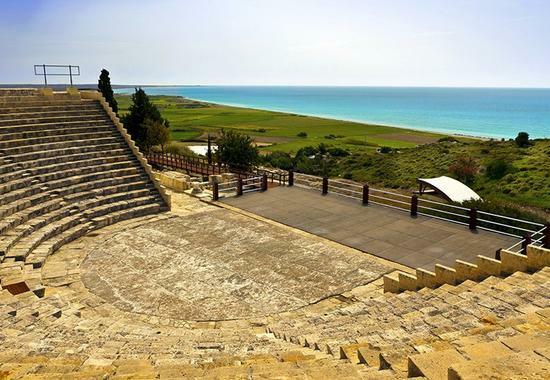 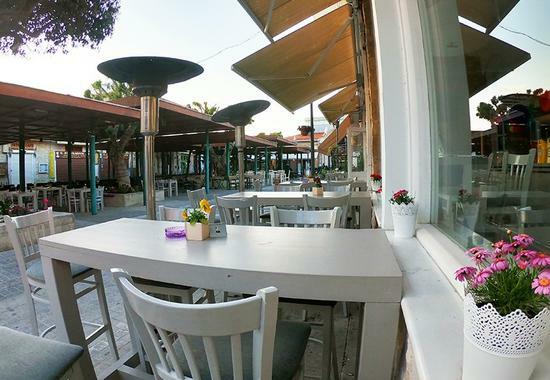 OPENING: 3 Limassolians have set up an amazing new place at the seaside area! 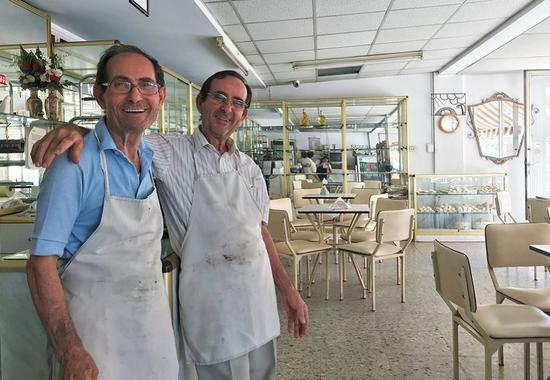 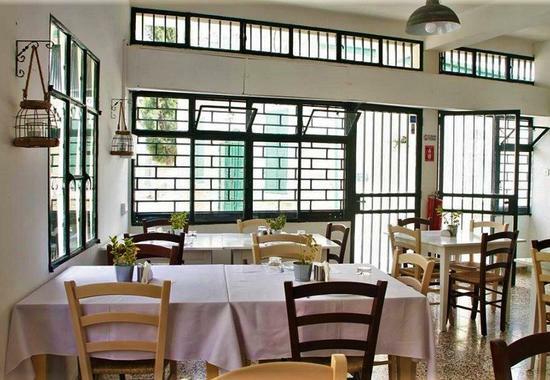 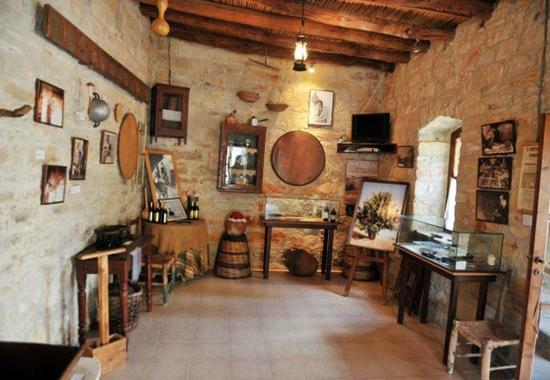 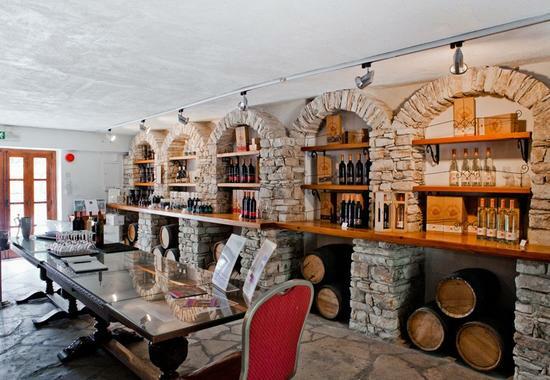 OPENING: 2 Italians have opened in Limassol an authentic, Italian trattoria! 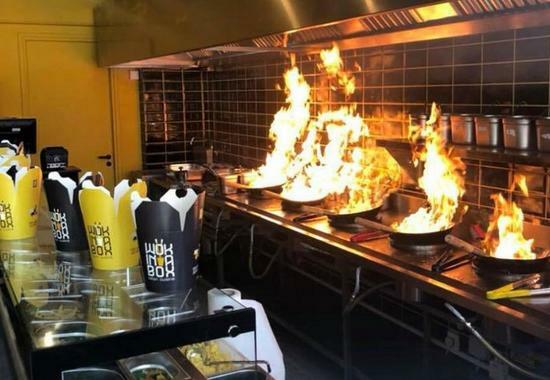 OPENING: A new chinese place in Limassol set the woks on fire to impress! 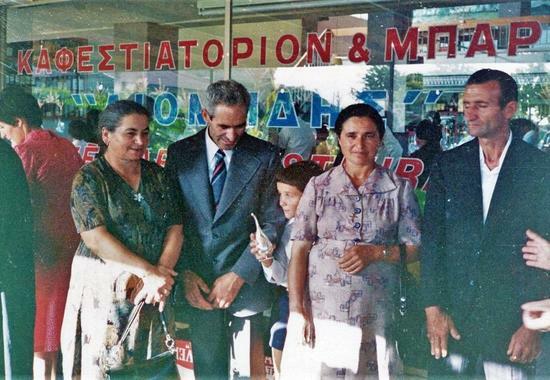 OPENING: A new international franchise opens its largest shop in Limassol! 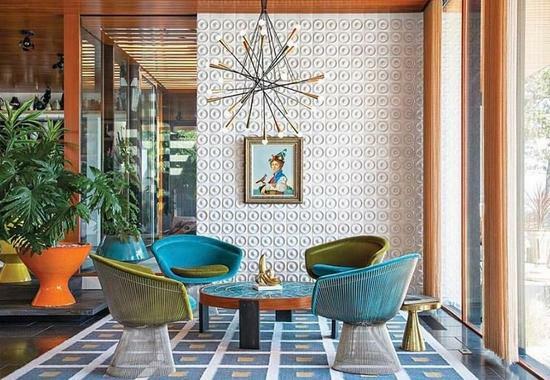 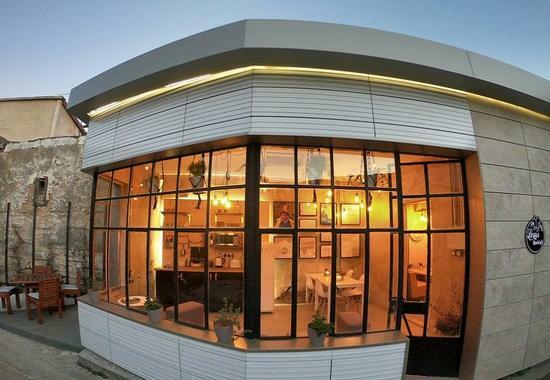 OPENING: A beautiful, vintage restaurant has just opened in Limassol! 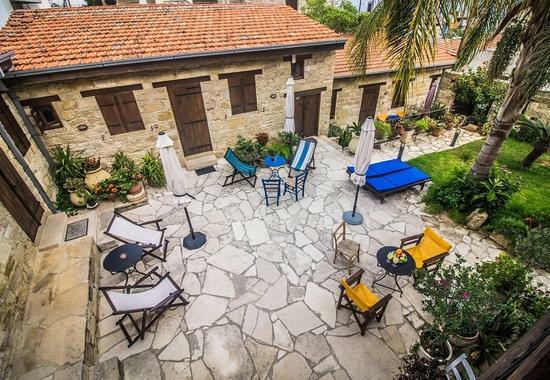 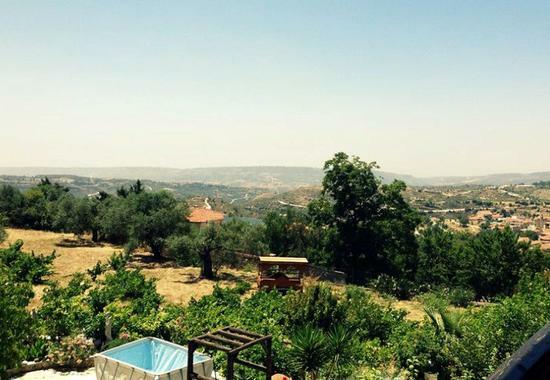 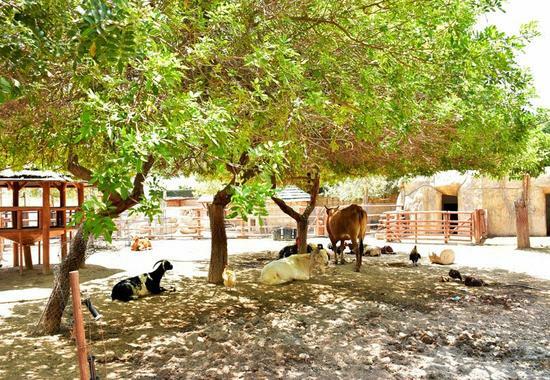 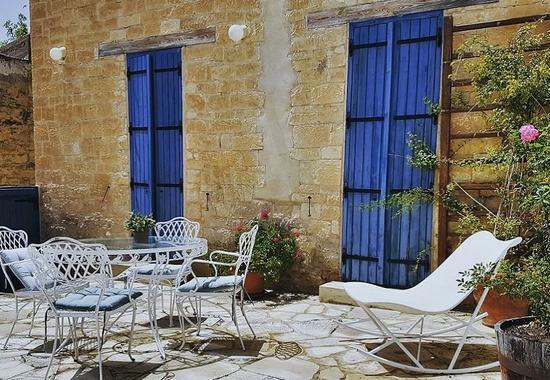 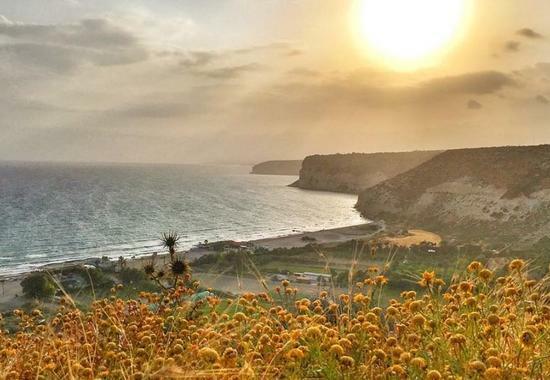 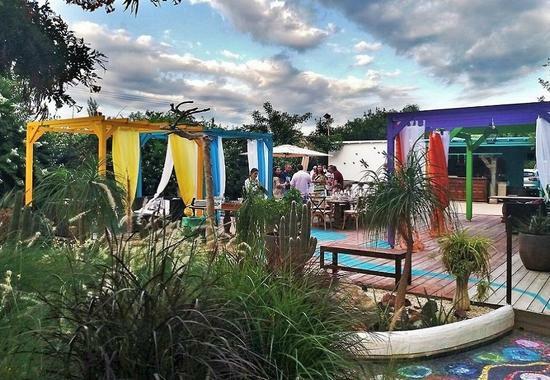 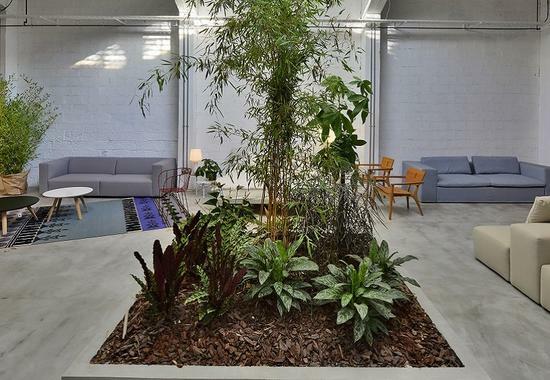 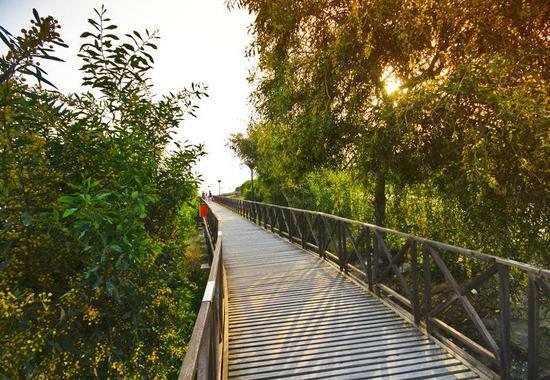 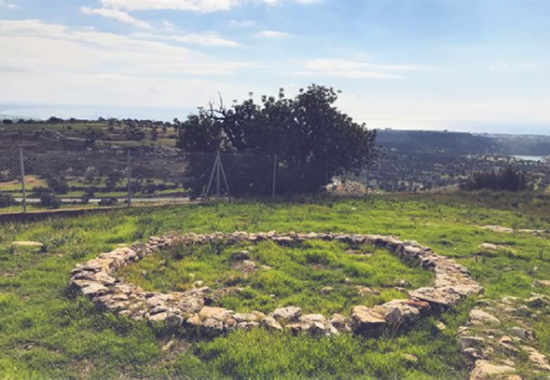 OPENING: 2 young people from Limassol, have created a new beautiful spot, with its own yard! 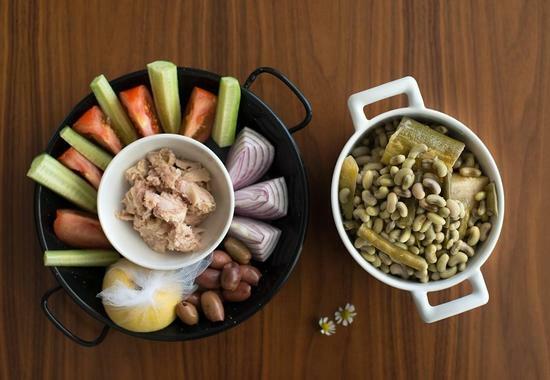 OPENING: A traditional grocery store from back in the 50s, serves meze in Limassol! 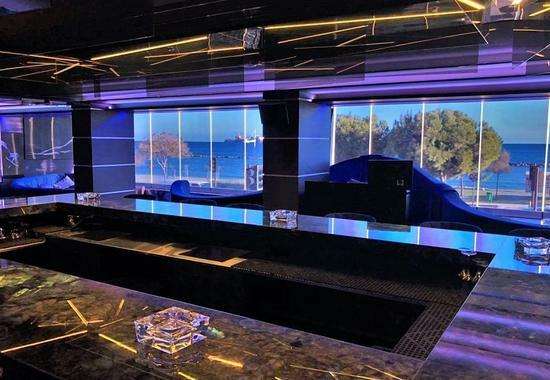 OPENING: An impressive entry by the new beach bar in Limassol for 2018! 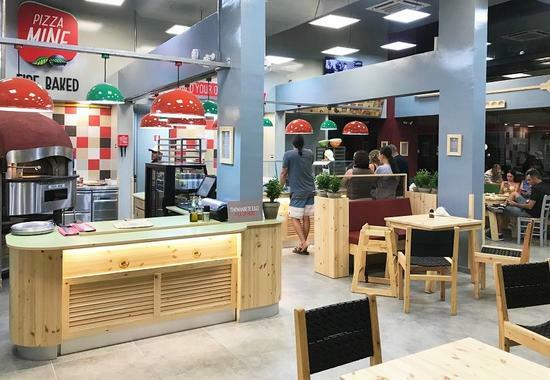 OPENING: The new Italian dining spot in Limassol, which makes delicious, healthy pizza! 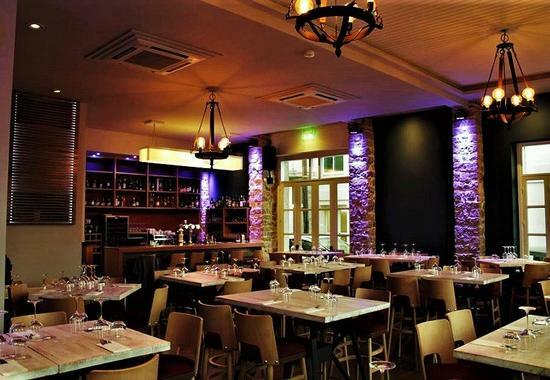 OPENING: A stunning, new restaurant, is making an impression in Limassol! 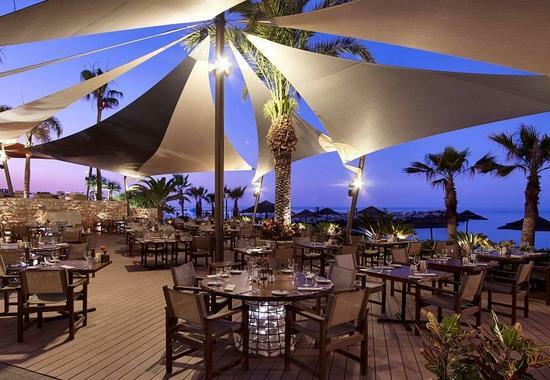 OPENING: New, impressive venue in Limassol, with sea view and fitting atmosphere! 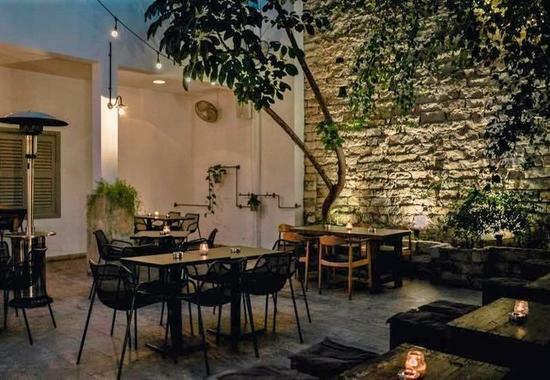 OPENING: An ethereal café, in a magical spot in Limassol! 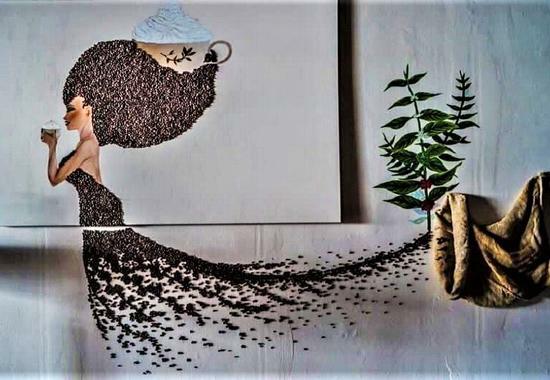 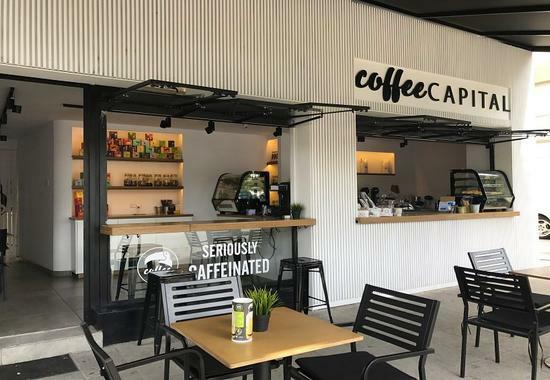 OPENING: A new, interesting place for coffee and bites has just arrived in Limassol! 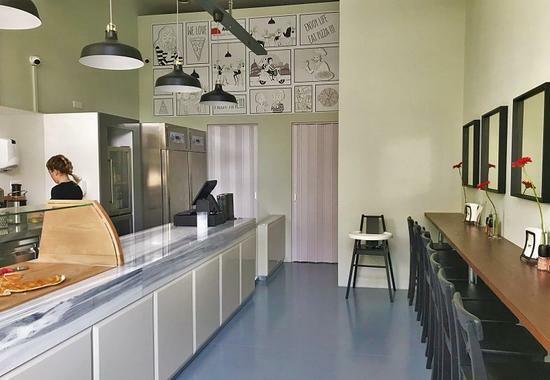 OPENING: A new, tasteful pizza place with its own playground in Limassol! 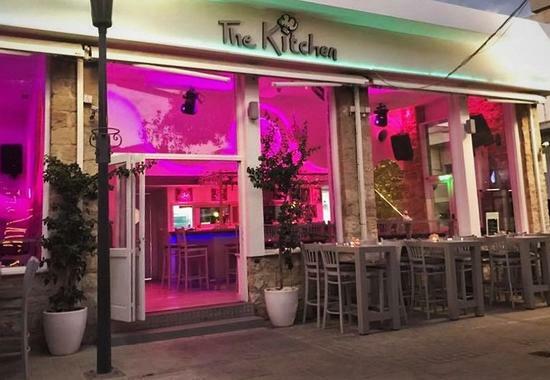 OPENING: The first restaurant in Limassol with a special after-hours menu! 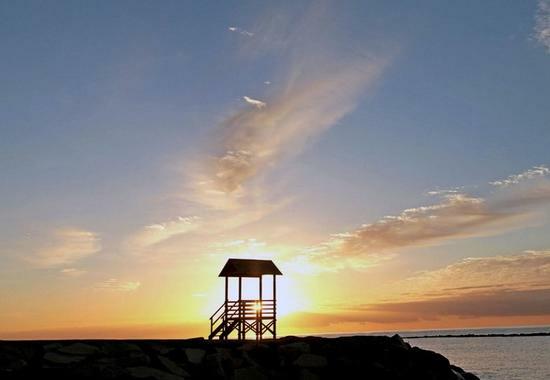 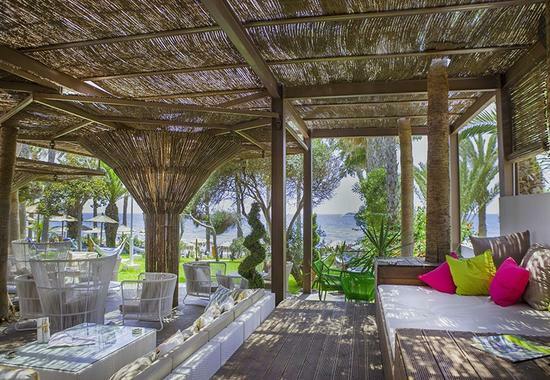 OPENING: A new place by the Limassol sea that catches your eye! 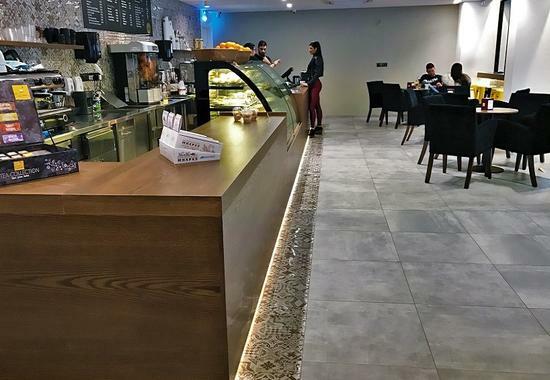 OPENING: A new place under the archs of the walk way in Limassol's city center! 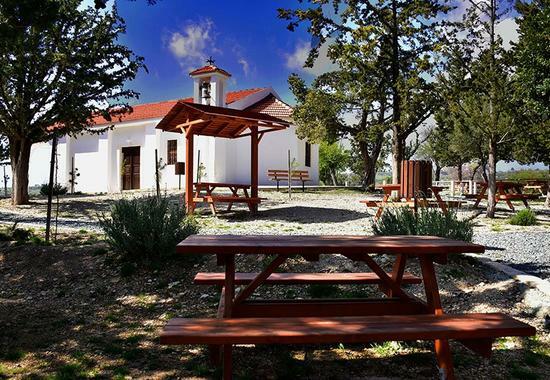 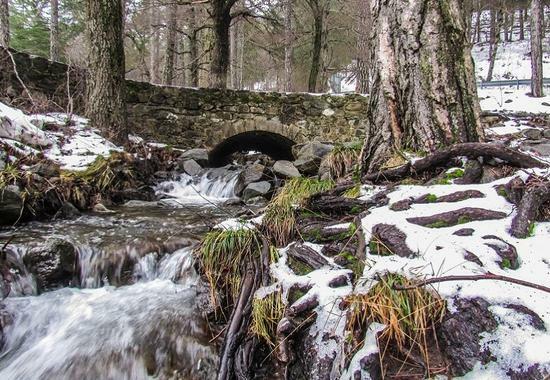 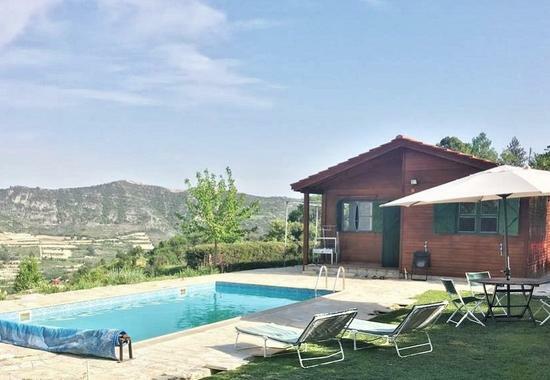 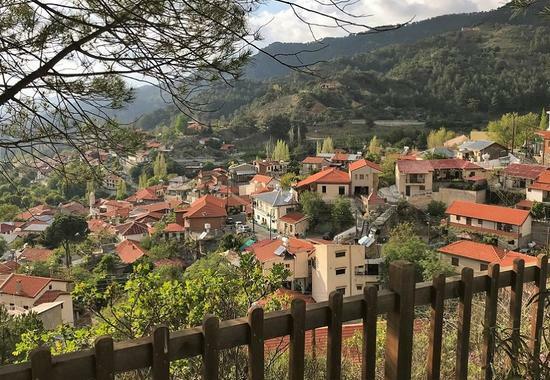 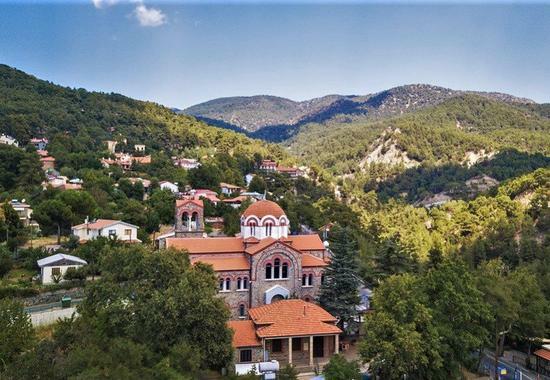 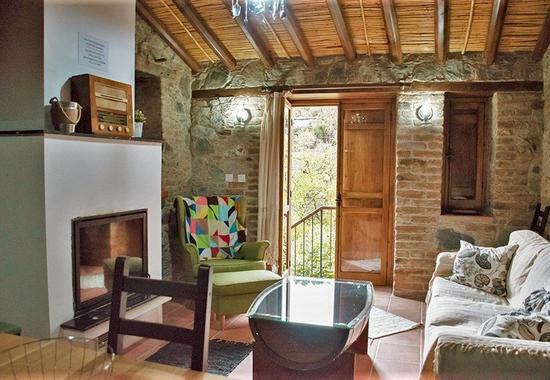 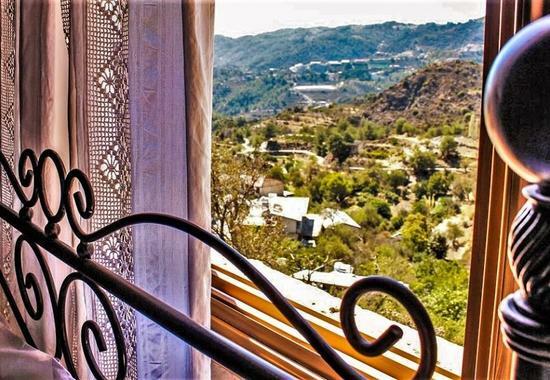 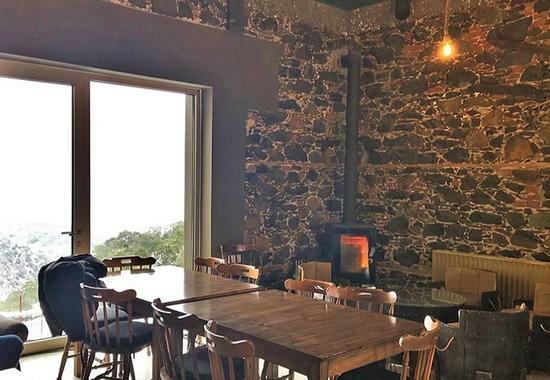 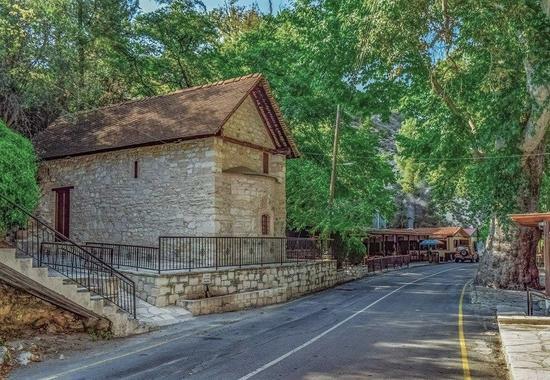 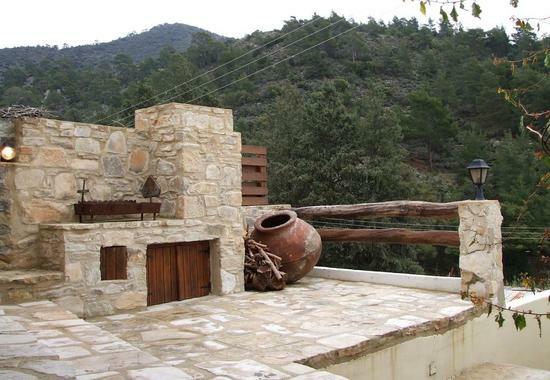 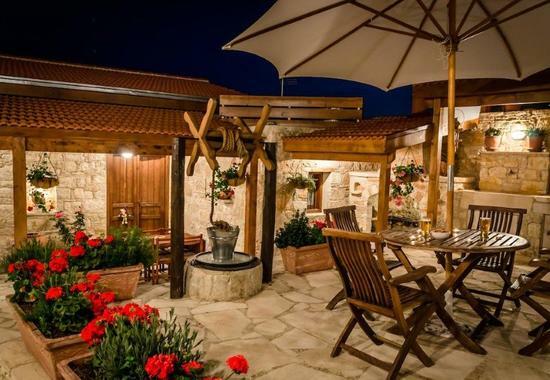 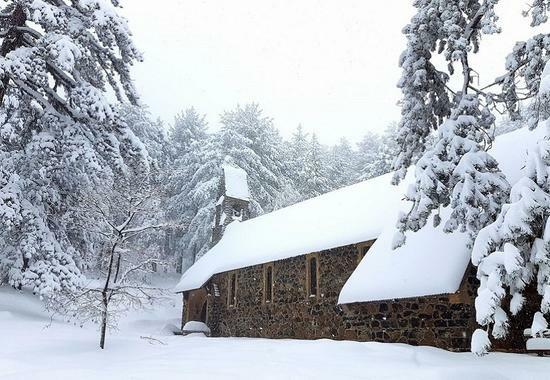 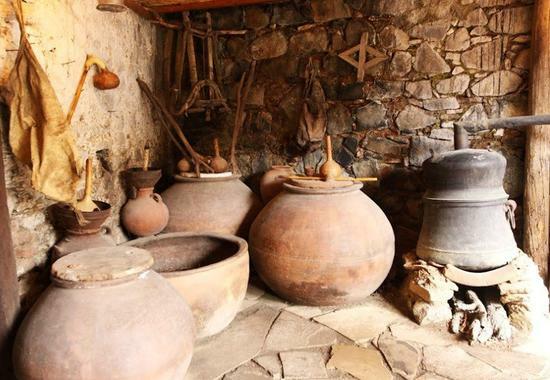 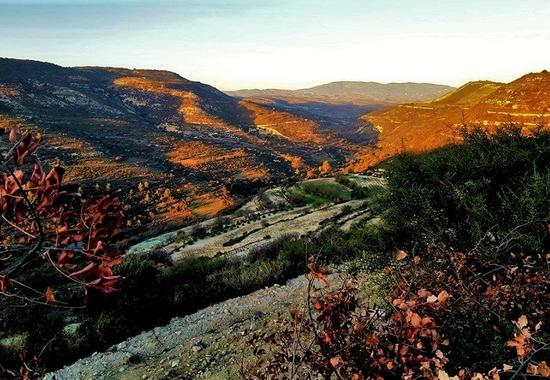 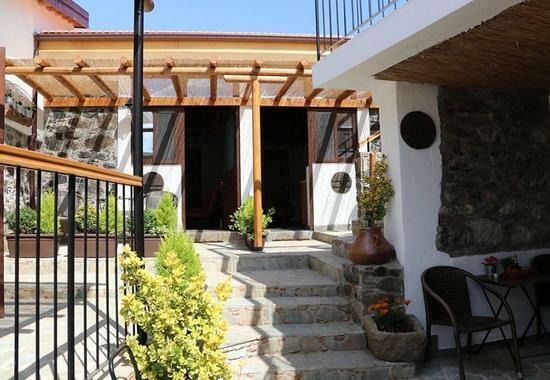 OPENING: A new, traditional coffee shop you should visit in Limassol's mountains! 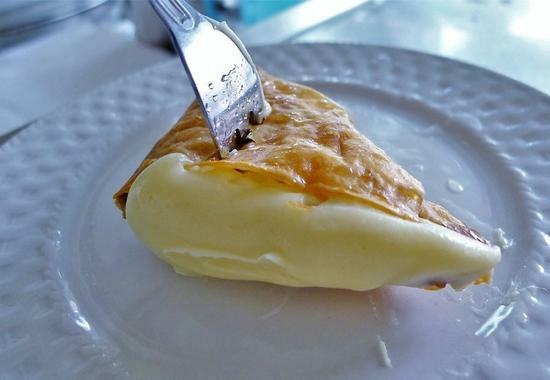 OPENING: The traditional triangle sweets from Panorama in Thessaloniki, now found in Limassol! 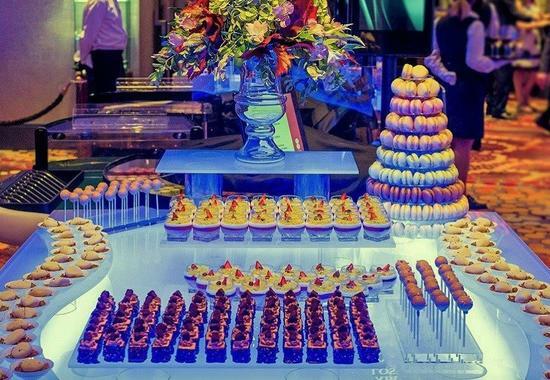 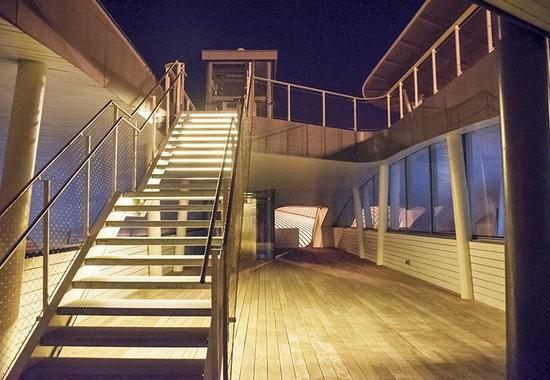 OPENING: A large, international brand has created an amazing new venue in Limassol! 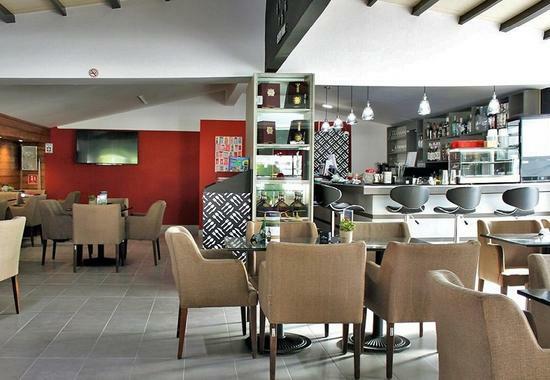 OPENING: A luscious new place in Limassol, with gourmet surprises! 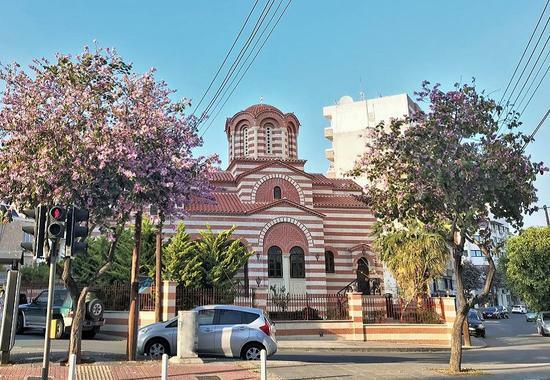 OPENING: An elegant new surprise in a historic corner of Limassol! 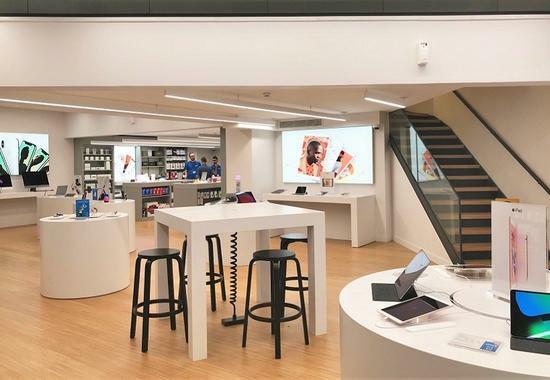 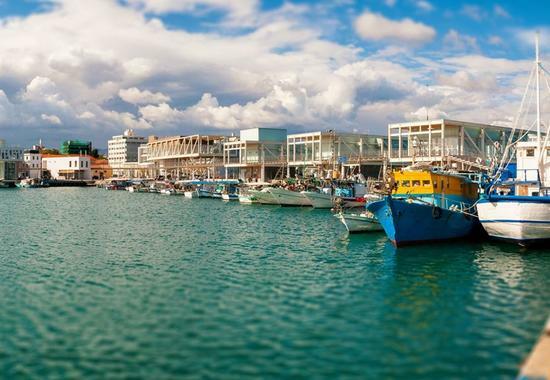 OPENING: The first iStorm store opened in Limassol Marina! 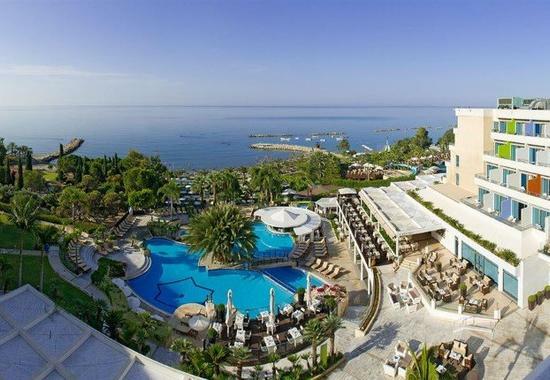 OPENING: An impressive new luxury opening in Limassol! 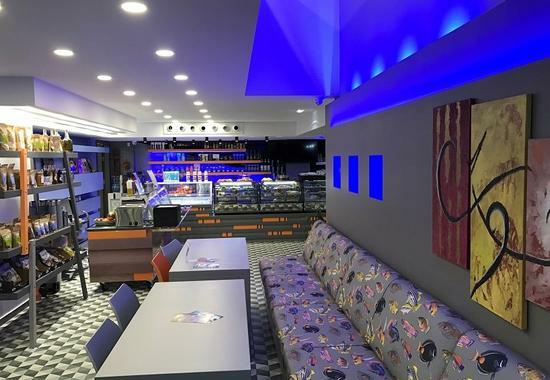 OPENING: A new sweet temptation in Limassol! 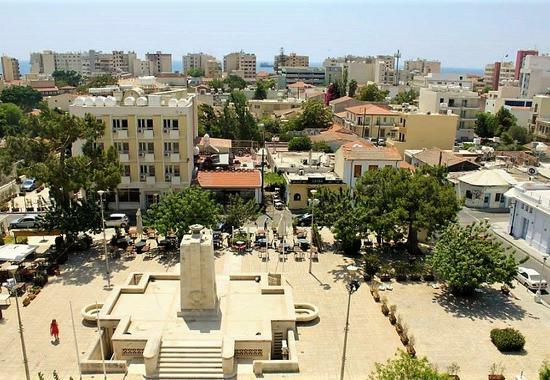 OPENING: A beautiful, new surprise in a beloved square in Limassol! 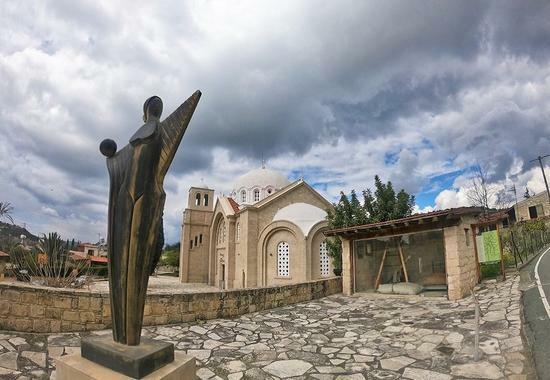 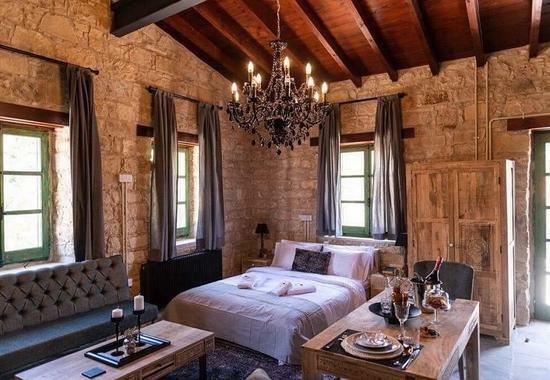 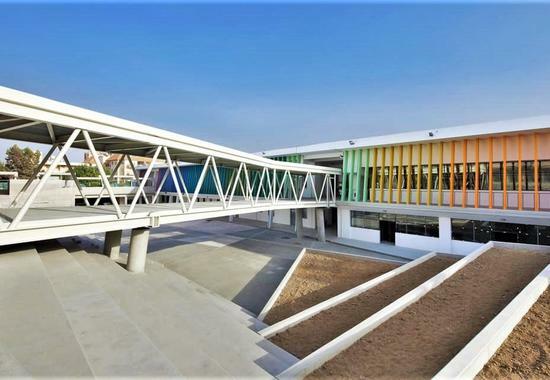 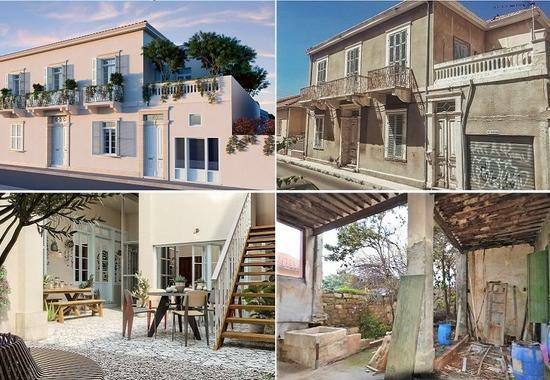 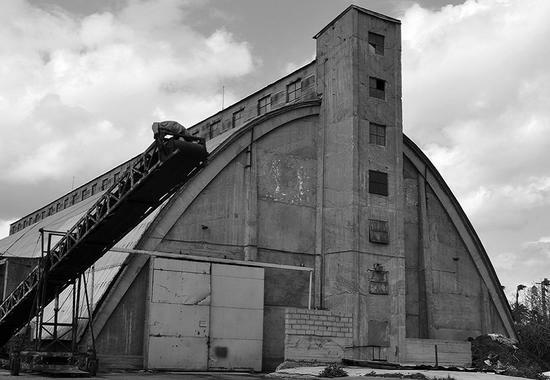 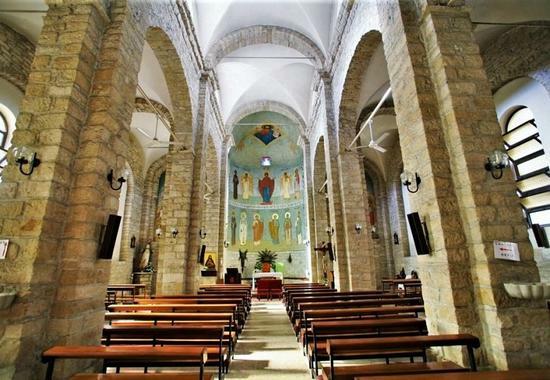 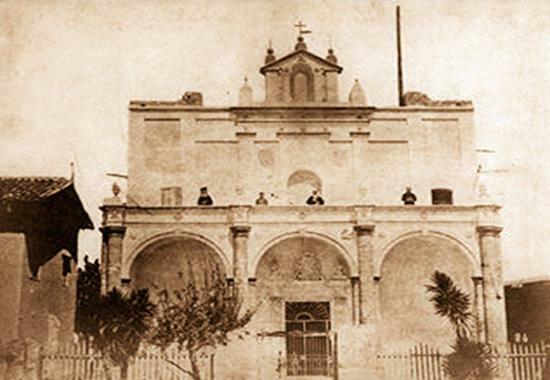 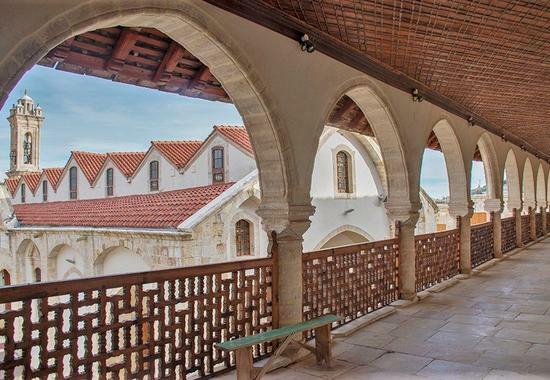 OPENING: A beautiful, restored building in Limassol, tranformed into a surprising venue! 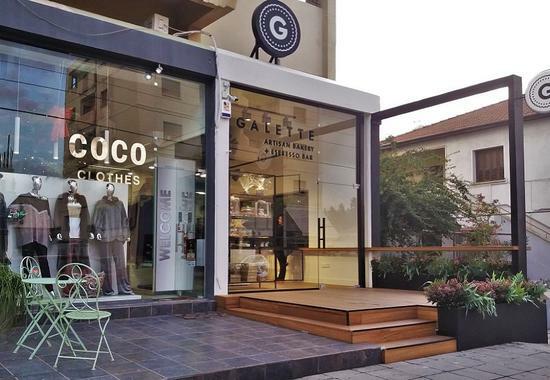 OPENING: A well-known brand from abroad has opened a gorgeous store in Limassol! 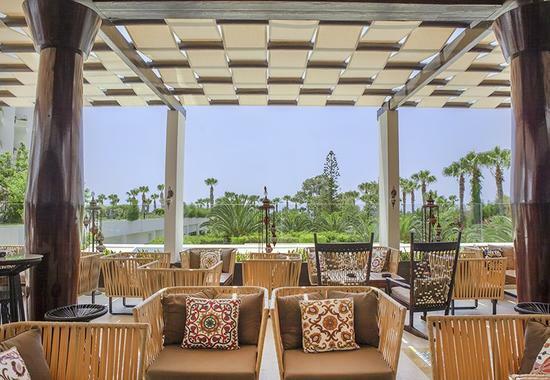 OPENING: An elegant venue with a warm atmosphere is Limassol's latest opening! 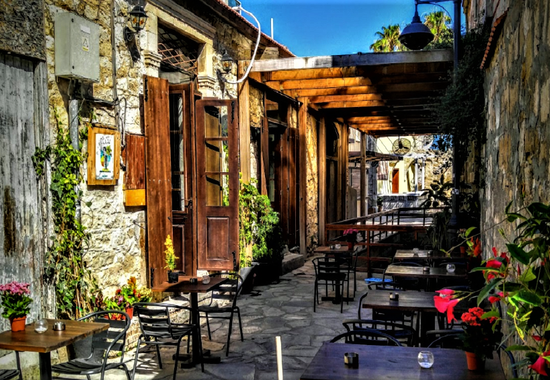 OPENING: A new, beautiful spot for drinks and dining in the Limassol old town! 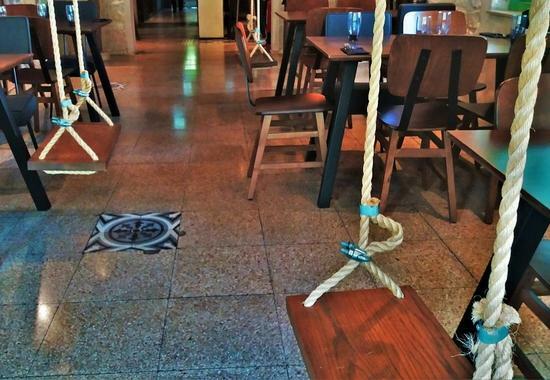 OPENING: A new family restaurant, with its own beautiful playground for kids! 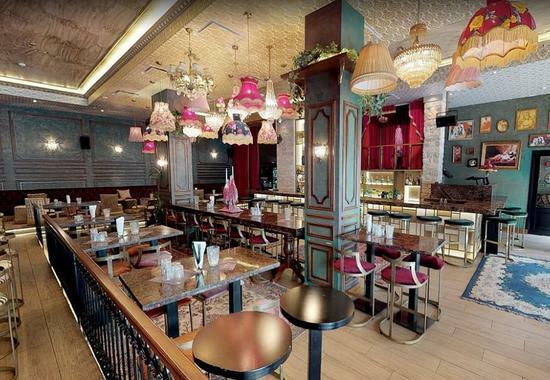 OPENING: A stunning new place in Limassol, with tasty delights from around the world! 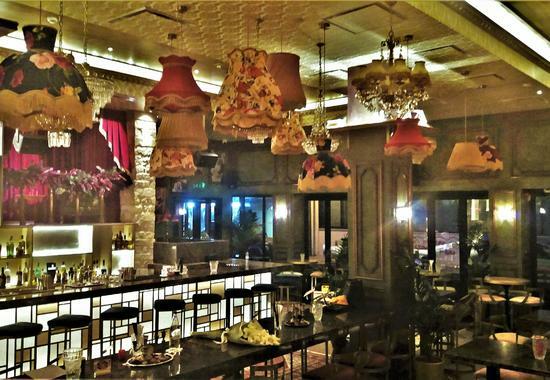 OPENING: A traditional Chinese restaurant with authentic cuisine in Limassol! 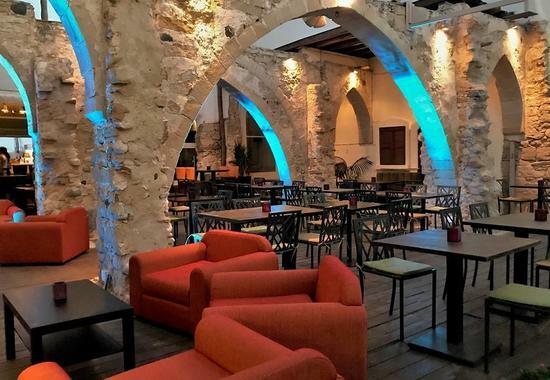 OPENING: A new, interesting venue has opened its doors in Limassol's historical center! 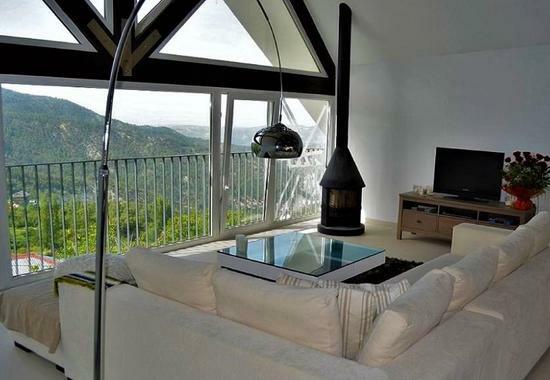 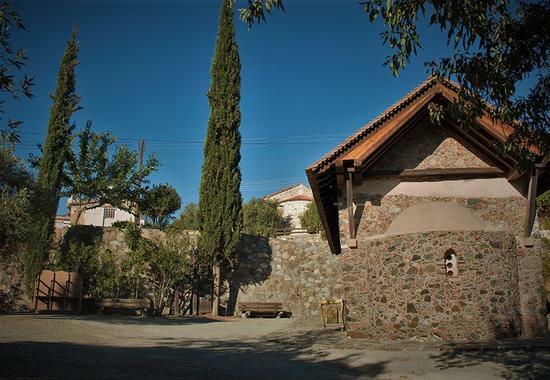 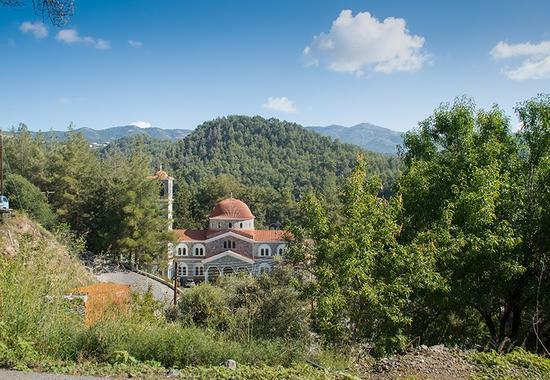 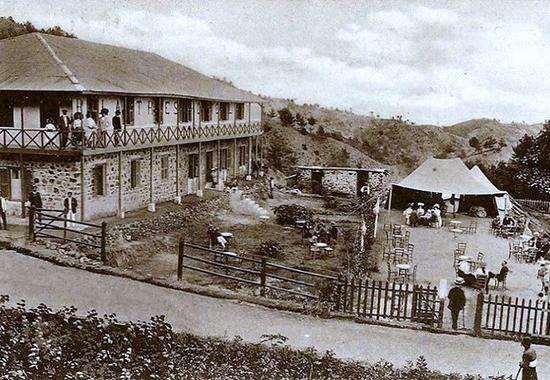 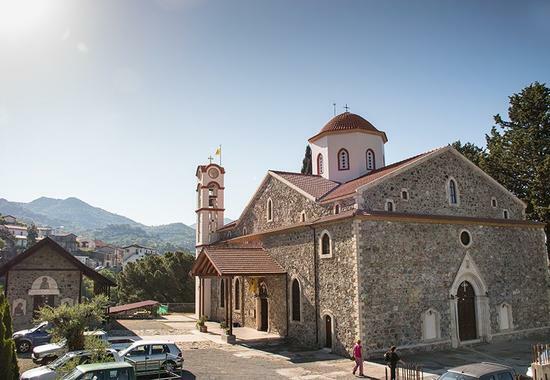 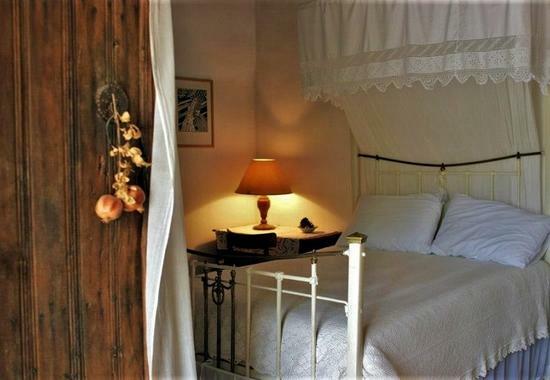 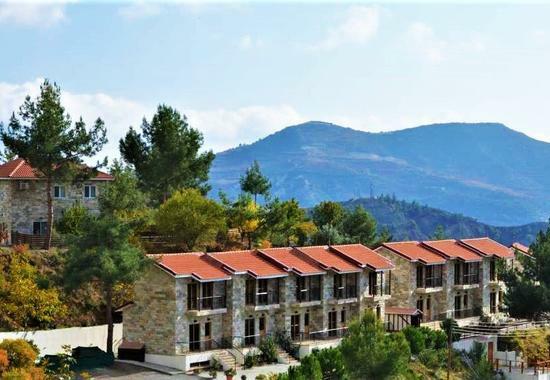 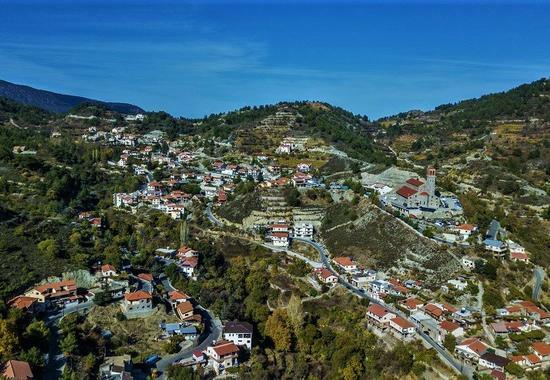 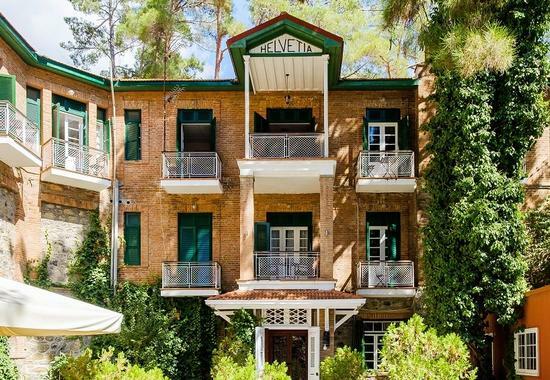 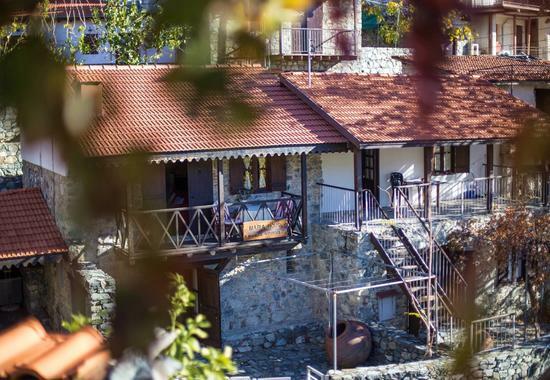 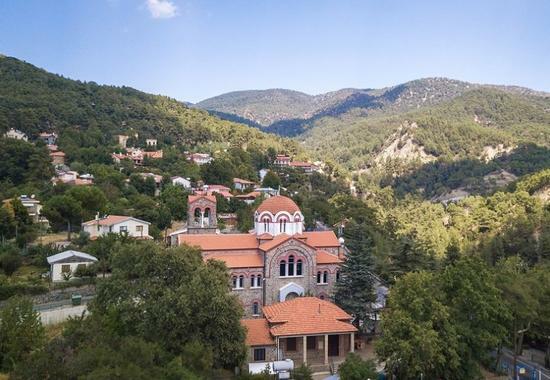 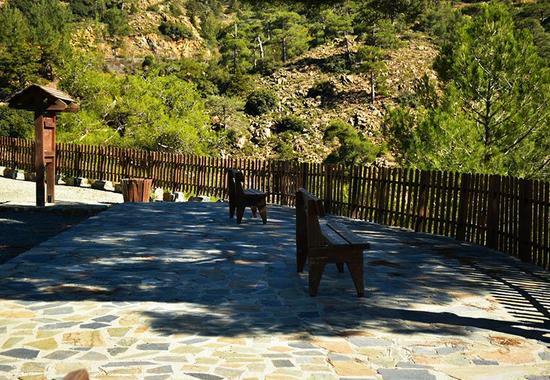 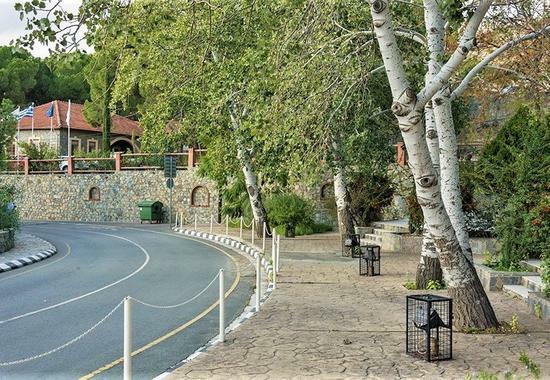 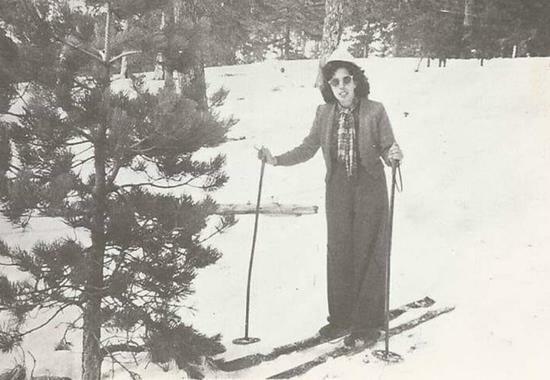 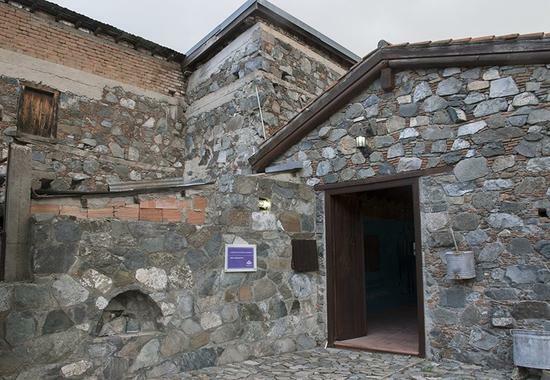 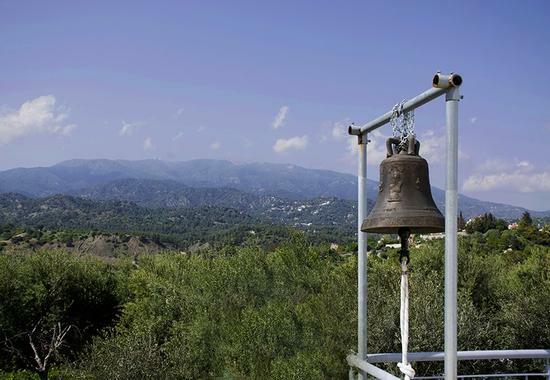 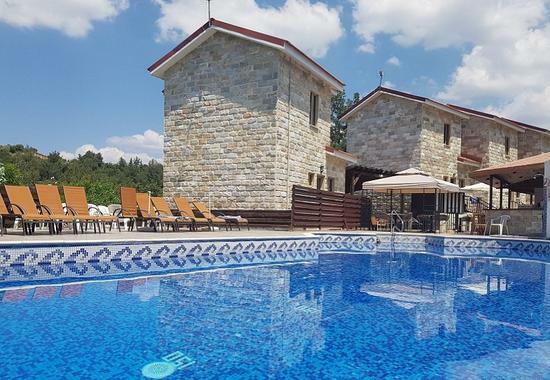 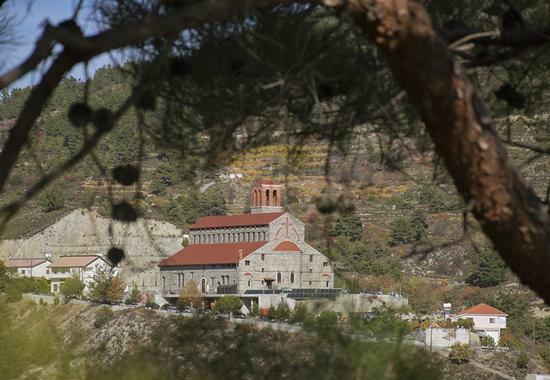 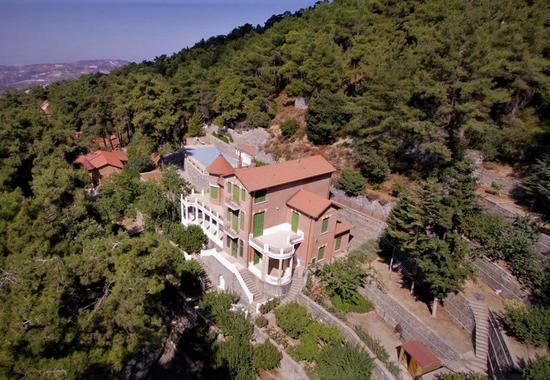 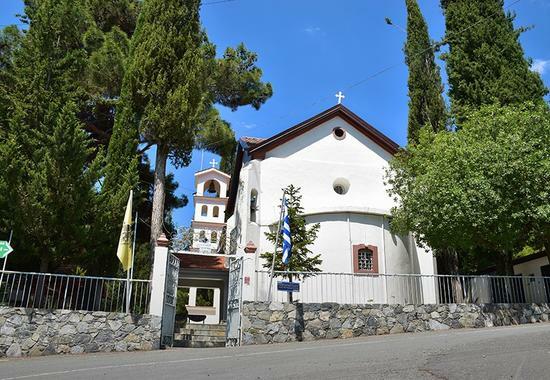 OPENING: A new venue, with the atmosphere of a Swiss chalet, in the heart of Troodos! 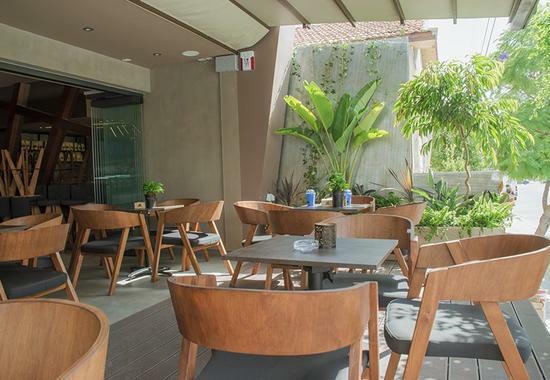 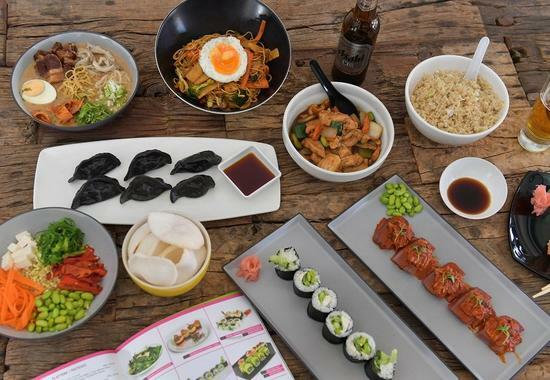 OPENING: A new arrival in Limassol presents flavors from Hawaii for the first time! 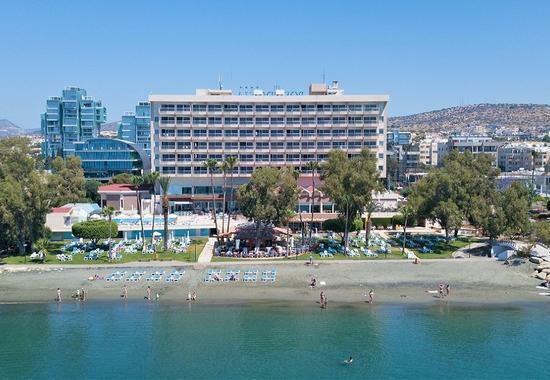 OPENING: A new destination with idyllic views in the Limassol city center! 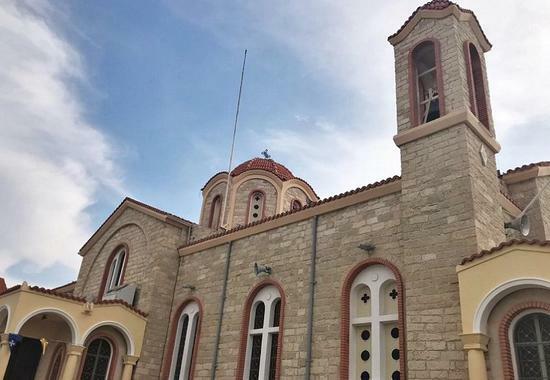 OPENING: 'Mbarmba Andreas' is a new, modern space in Limassol with traditional values! 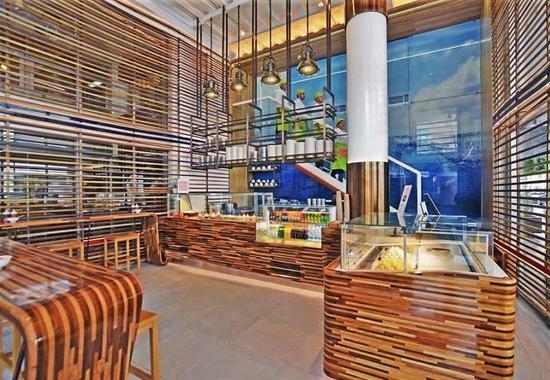 OPENING: 2 young Limassol women have created a bright, modern space offering delicious flavors! 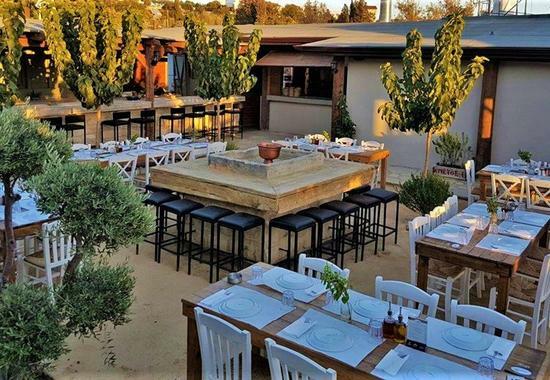 OPENING: A new venue in Limassol rediscovers the Cypriot meze! 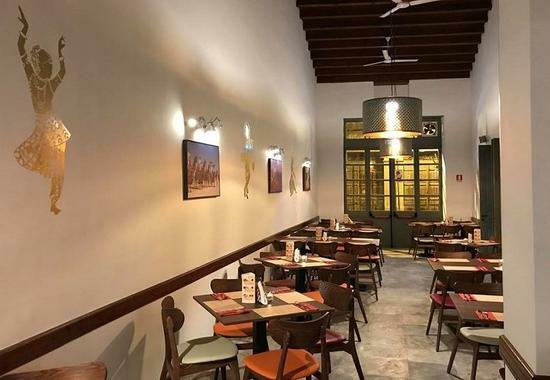 OPENING: A new arrival in the historical center of Limassol aims to impress with its menu and image! 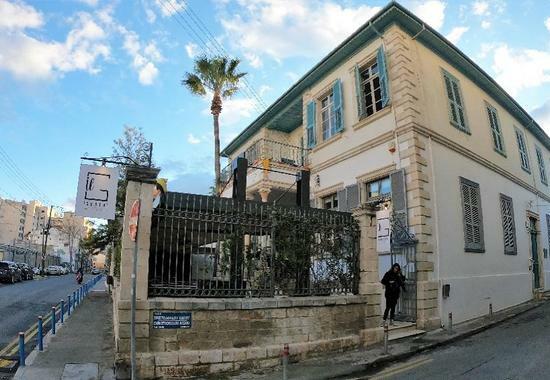 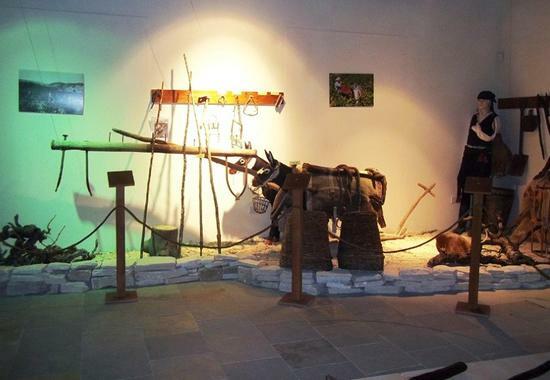 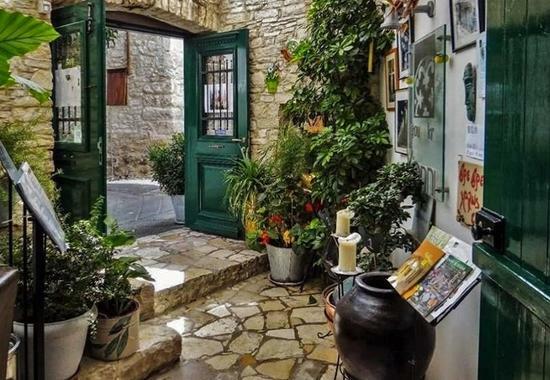 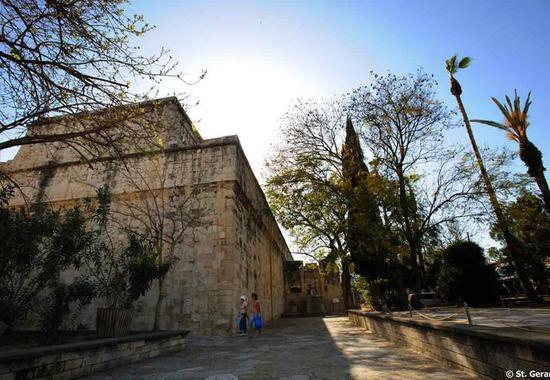 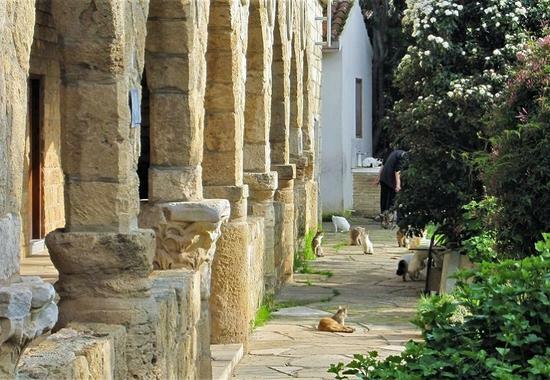 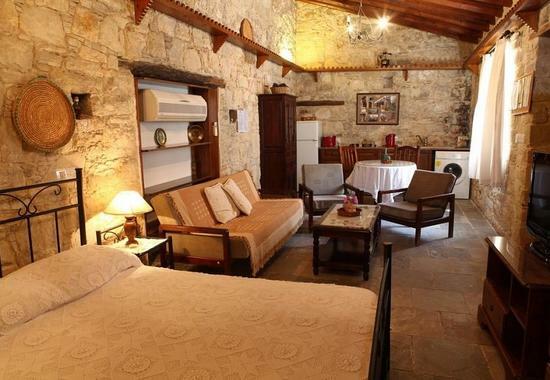 OPENING: A 3 in 1 fairy tale space in the historical center of Limassol! 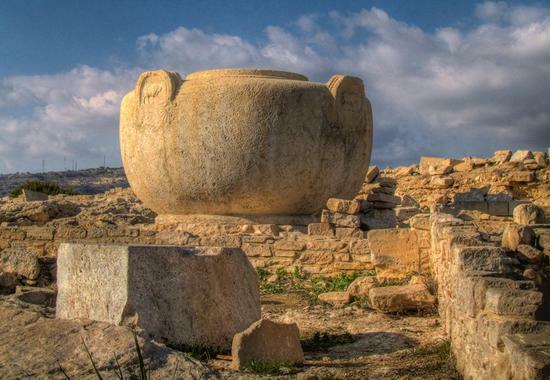 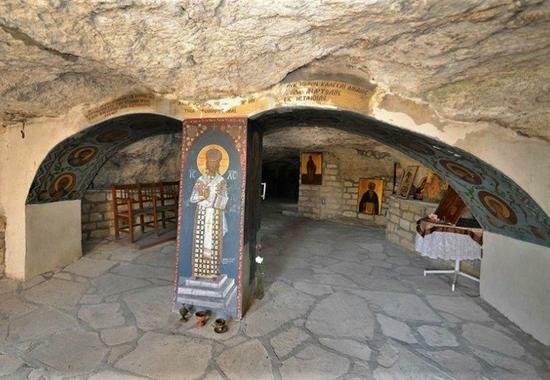 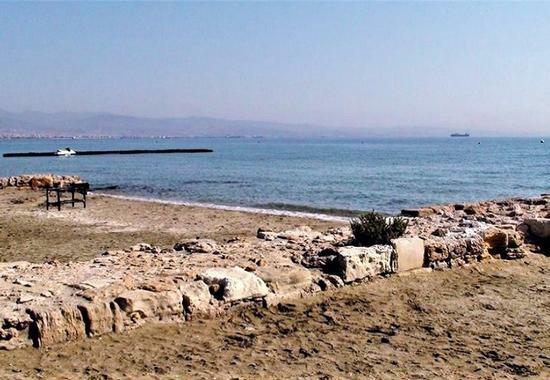 Discovering in Limassol the mini ΄Atlantis΄ of Cyprus! 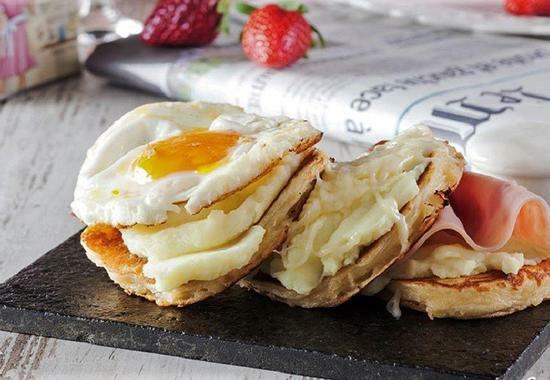 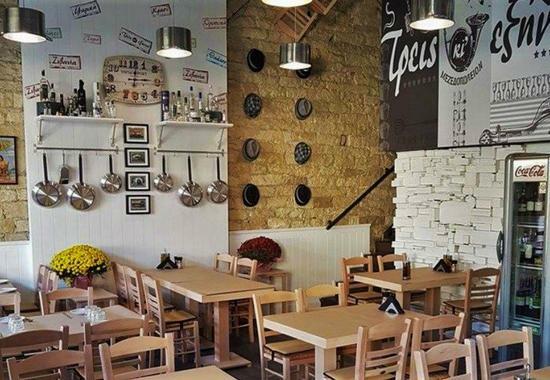 OPENING: The Greek crepe - temptation ΄lands΄ in the Limassol city center! 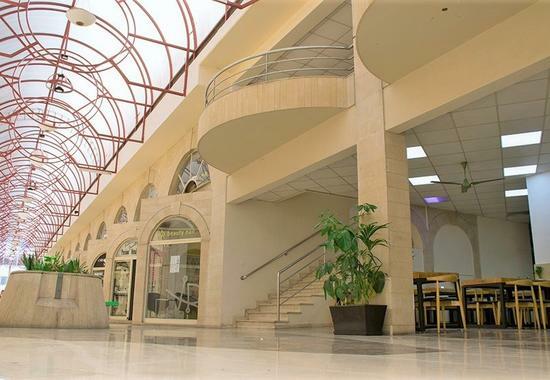 A new glamorous hall opens the doors of beauty to all of Limassol΄s people! 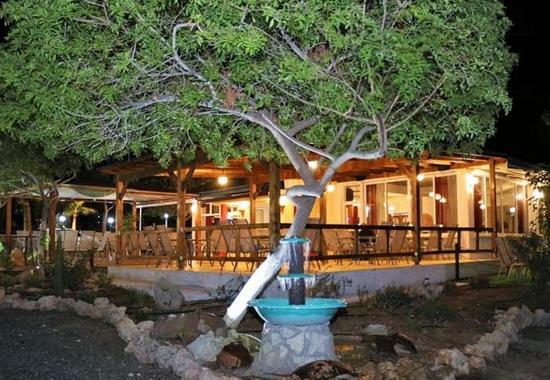 OPENING: New, idyllic location for a favorite Limassol΄s tavern! 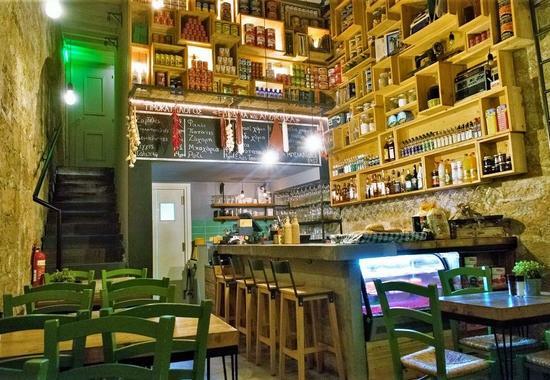 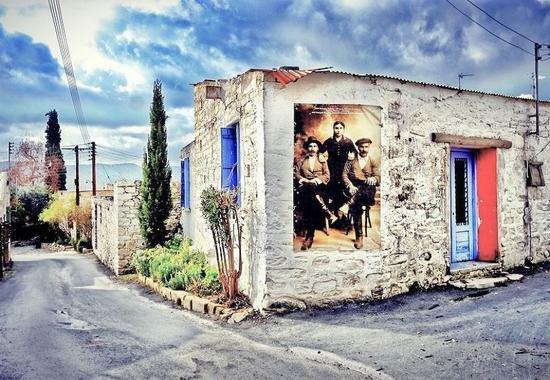 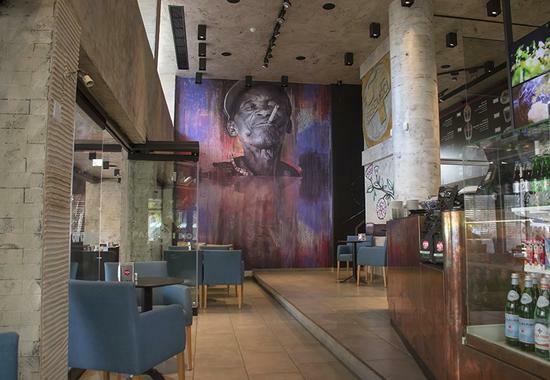 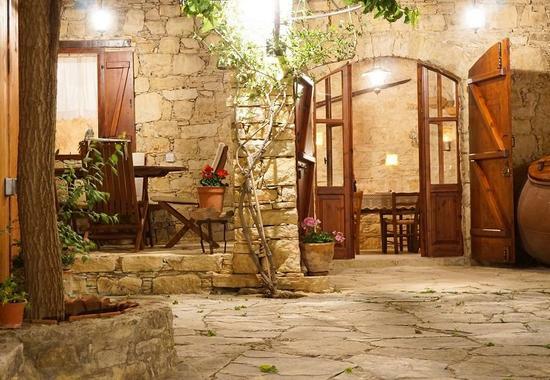 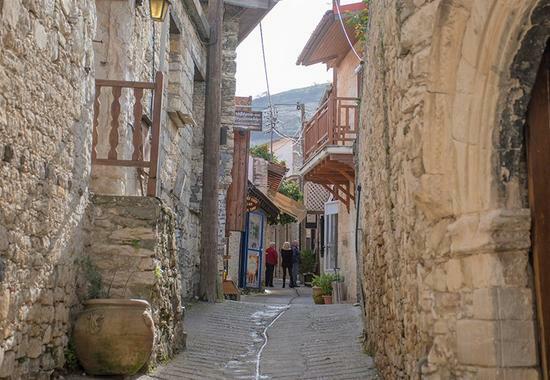 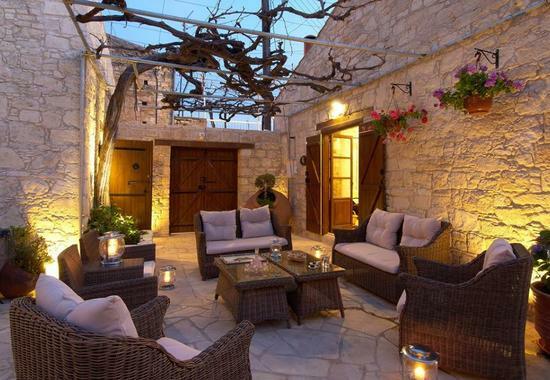 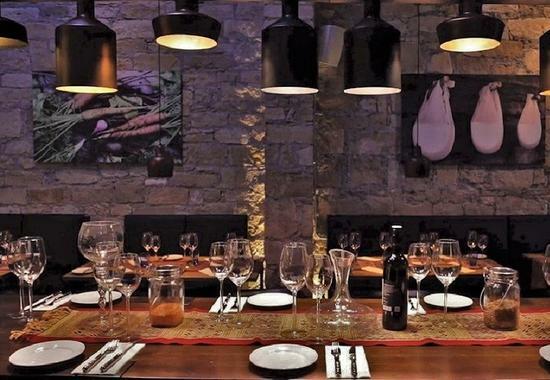 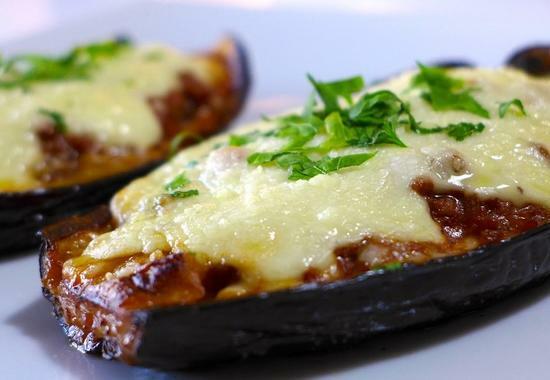 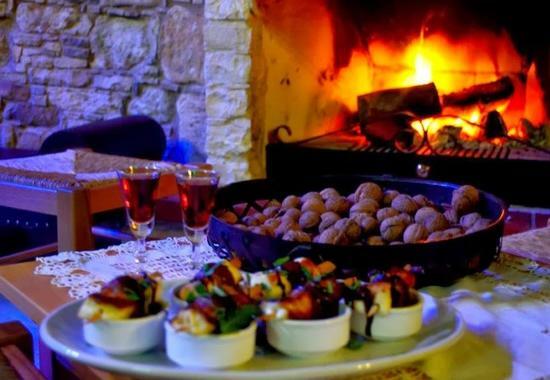 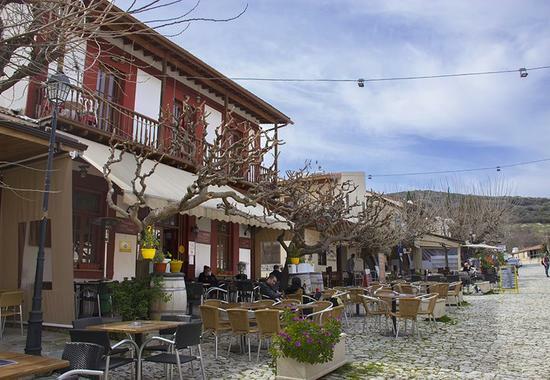 OPENING: Their grandfather΄ s old coffee shop was turned into a trendy meze tavern! 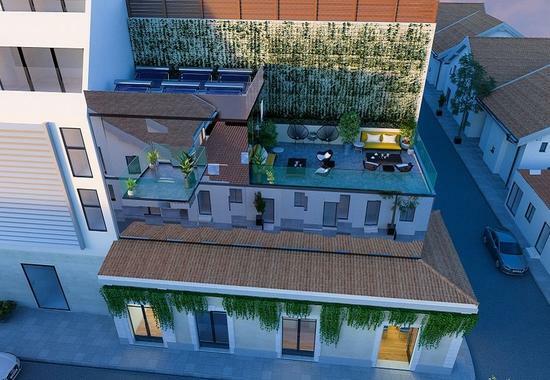 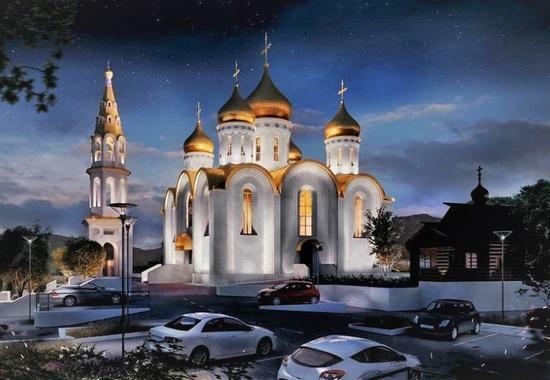 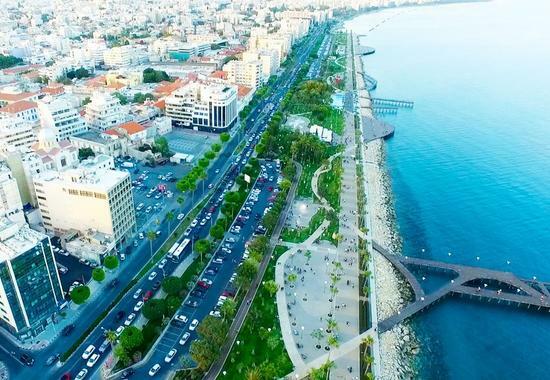 OPENING: Something very modern and elegant at Limassol΄s picturesque streets! 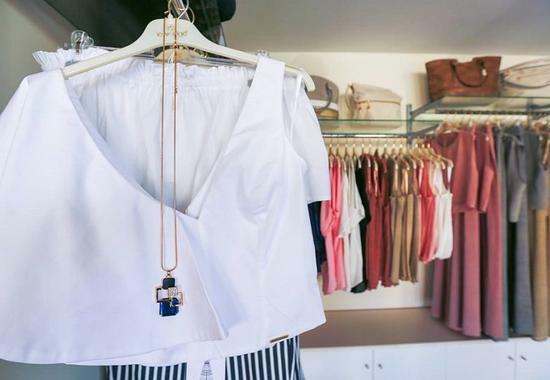 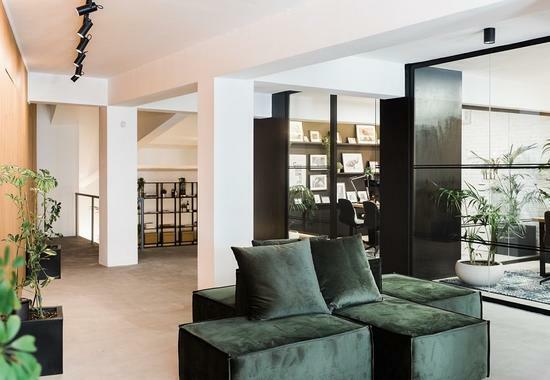 OPENING: This is why you need to know the new Limassol΄s concept store! 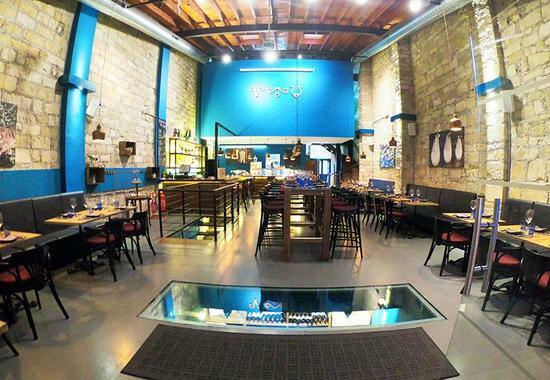 OPENING: Limassol΄s new fish tavern brings a hint of Aegean breeze! 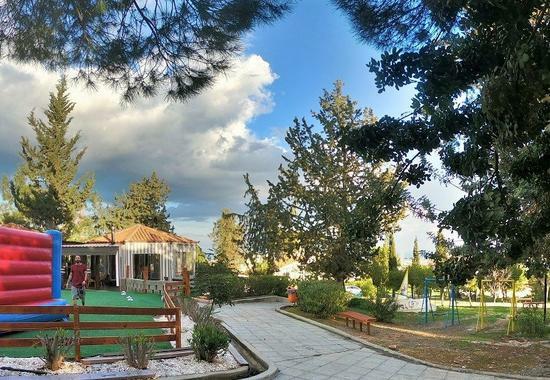 OPENING: A one-of-its-kind childrens΄ theme park is now in Limassol! 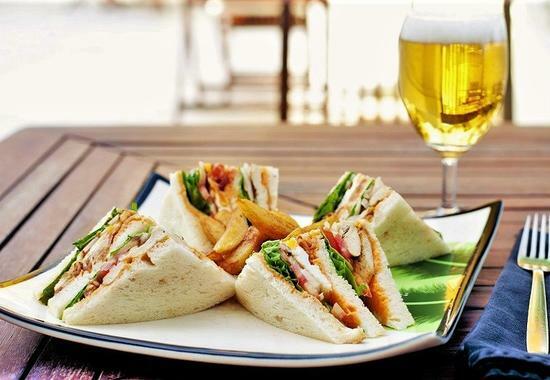 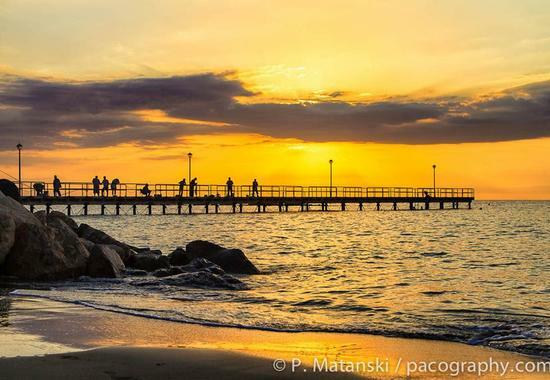 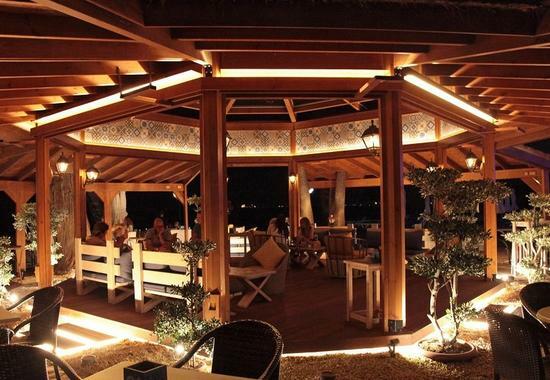 Marina Beach Bar: A delicious spot at Limassol΄s most central coast! 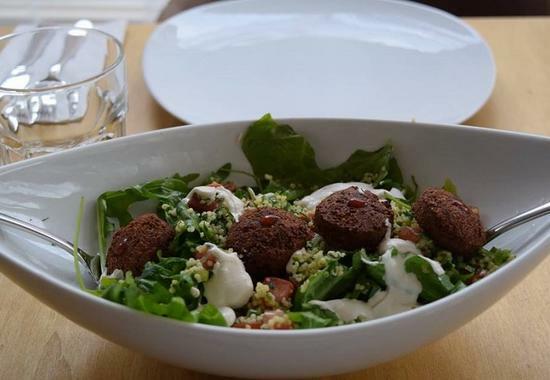 OPENING: The much anticipated spot with the ΄sinful΄ menu opens its doors in Limassol! 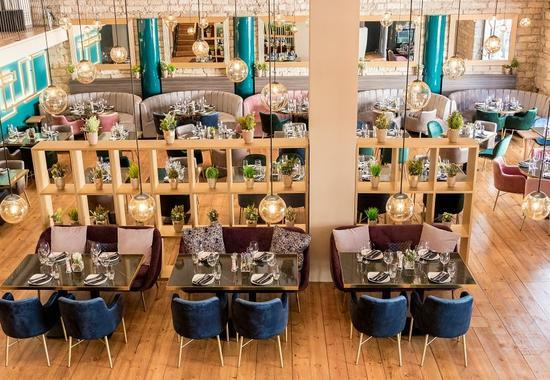 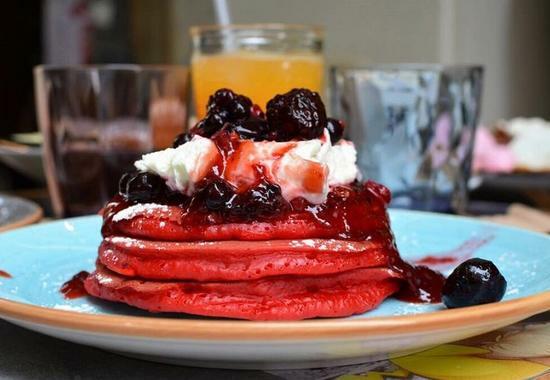 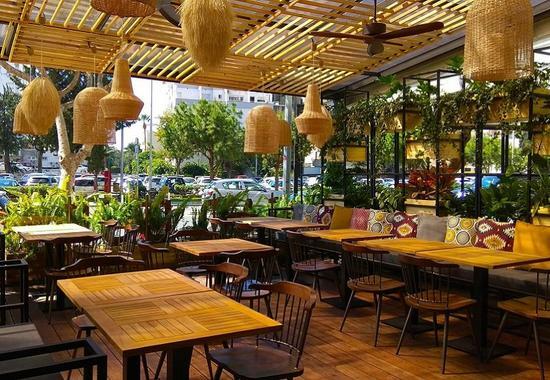 PHOTOS: Estrella became Limassol΄s urban spot for you to enjoy brunch all day! 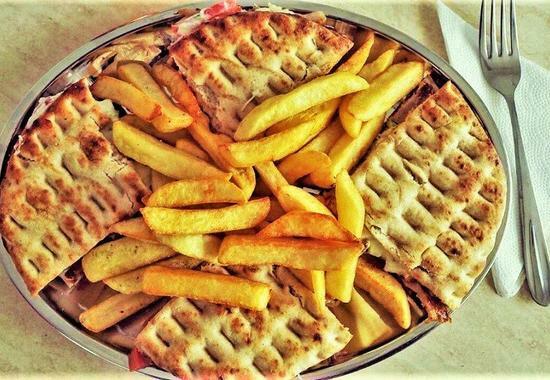 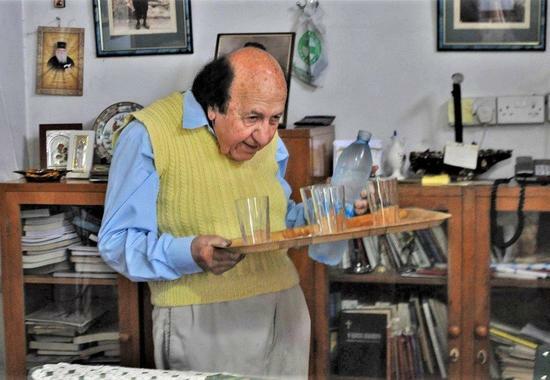 Milkbar in Limassol cooks mom΄s Cypriot recipes for lunch! 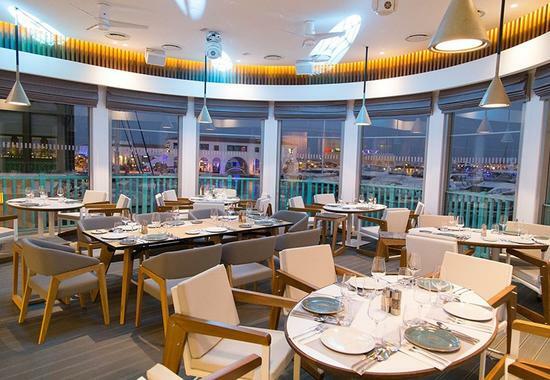 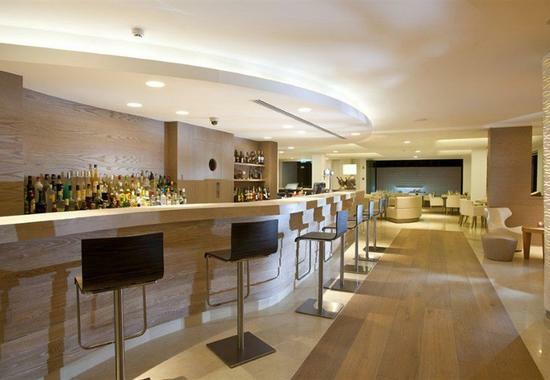 Vivaldi: Limassol΄s multi-awarded and utterly impressive restaurant! 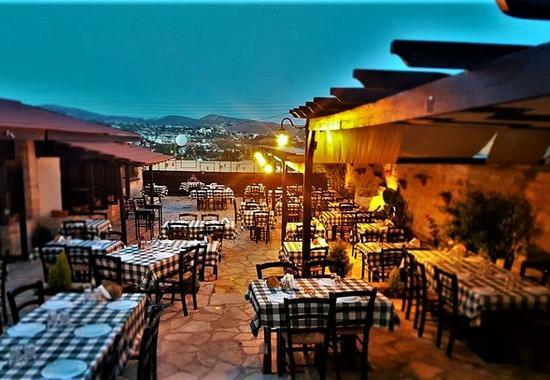 La Brezza: A unique terrace that allows you amazing views to Limassol΄s blues! 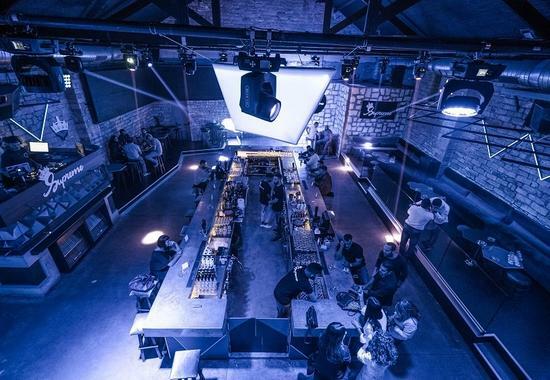 OPENING: An ΄adult playground΄ is the new spot for going out in Limassol! 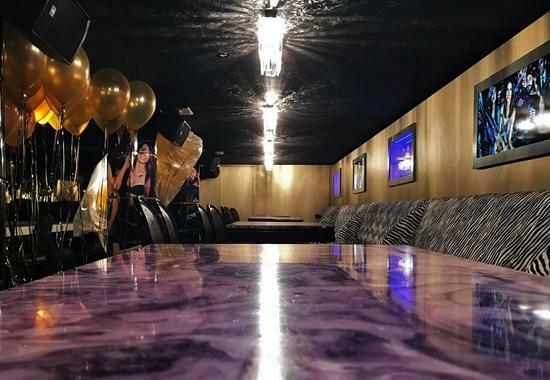 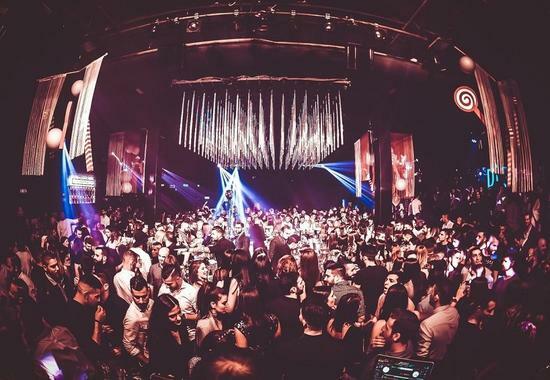 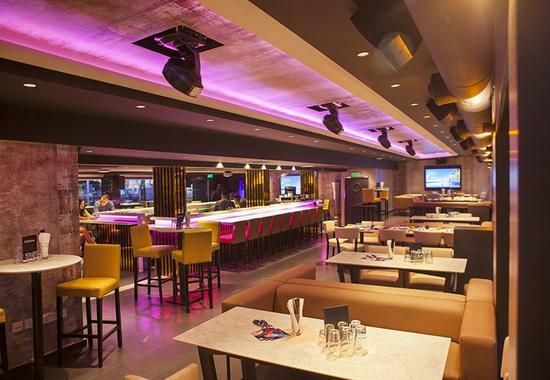 Frankie΄s Social: An impressive venue with Hollywood glamour in Limassol! 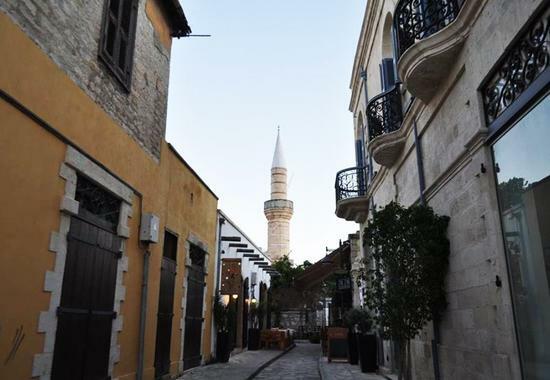 OPENING: Something new and interesting at Limassol΄s old town! 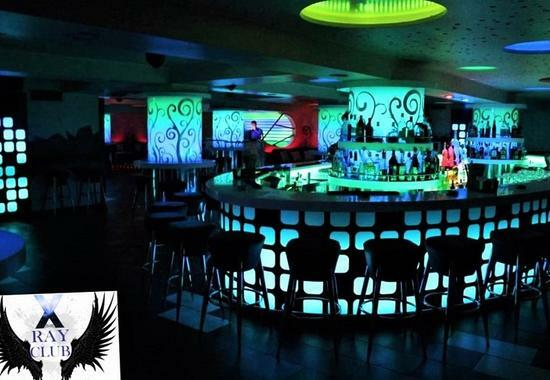 OPENING: Limassol΄s nightlife has been enriched with an interesting addition! 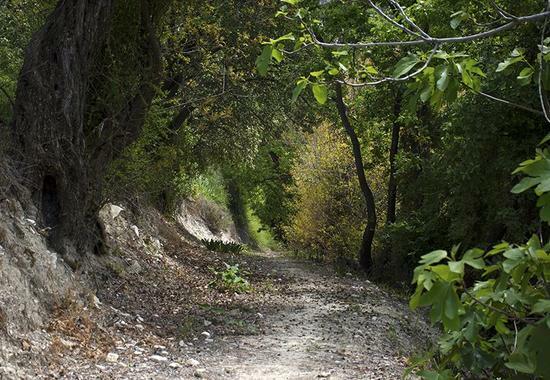 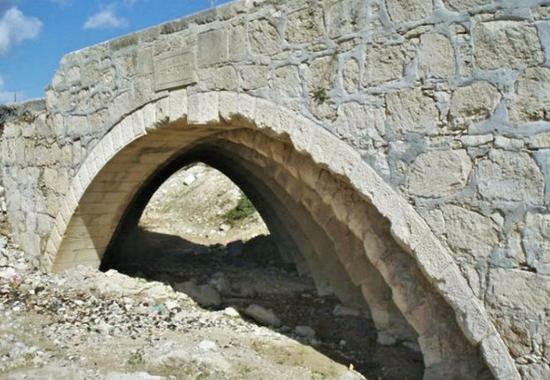 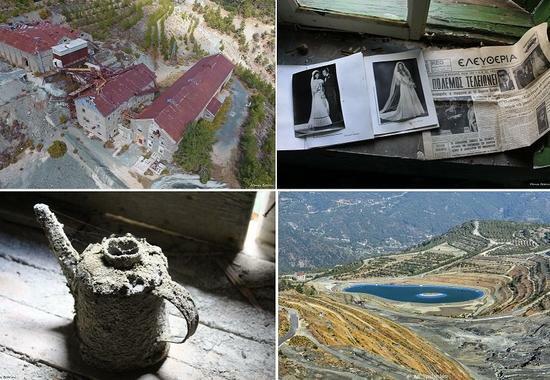 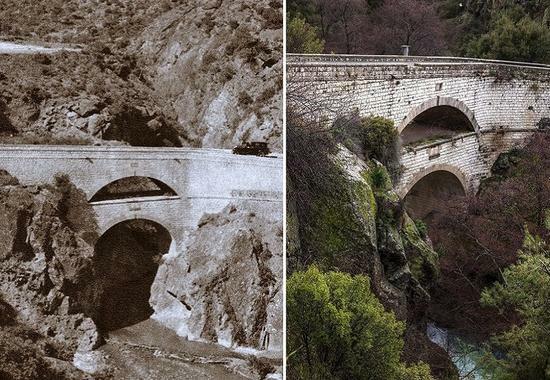 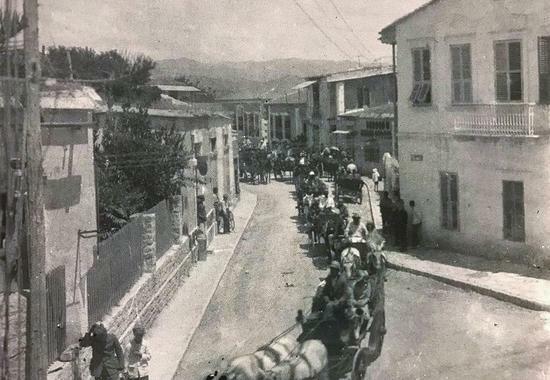 PHOTOS: The railway that still crosses through one of Limassol΄s villages! 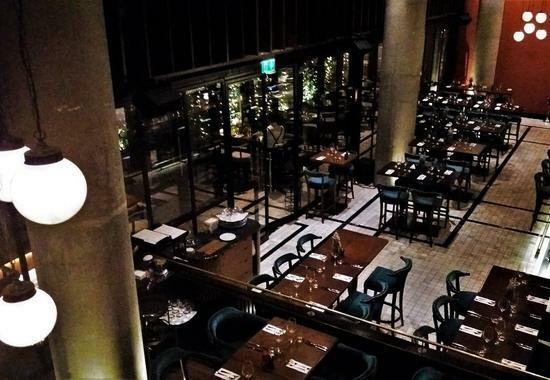 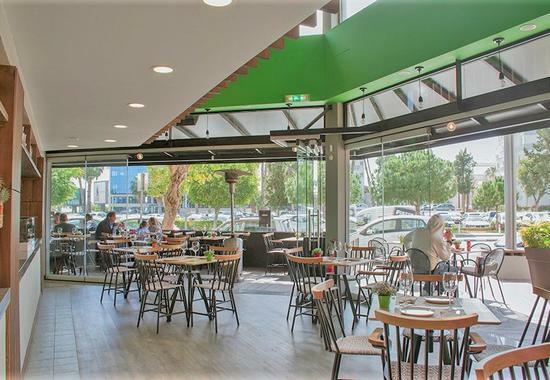 OPENING: Limassol΄s new, impressive dining venue! 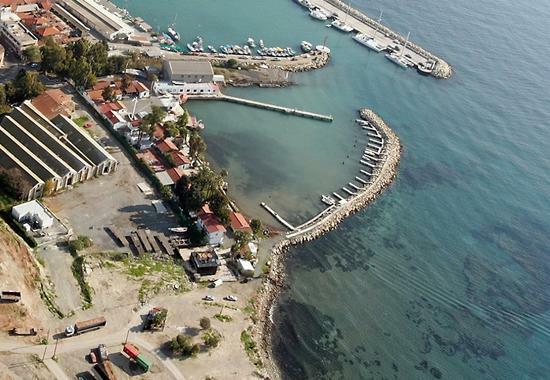 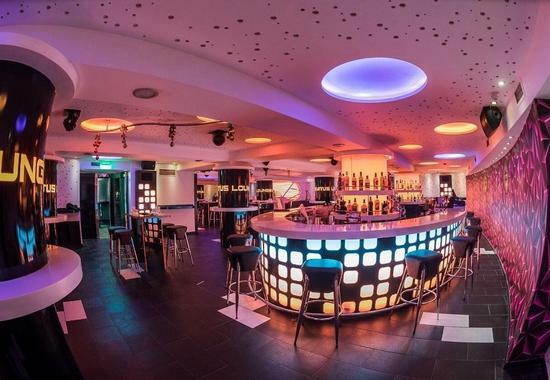 7 Seas: The venue that made theme parties an institution for Limassol΄s night life! 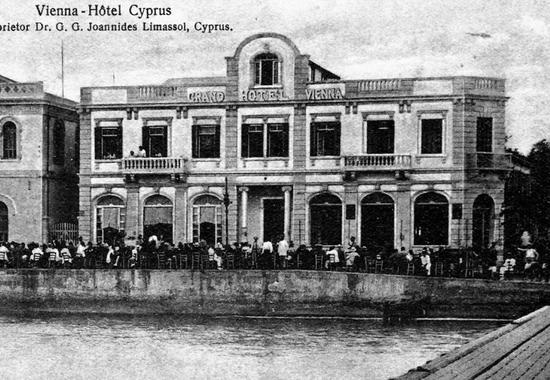 OPENING: A new, special restaurant, at Limassol΄s historical city center! 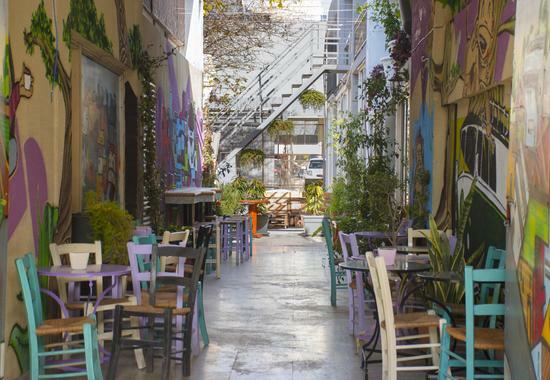 OPENING: A new all-day spot at Limassol΄s western neighborhoods! 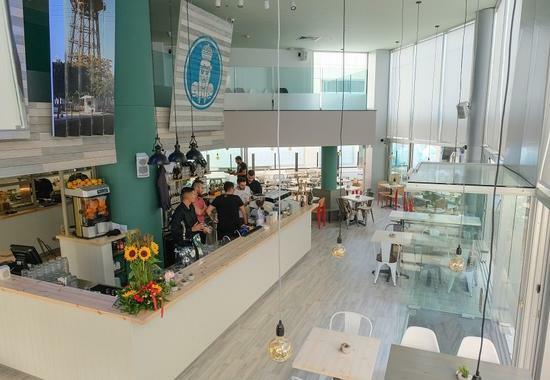 OPENING: The new ΄gourmet΄ Greek kebab spot at the Limassol seafront! 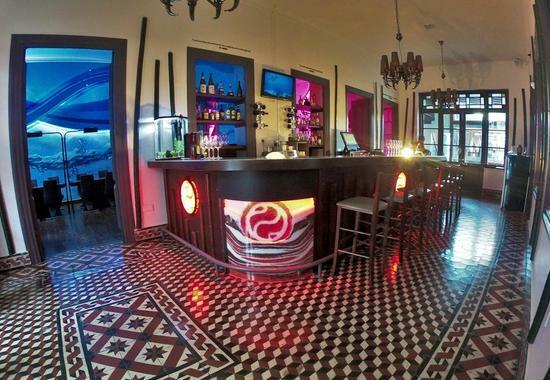 Salomi΄s Tavern in Limassol brings modern elements together with traditional values! 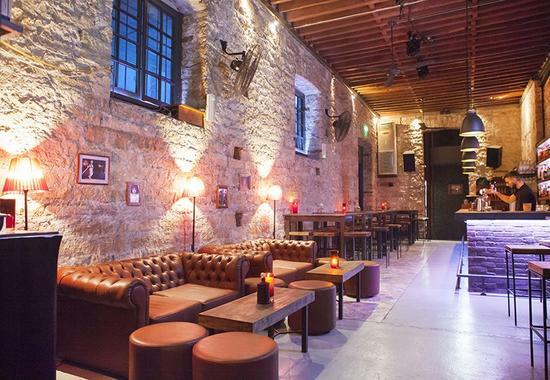 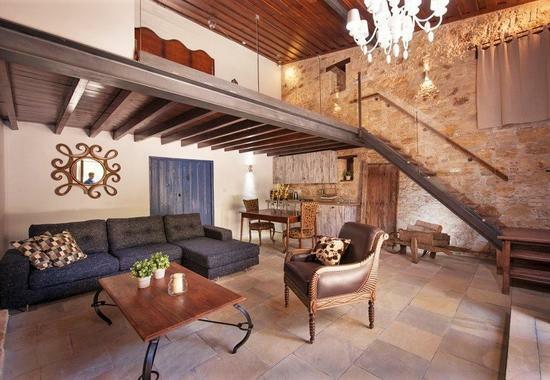 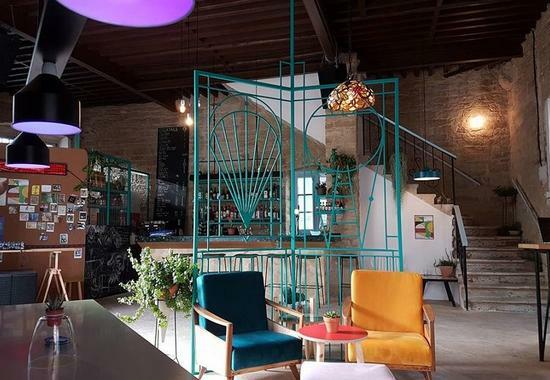 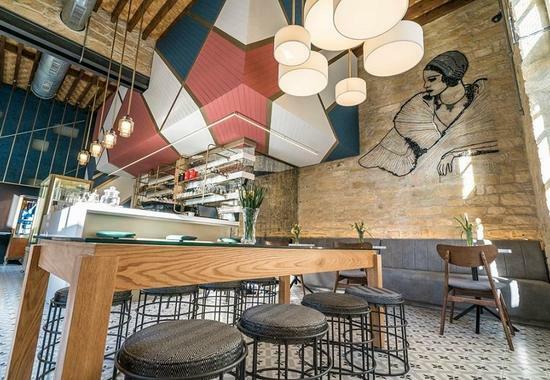 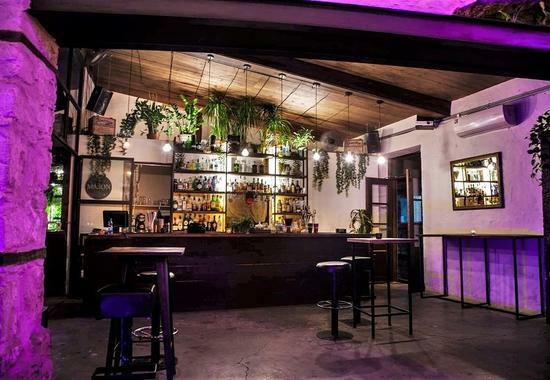 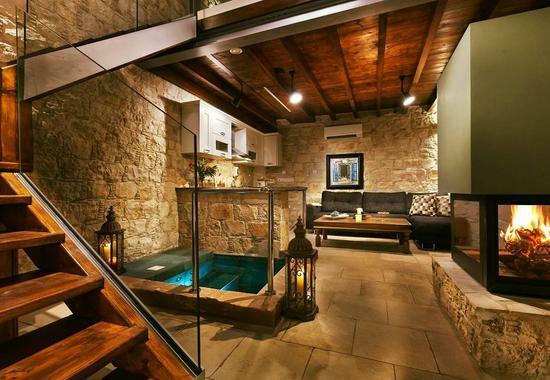 Mason Bar: A former wood workshop, added a special touch in Limassol΄s life! 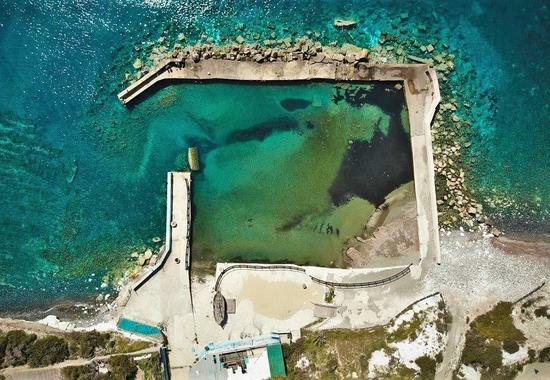 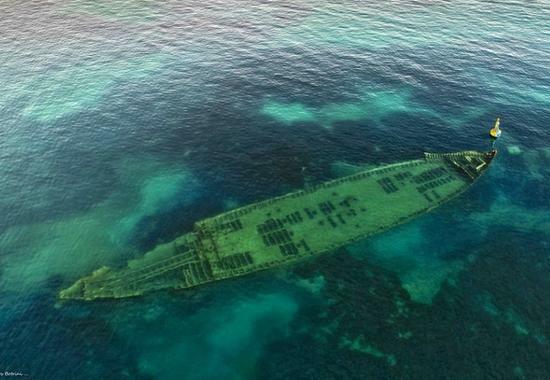 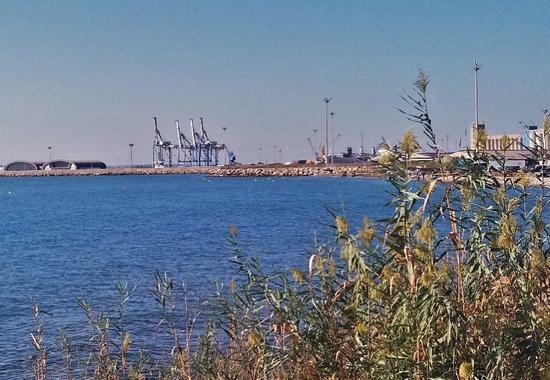 PHOTOS + VIDEO: Limassol΄s shipwreck that came up out of nowhere! 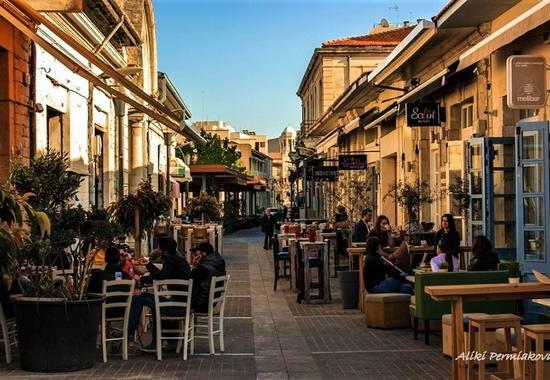 OPENING: A new relaxing option, in one of Limassol΄s busiest areas! 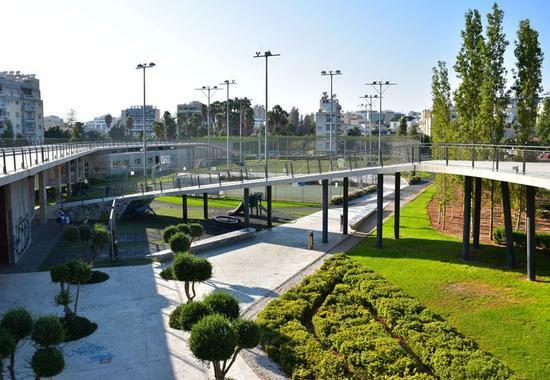 OPENING: 2 playgrounds and a rich menu, at Limassol΄s new, special opening! 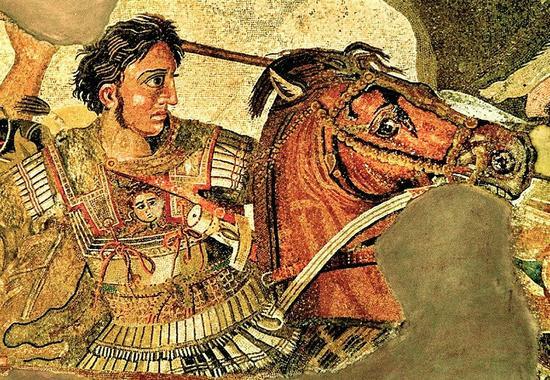 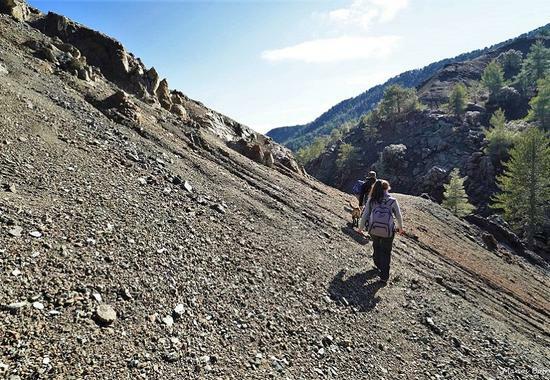 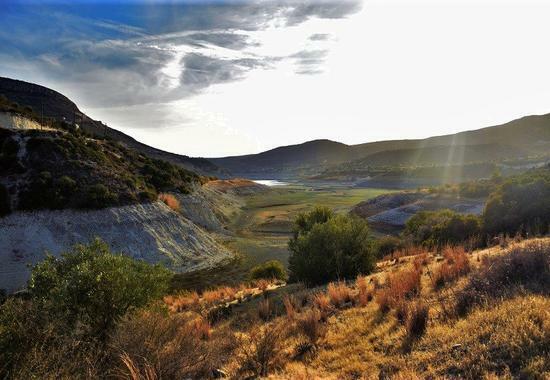 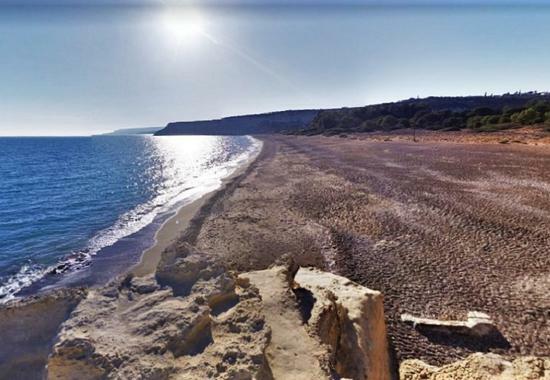 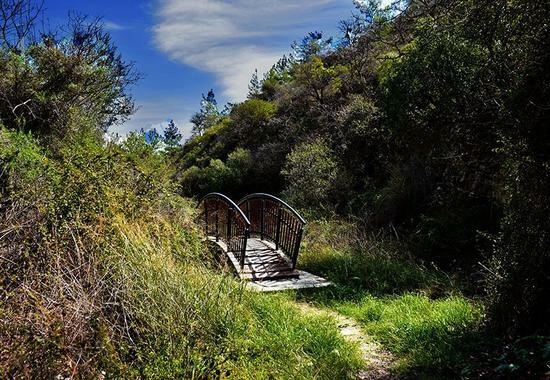 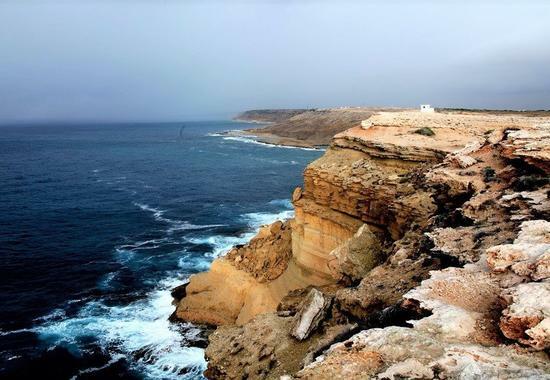 The sand hills of the Limassol ΄desert΄! 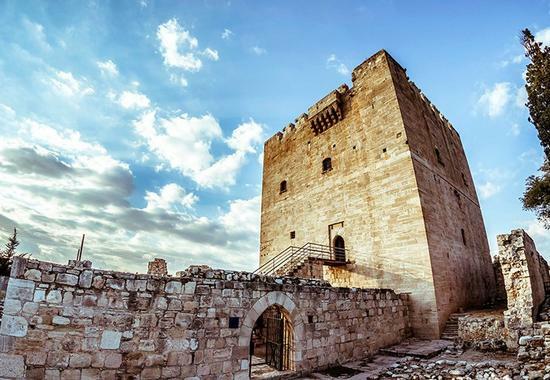 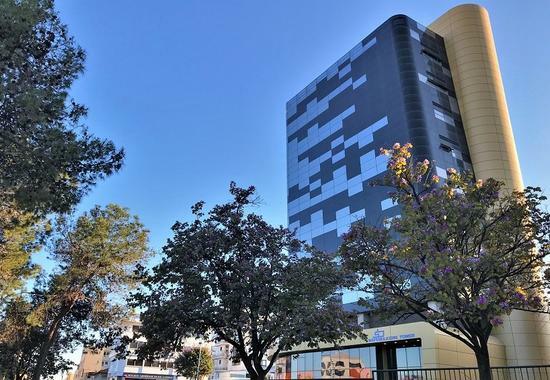 Paris Tower: The impressive ΄building without corners΄, in the heart of the Limassol city! 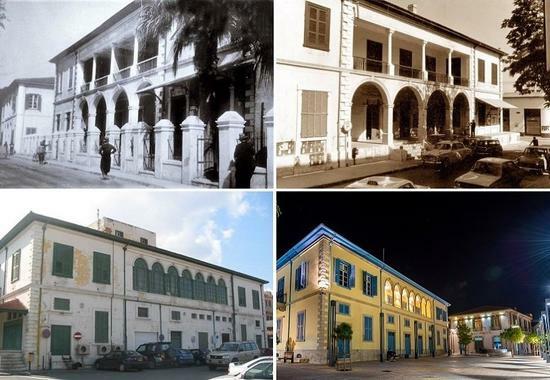 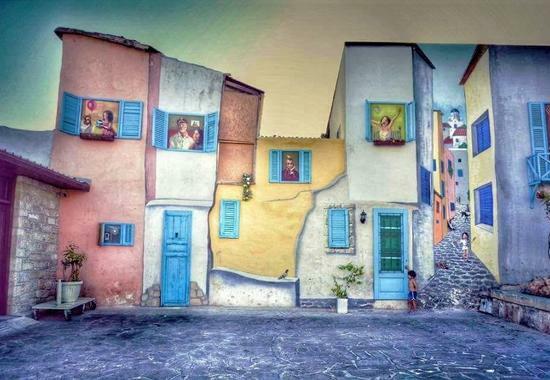 Madame: The place that brought together the past and the present of Heroes΄ Square! 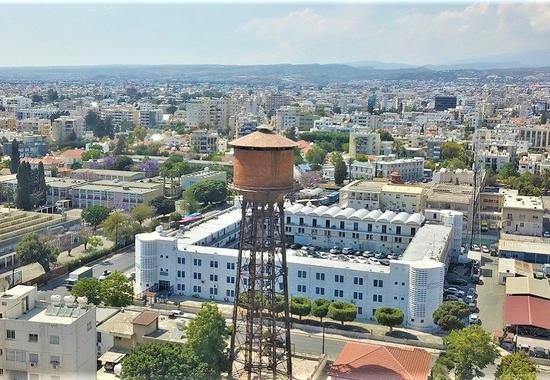 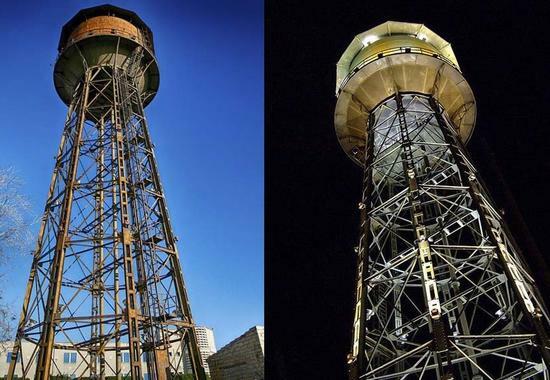 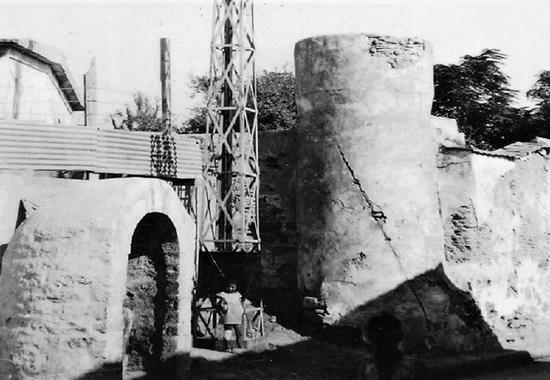 Limassol water tower: The story behind the city΄s ΄trade mark΄! 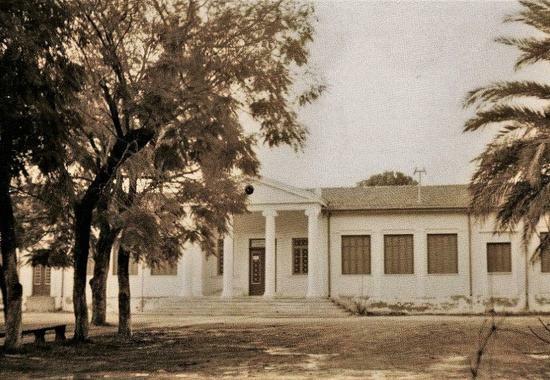 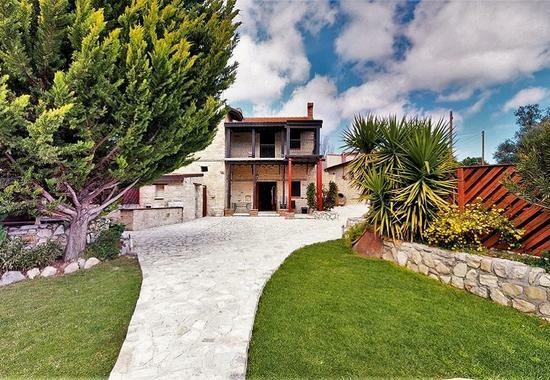 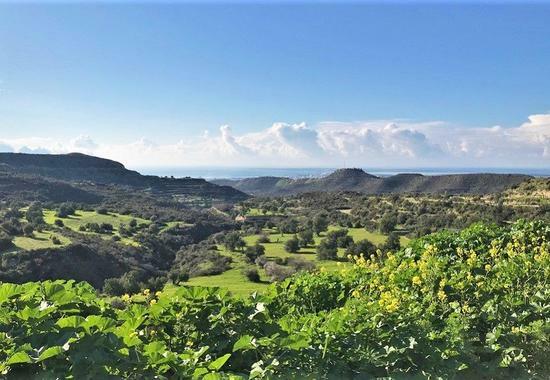 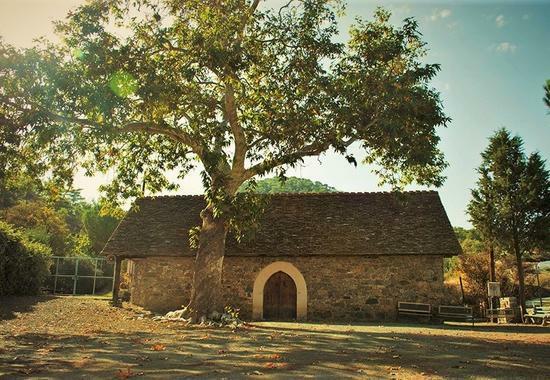 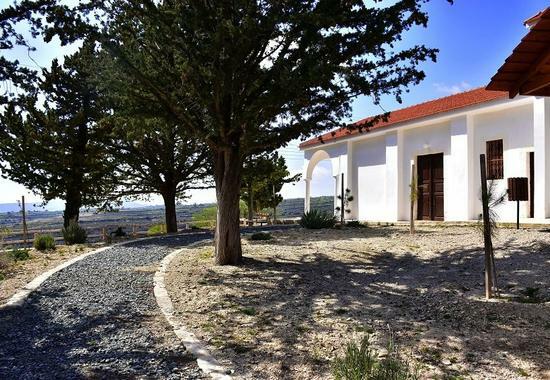 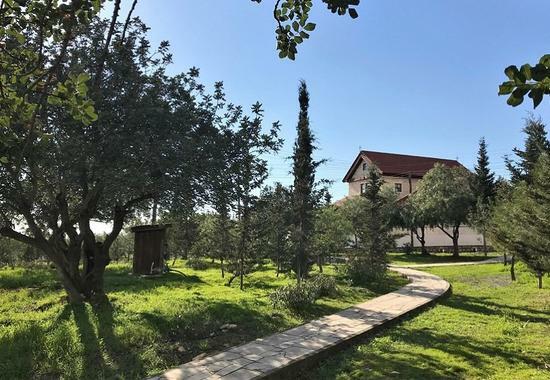 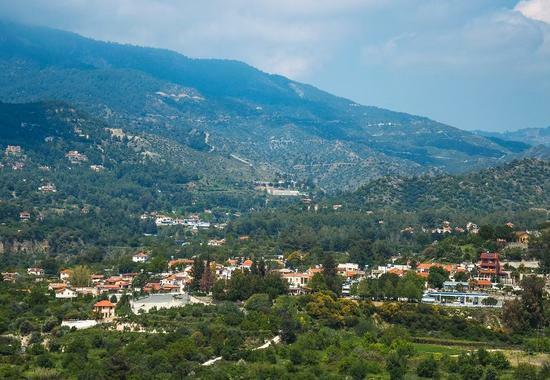 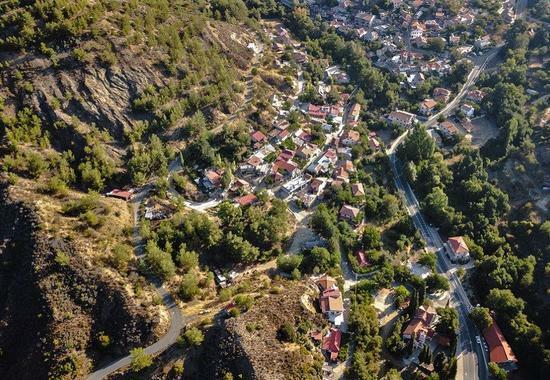 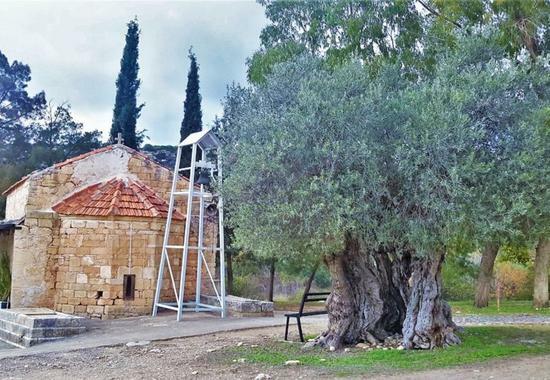 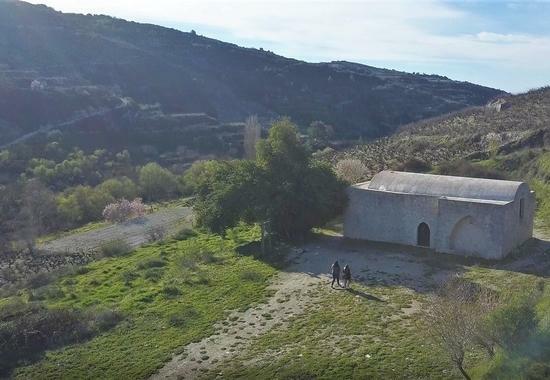 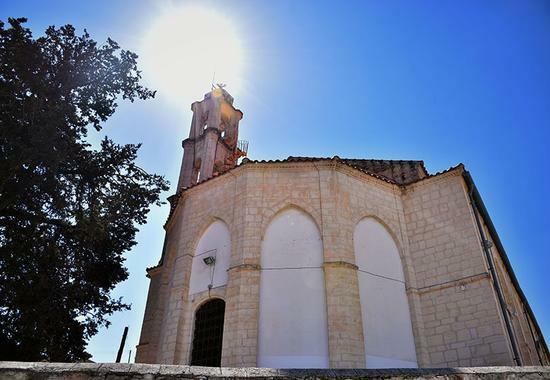 Royal oak: The gigantic tree that became a landmark in the Limassol΄s countryside! 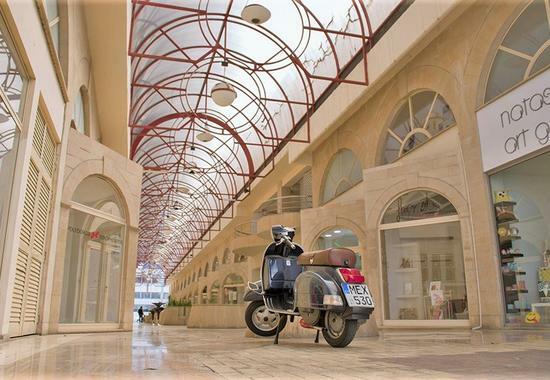 OPENING: A new place under the archs of the walk way in Limassol΄s city center! 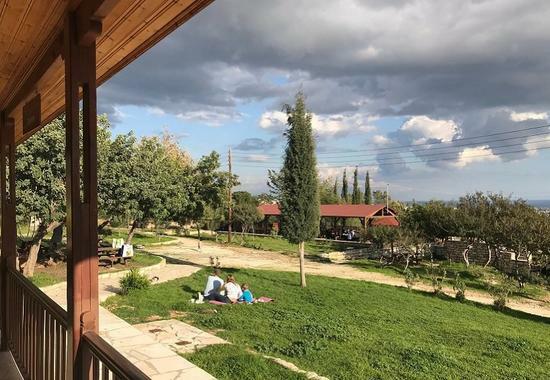 OPENING: A new, traditional coffee shop you should visit in Limassol΄s mountains! 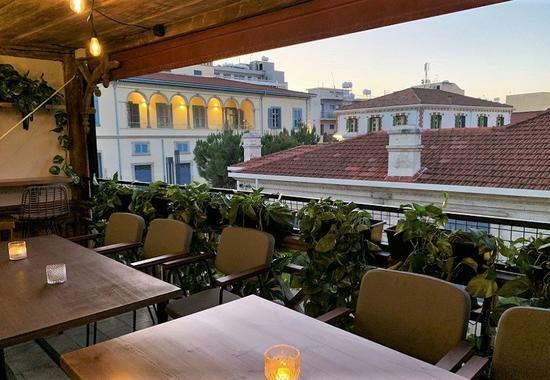 Epsilon Resto Bar: Limassol΄s blue balcony that has made an impression! 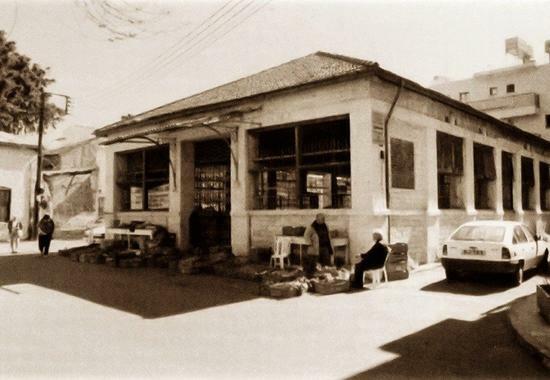 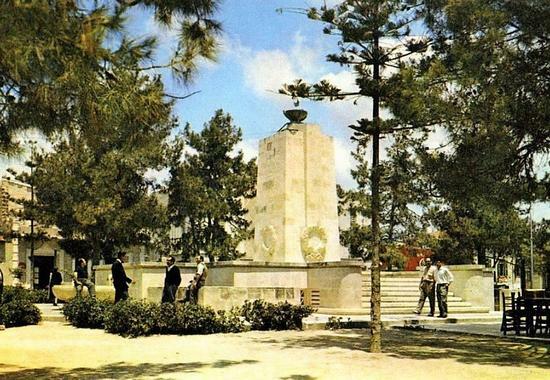 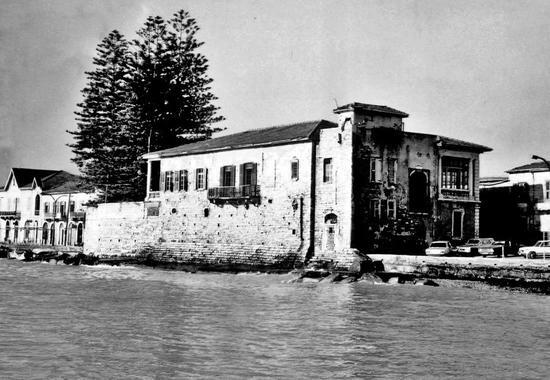 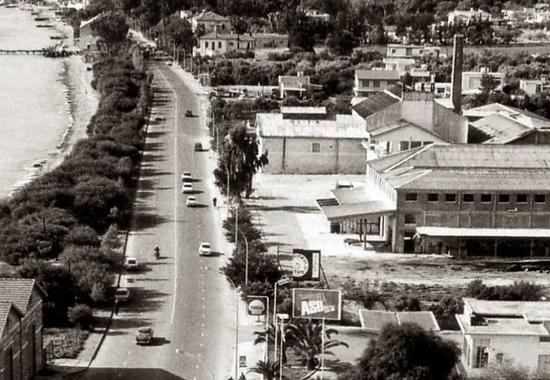 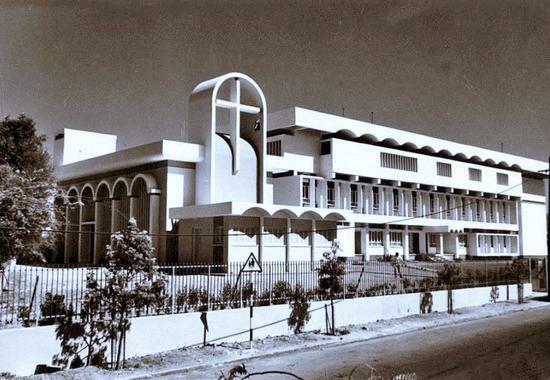 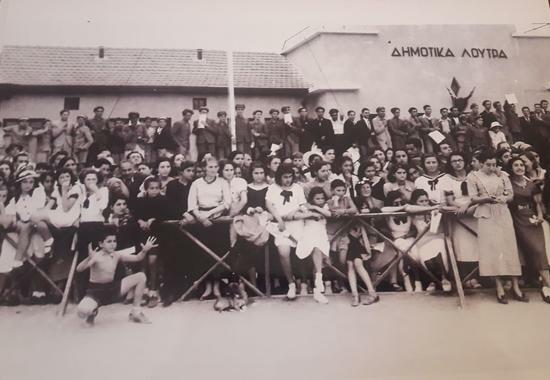 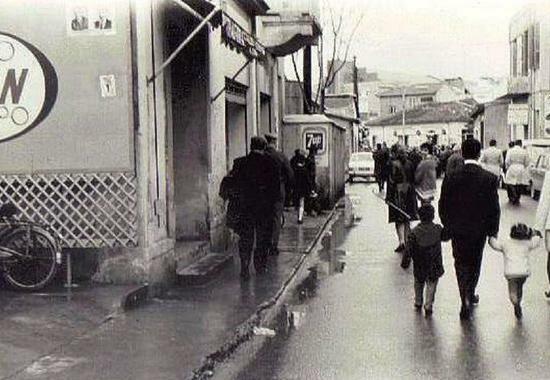 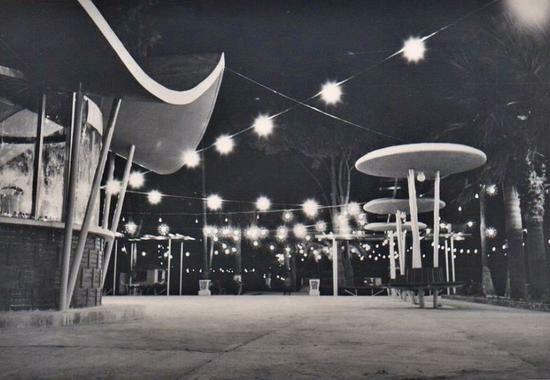 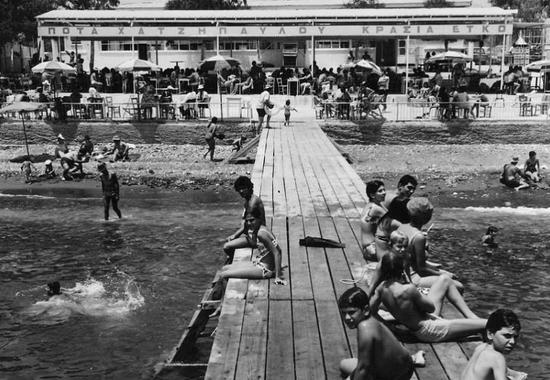 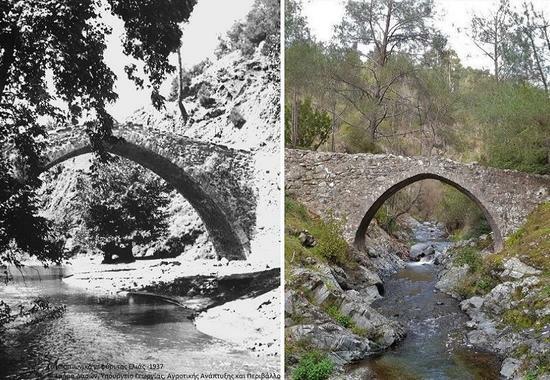 A rare photo from a hotspot in the 1960s linking 3 of Limassol΄s generations! 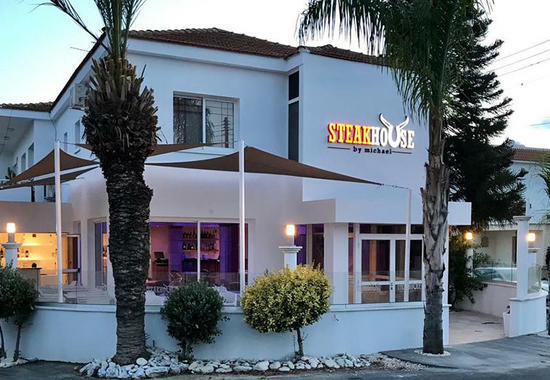 Columbia Steak House: A gorgeous venue in Limassol΄s city center, with glorious steaks! 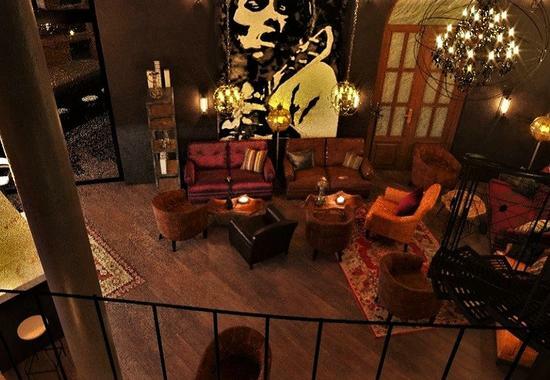 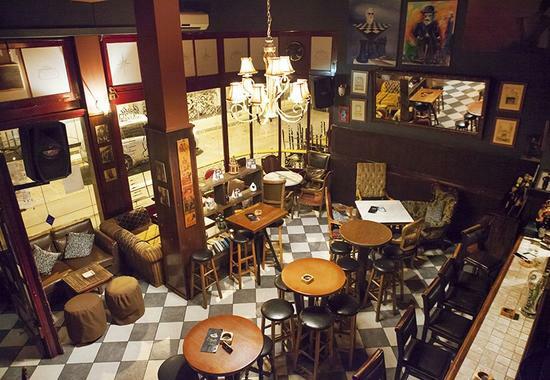 Chaplin΄s Bar: The vintage bar that brought friends together and left its mark on Limassol! 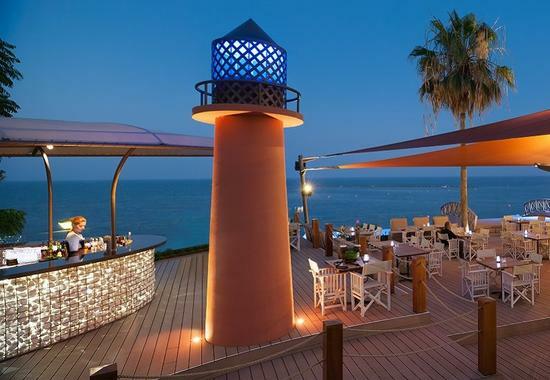 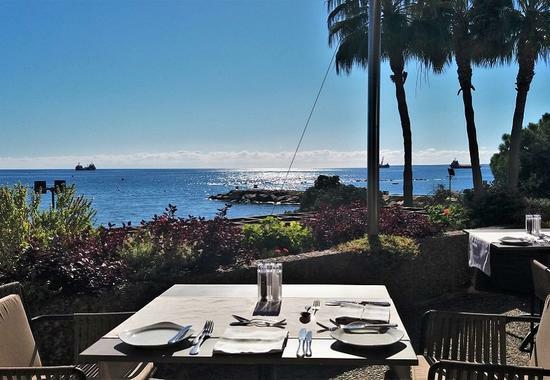 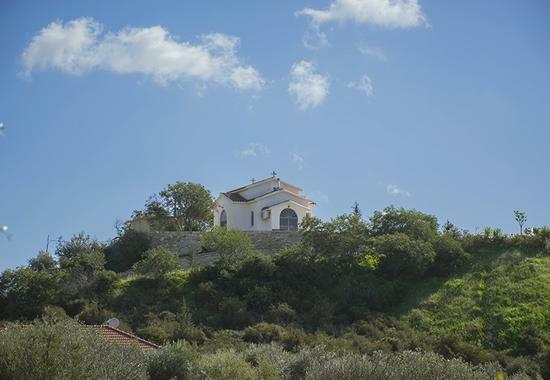 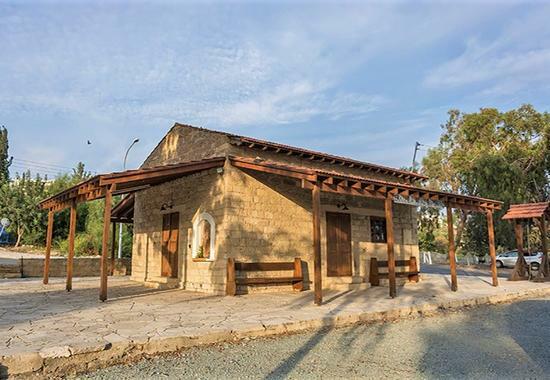 Sailor΄s Rest: A venue with breath-taking views, surrounded by the Limassol sea! 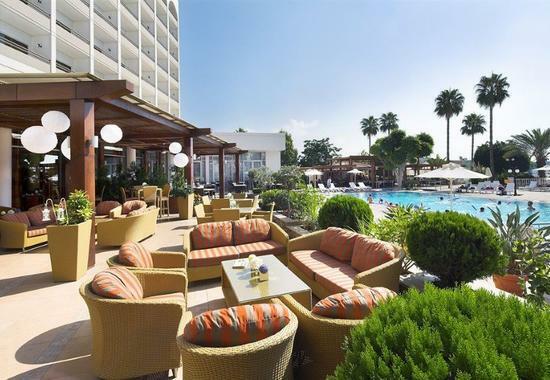 OPENING: An elegant venue with a warm atmosphere is Limassol΄s latest opening! 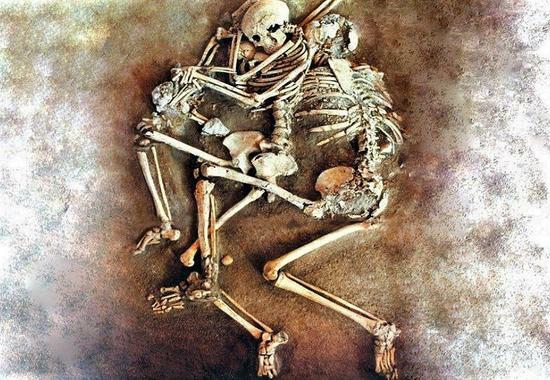 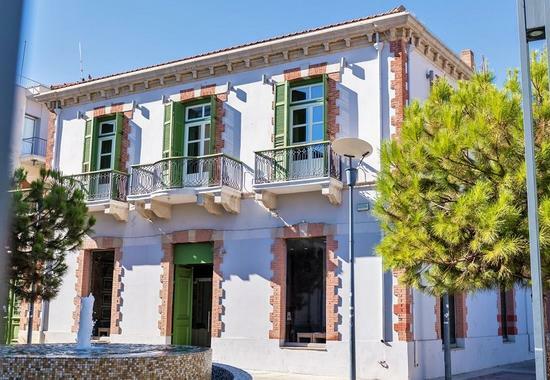 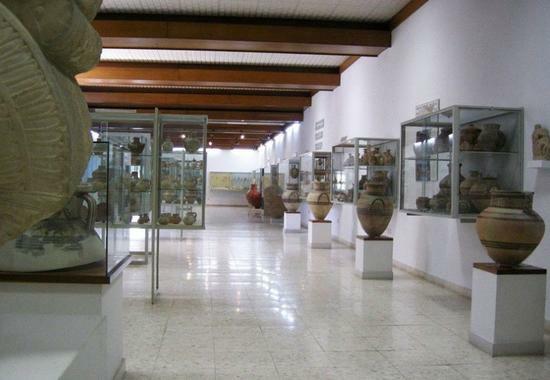 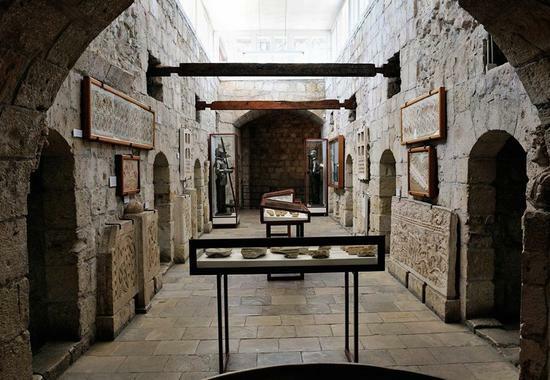 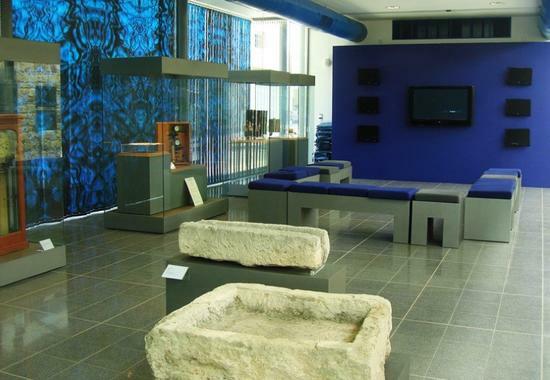 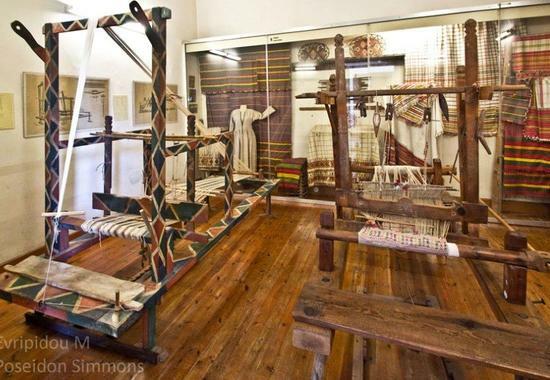 OPENING: A new, interesting venue has opened its doors in Limassol΄s historical center! 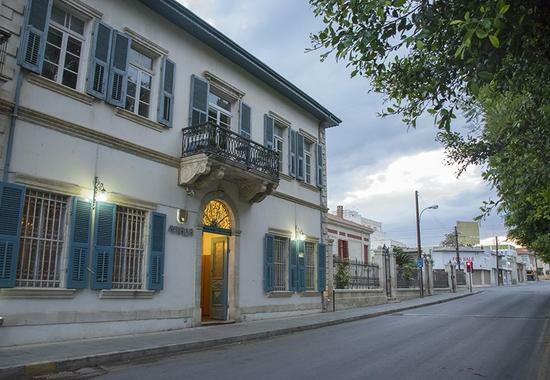 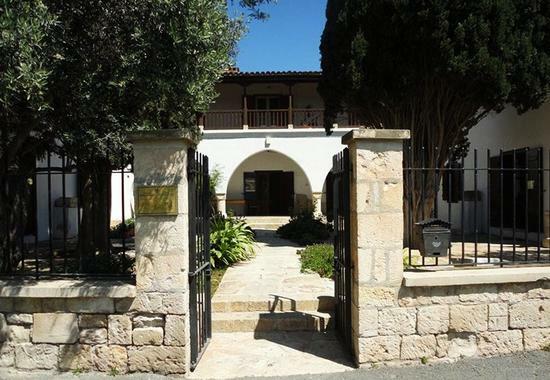 OPENING: ΄Mbarmba Andreas΄ is a new, modern space in Limassol with traditional values!